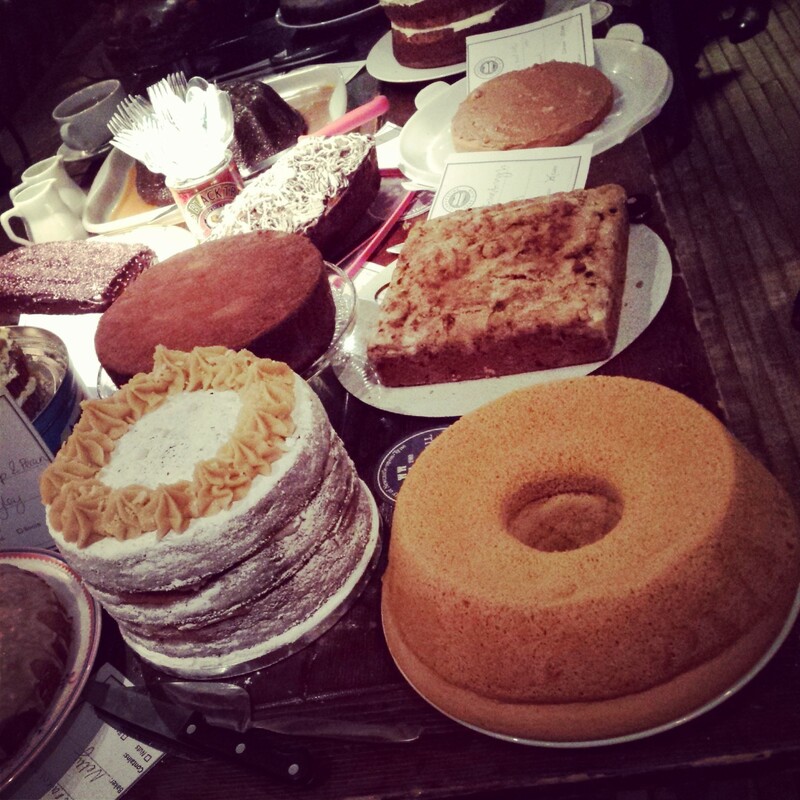 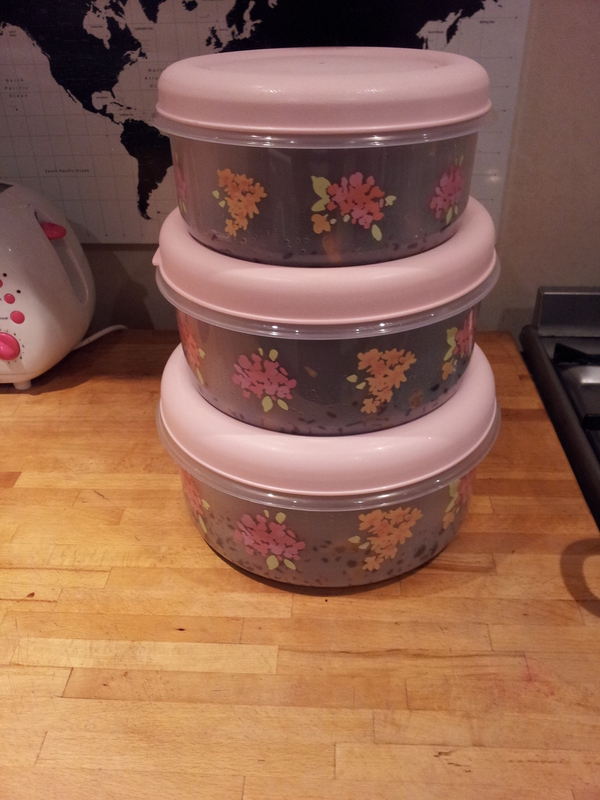 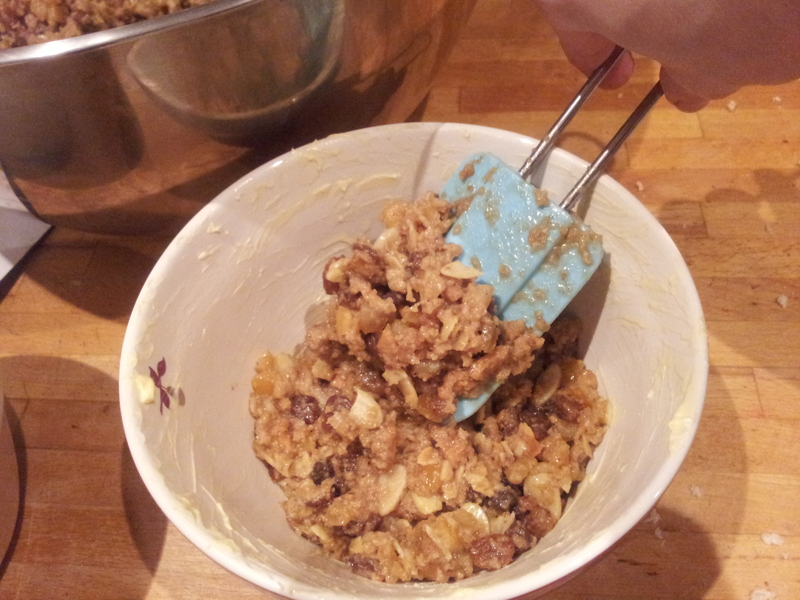 The teetering tower of fruit cake… shame 2 tiers need to be re-baked. 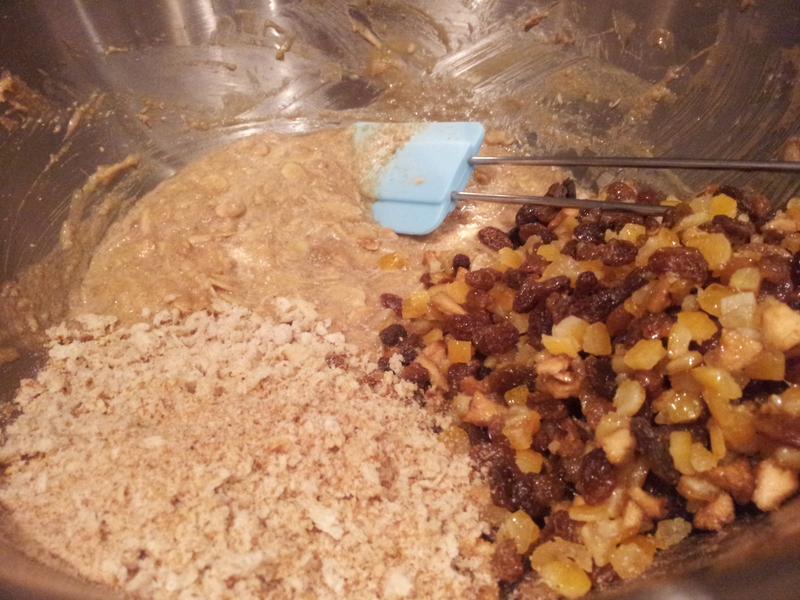 I’ve chosen fruit cake for my 5 tier wedding cake is because I love fruit cake and it will be Christmas(!) 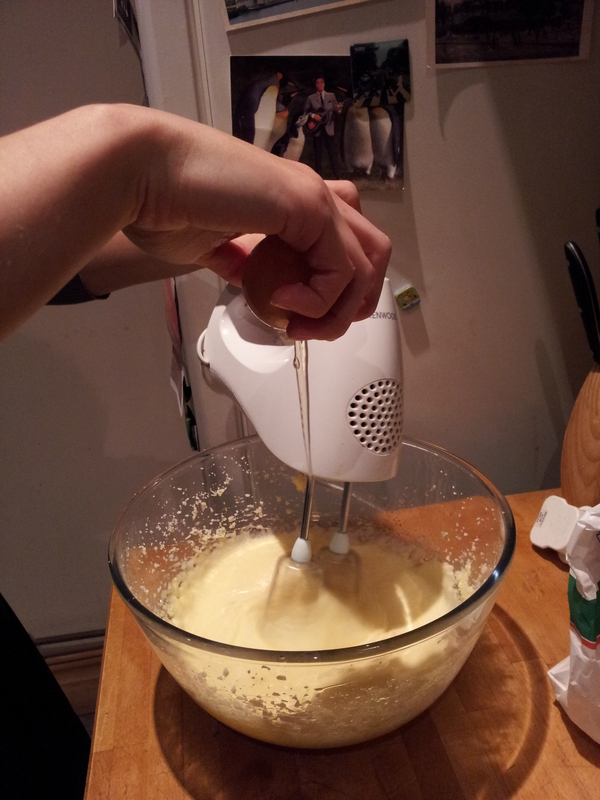 but also because I can plan it in and bake it in advance. 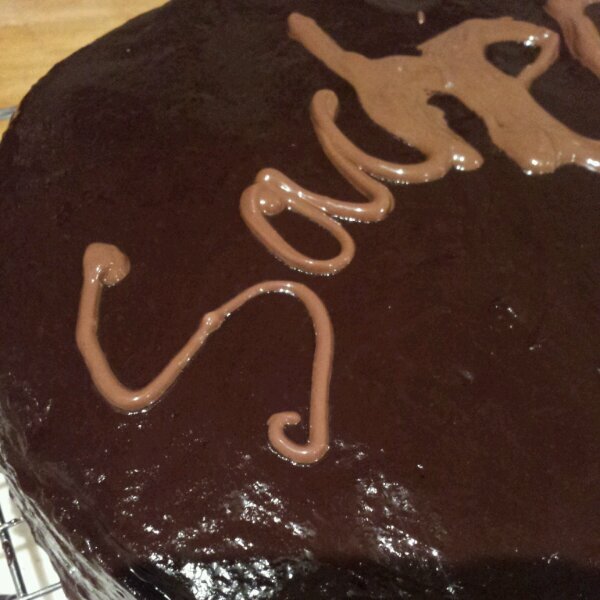 Then take my time with icing it, hopefully resulting in a well organised and non stressful experience. 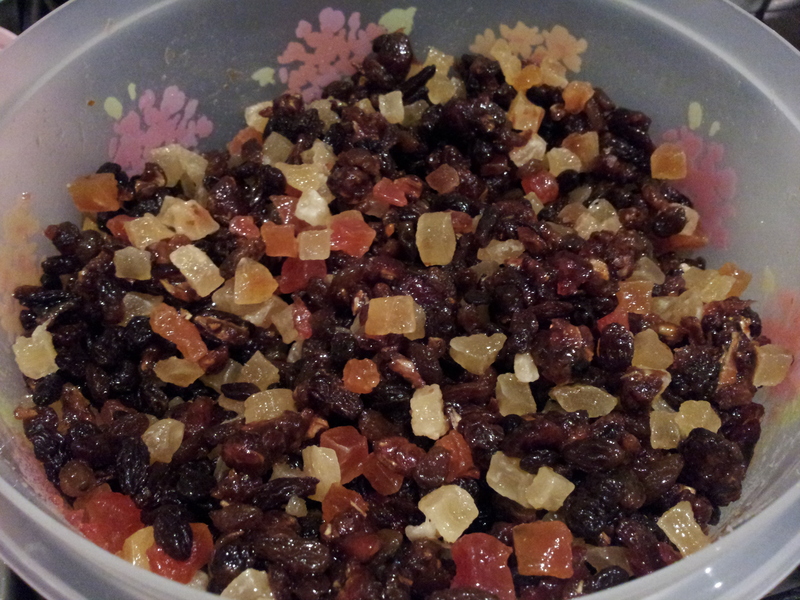 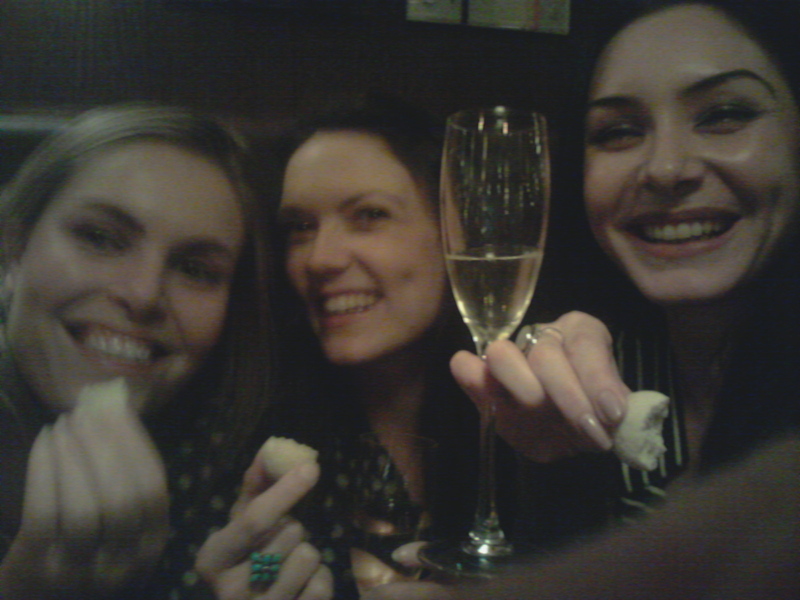 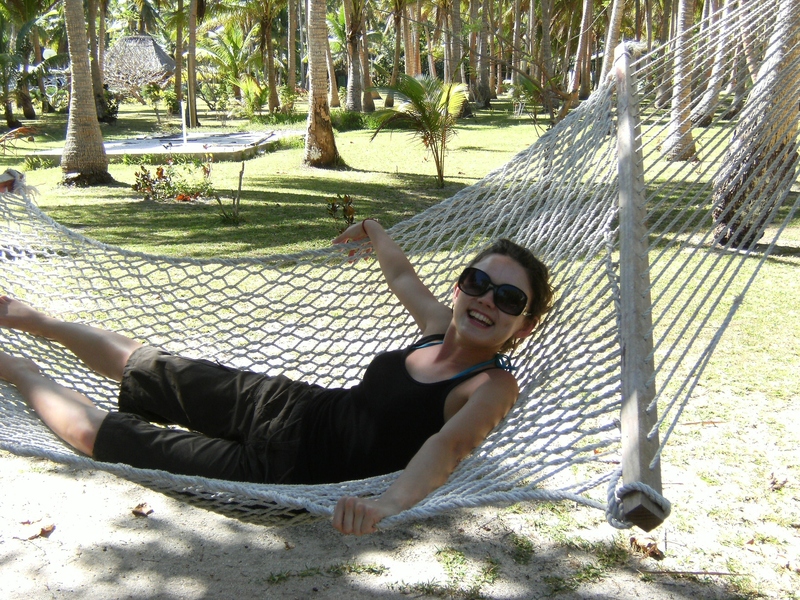 Also fruit cake improves with age! 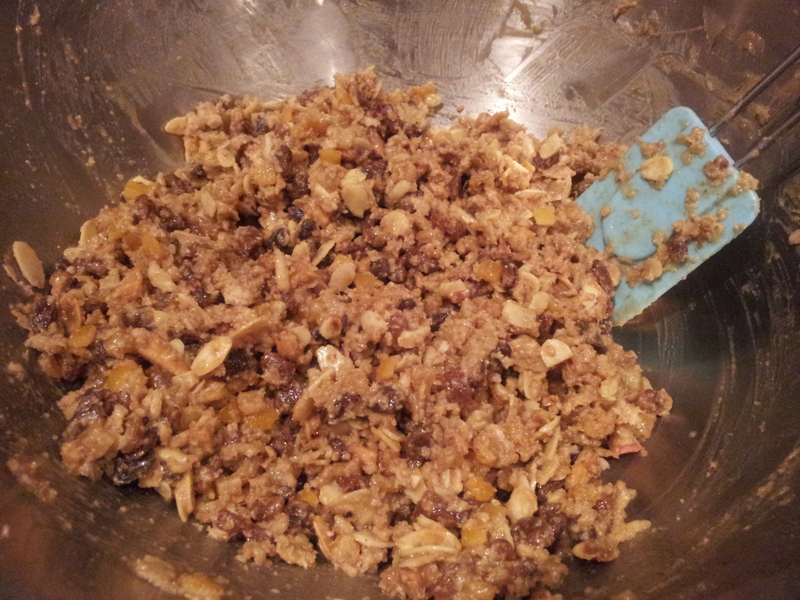 The longer I soak the fruit and feed it BOOZE the better it will taste. 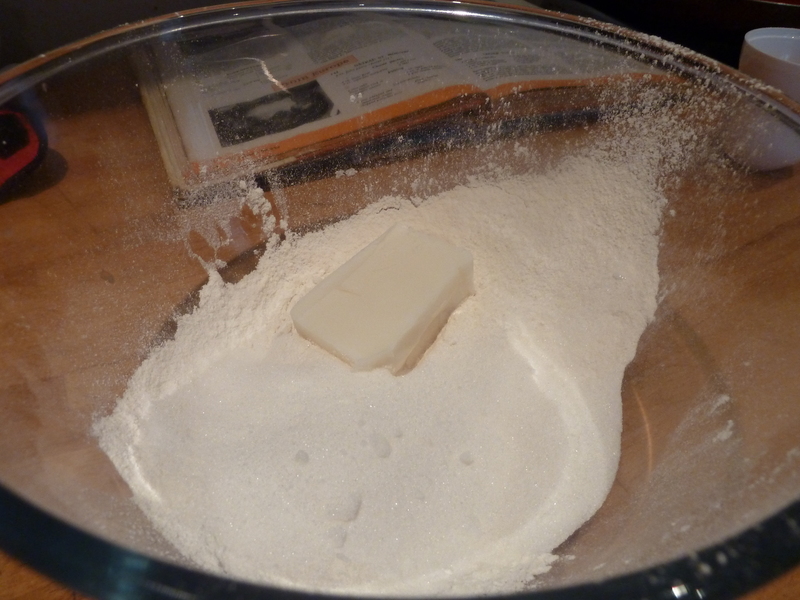 So what else keeps well? 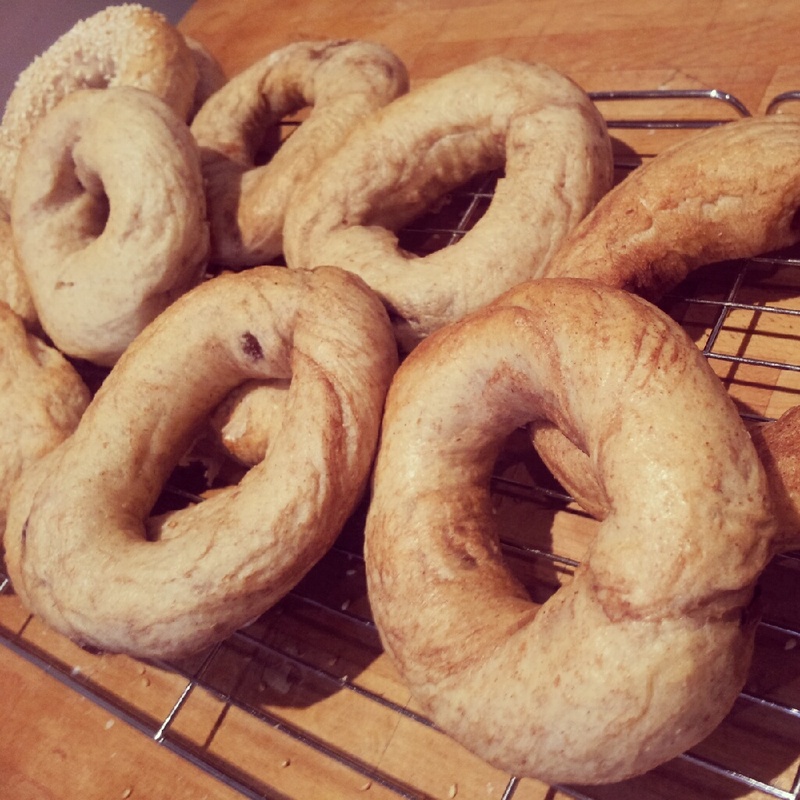 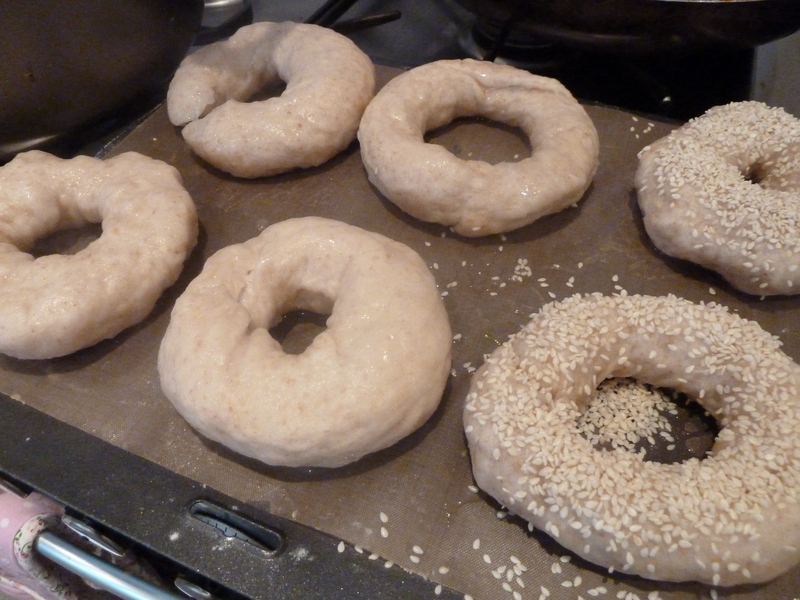 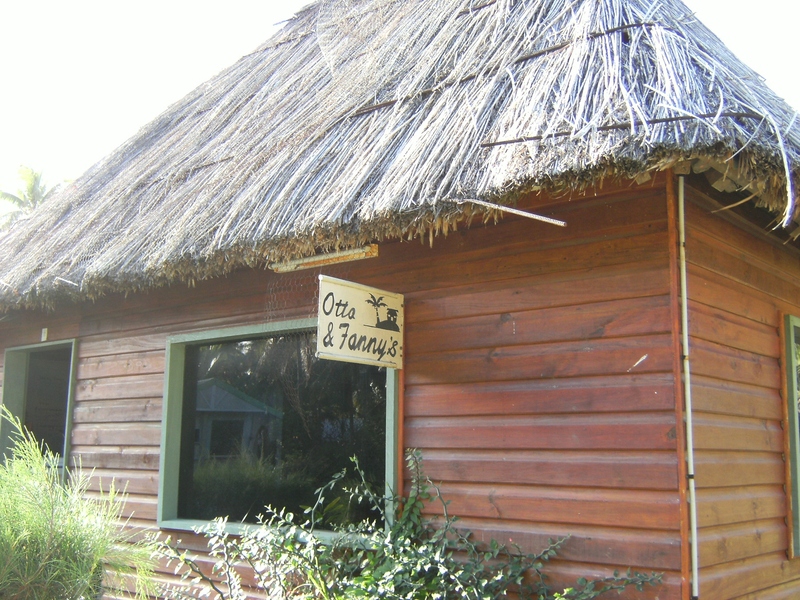 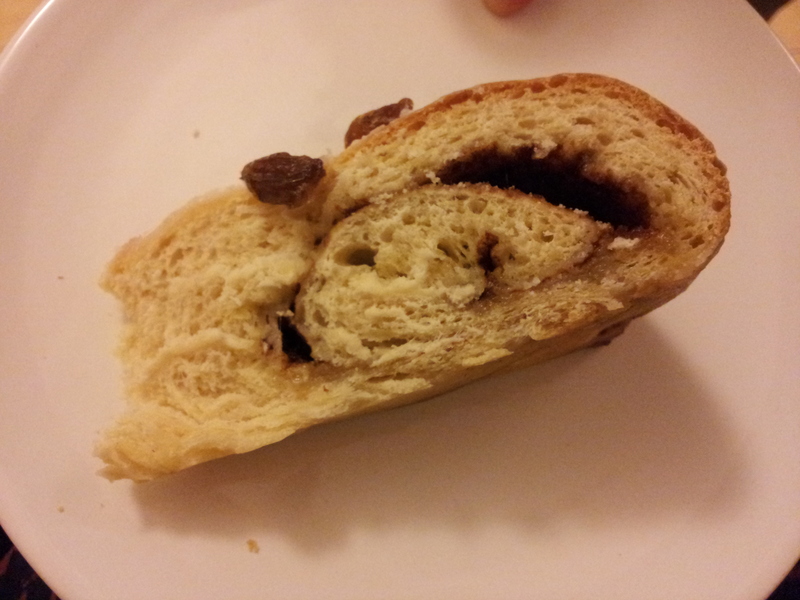 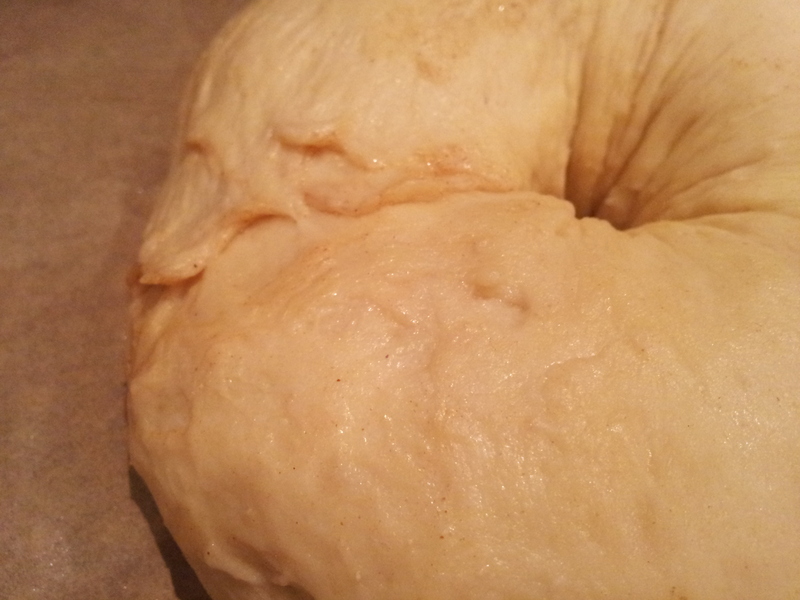 A rich yeast dough, that’s what! 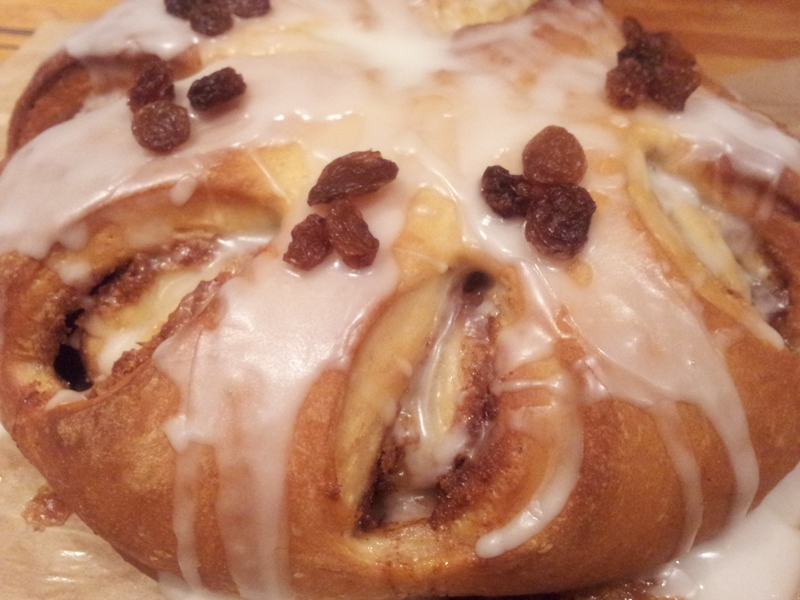 Bring on another new discovery and favourite of mine, The Swedish Tea Ring!! 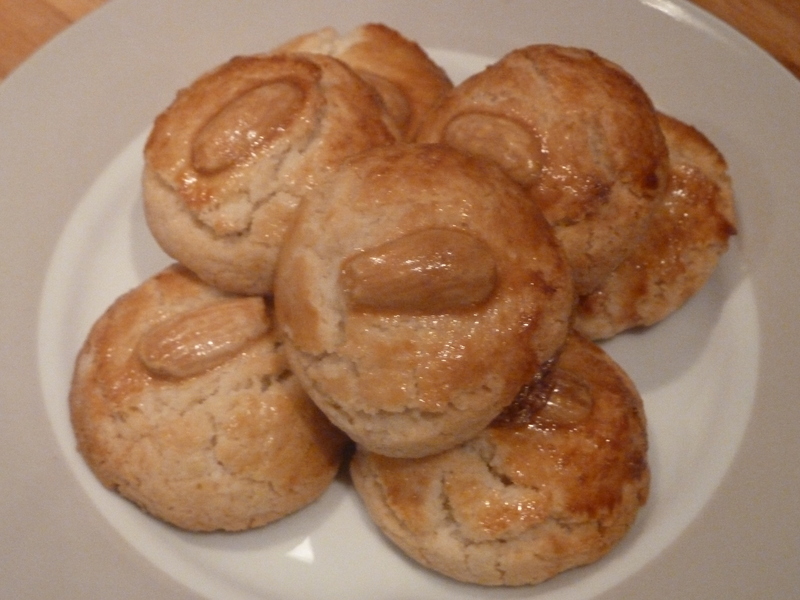 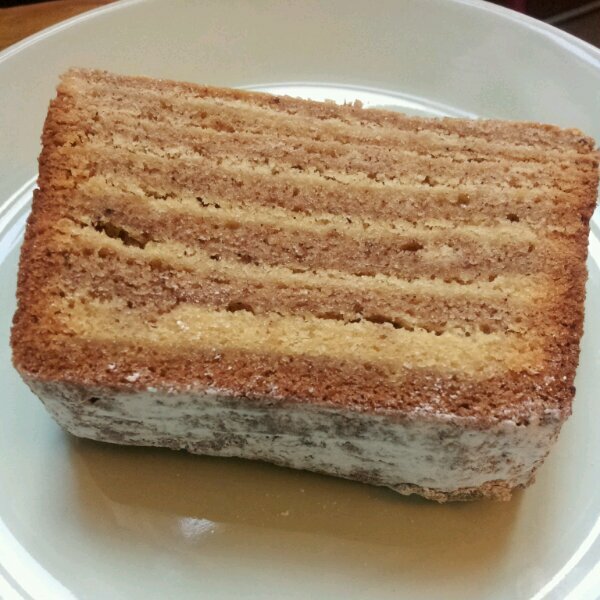 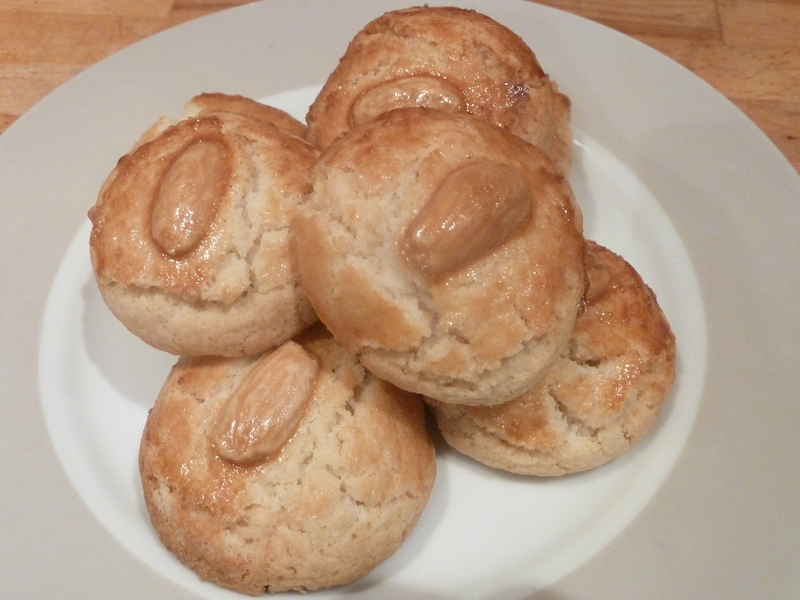 Marguerite Patten has been tempting me with this recipe for years and I finally found a reason to bake it! 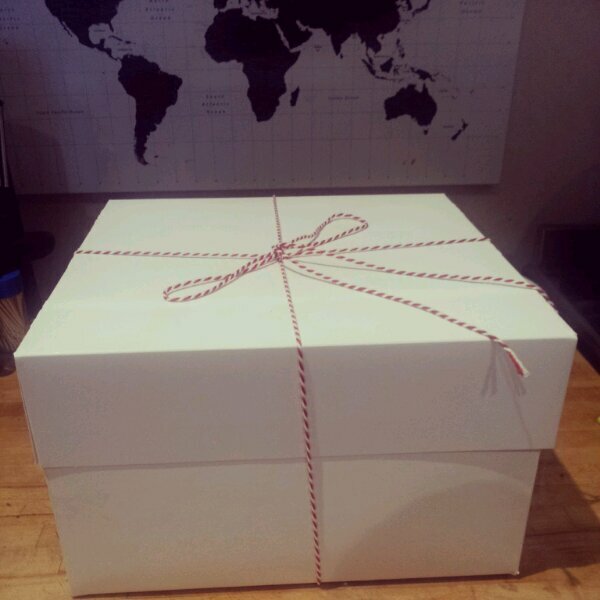 To give as a present to my friends Josh and Mark for looking after me in Manchester at the Blog North Awards last week. 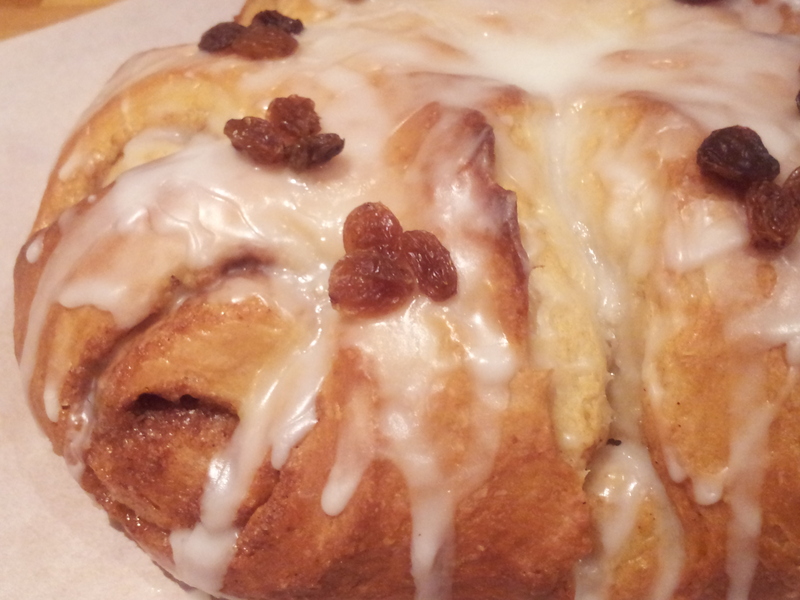 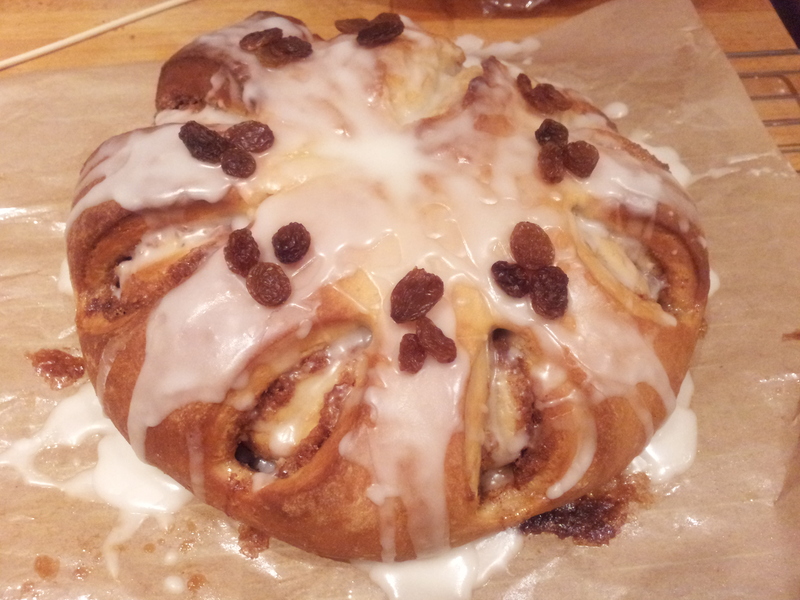 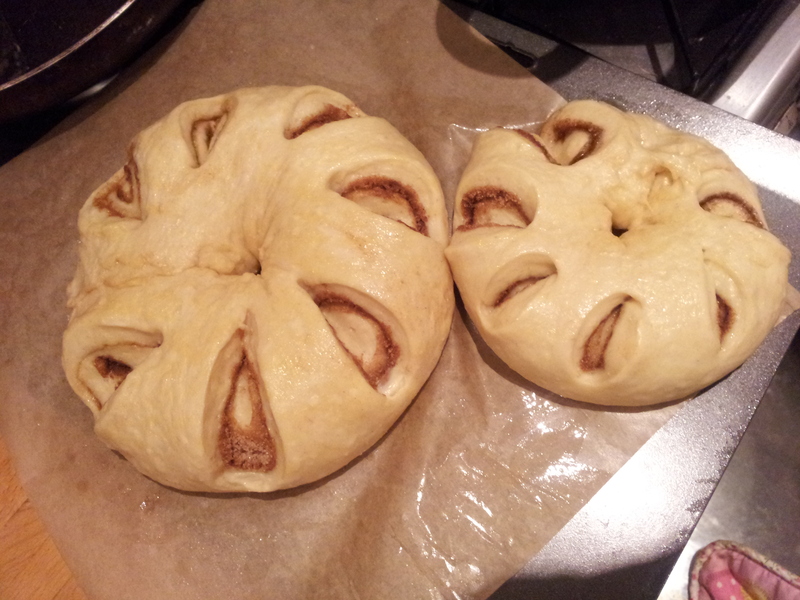 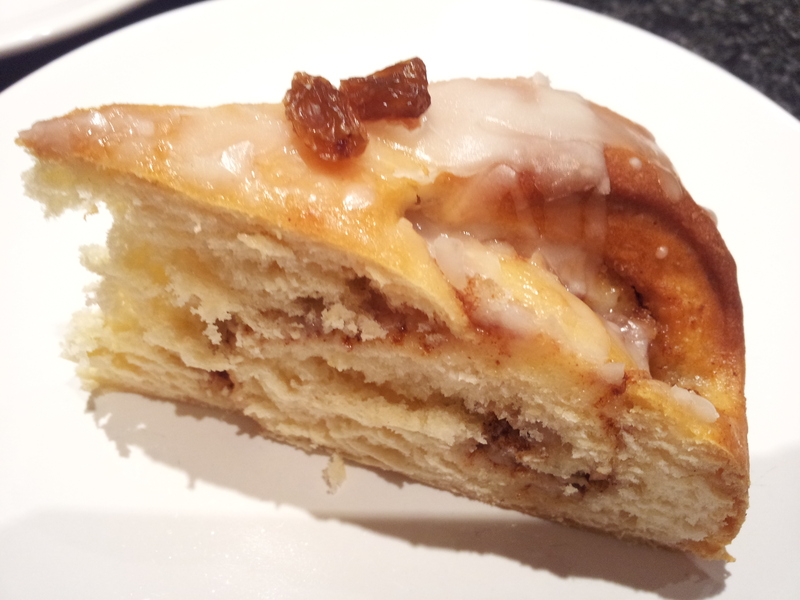 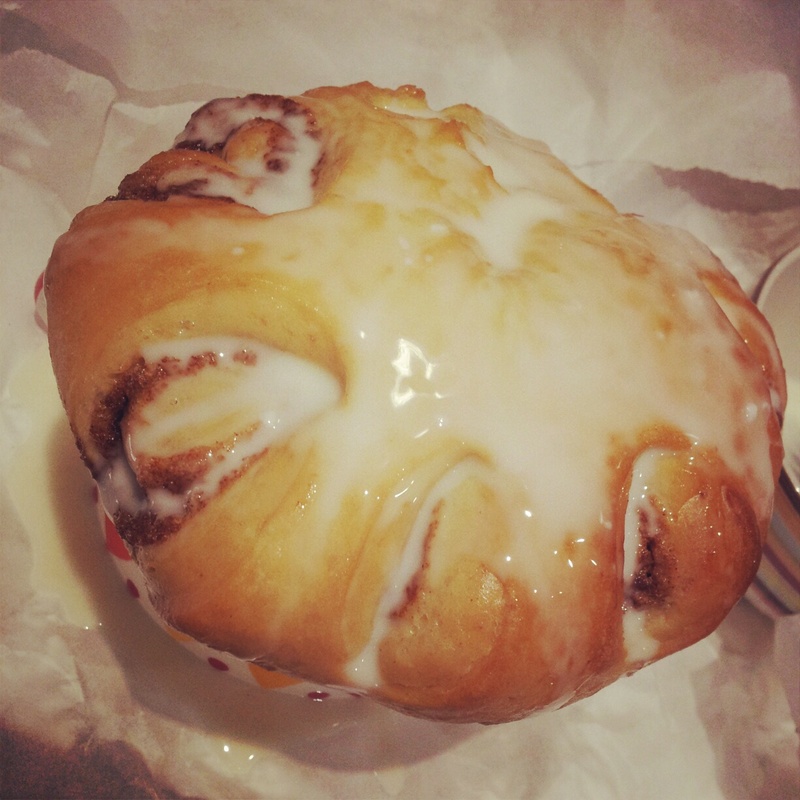 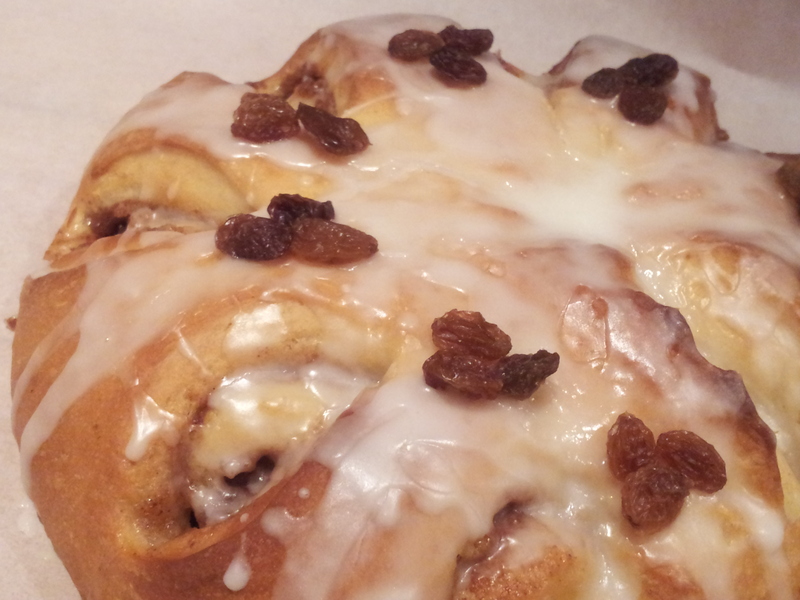 It’s like a robust Chelsea Bun/Cinnamon Roll/Belgian Bun hybrid. 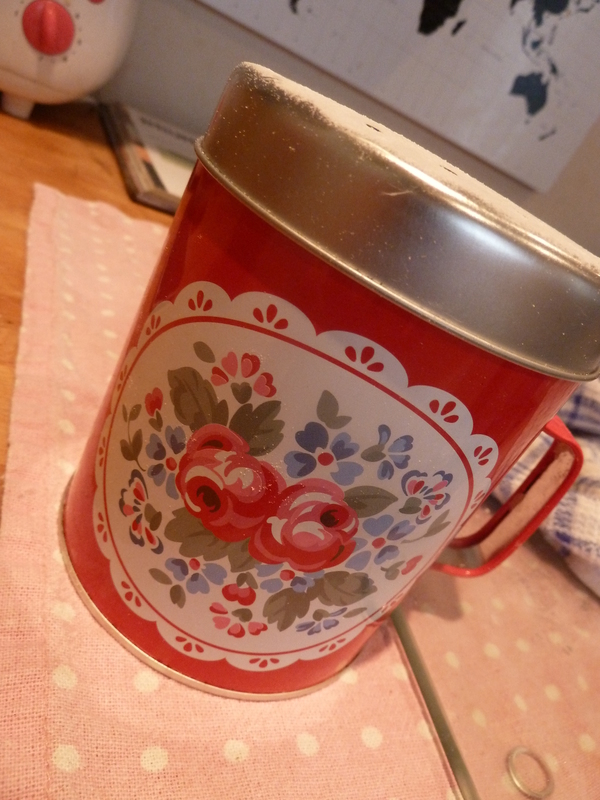 Perfect for cinnamon junkies like me and for preparing in stages for the busy baker. 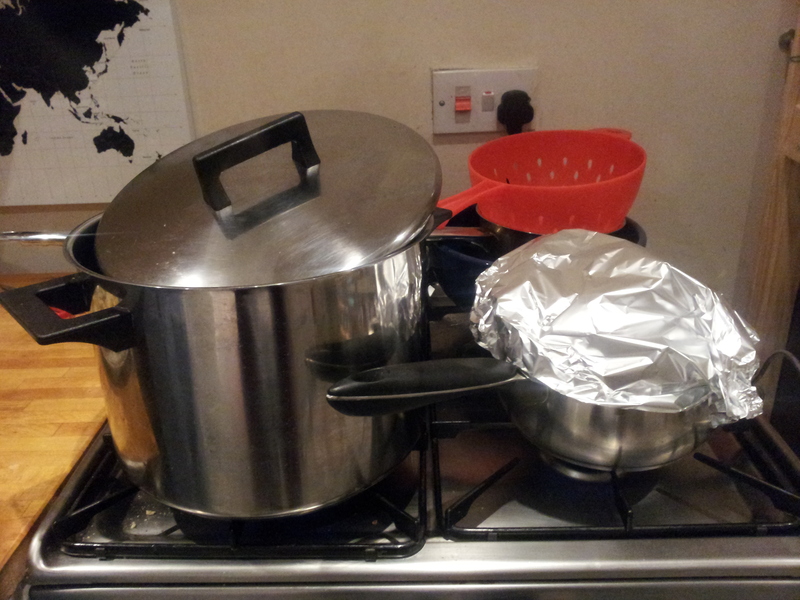 I can also confirm it’s portability! 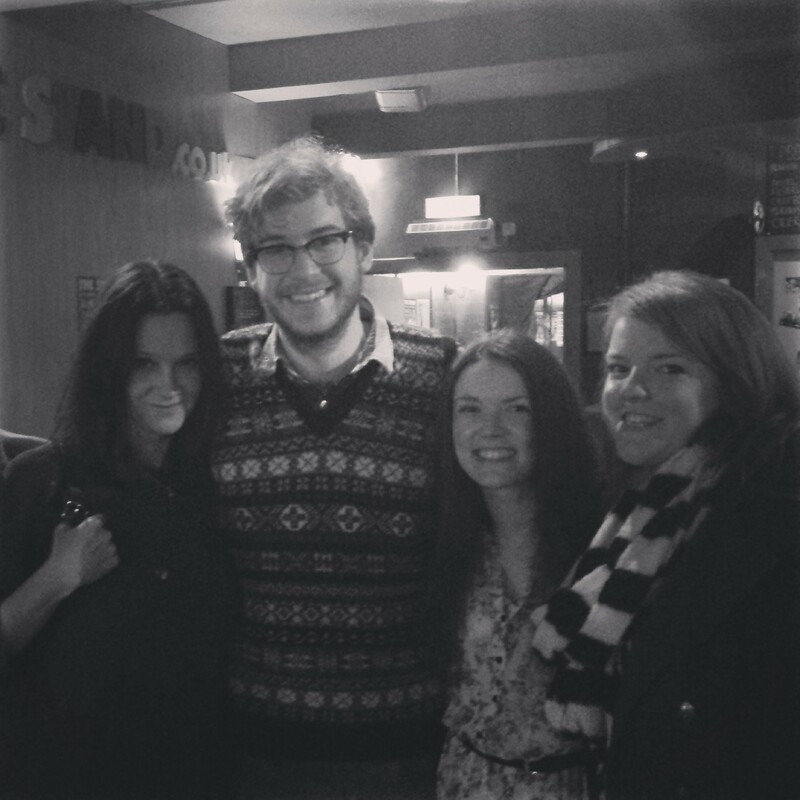 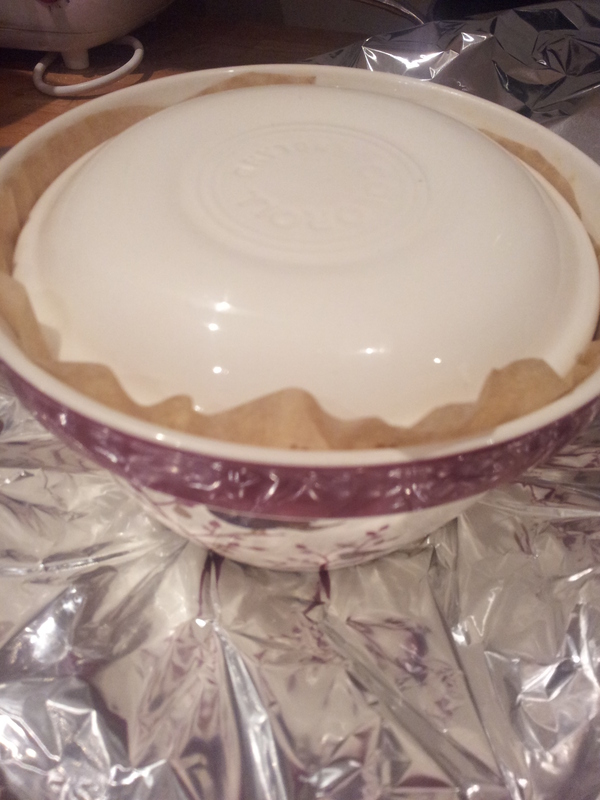 It survived a 3 hour drive through lightening and torrential rain! 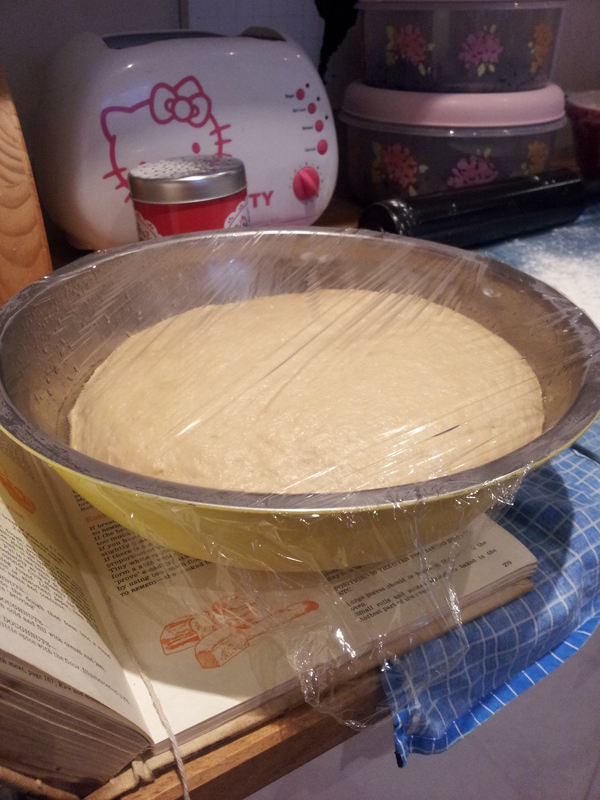 That’s one sturdy bake. 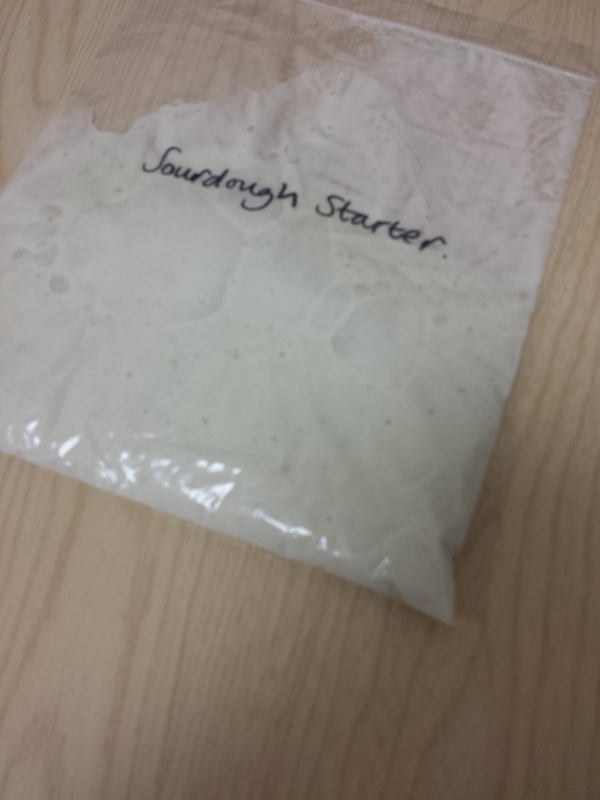 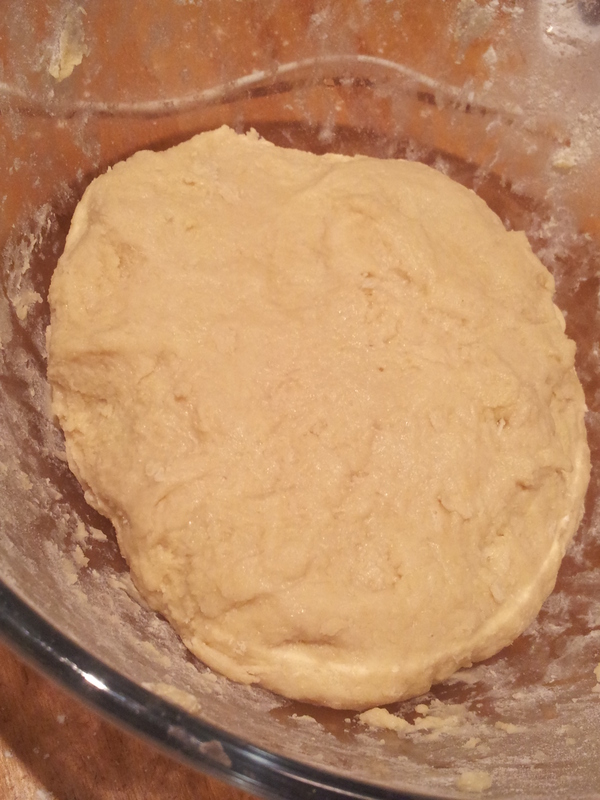 One thing I dislike about making yeast doughs is the kneading time required. 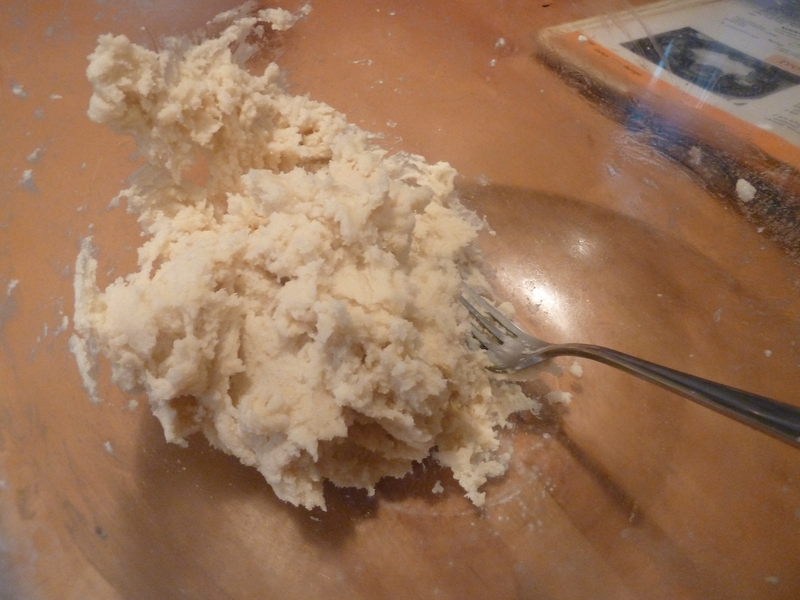 I no longer own a hand whisk with dough hooks attached and my food processor can only handle dough for 2-3 minutes before it starts rocking around the counter top precariously. 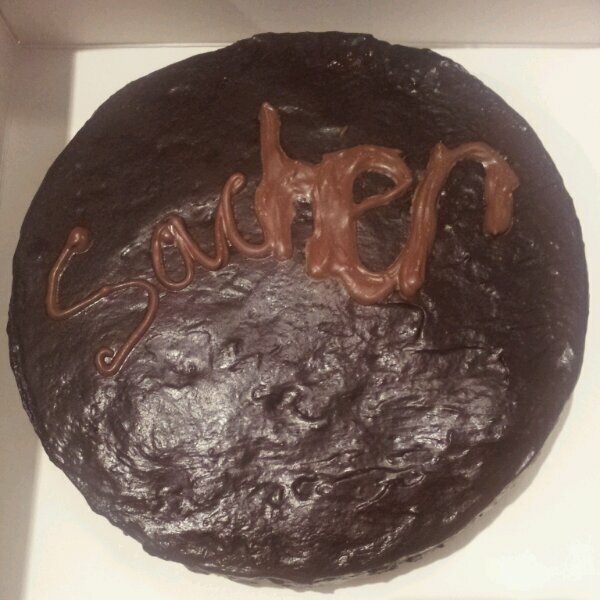 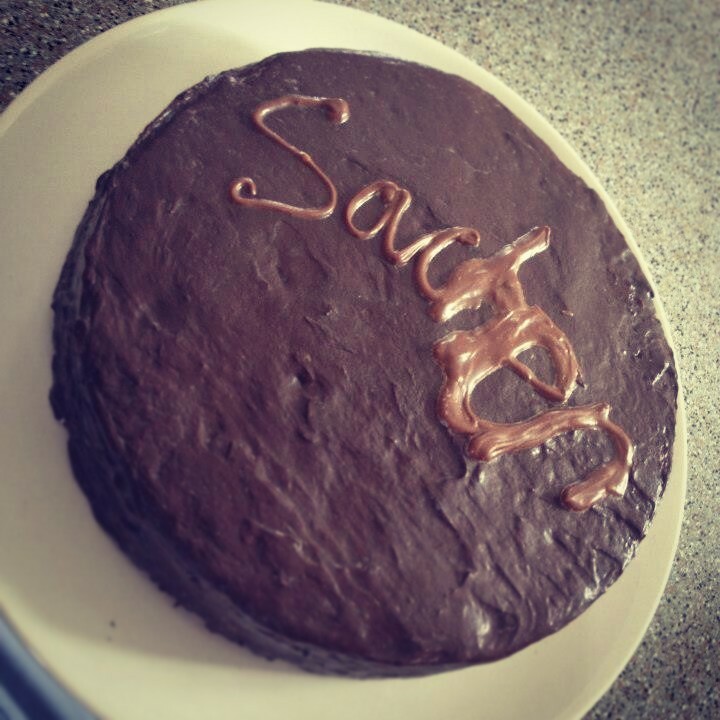 So, in my mad baking frenzy, I improvised as best as I could do. 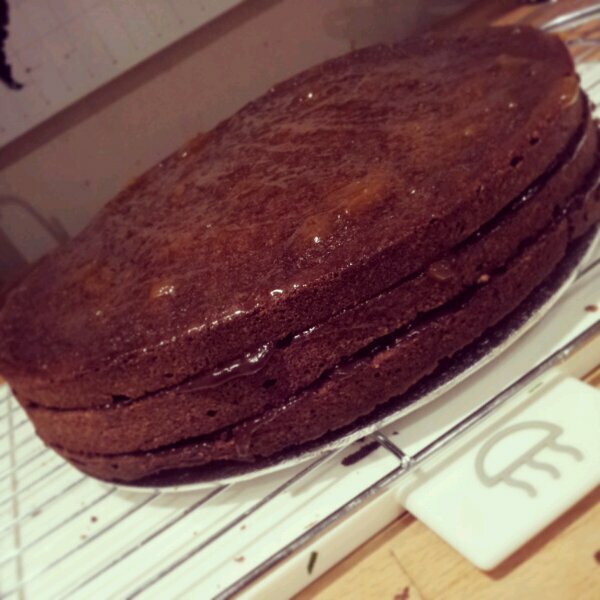 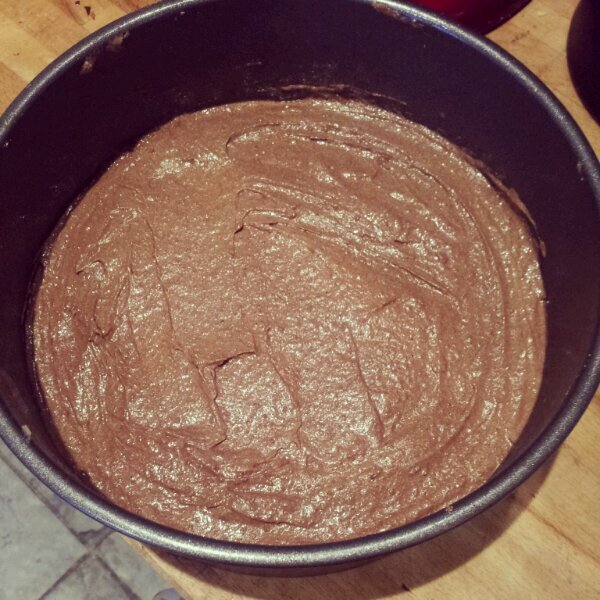 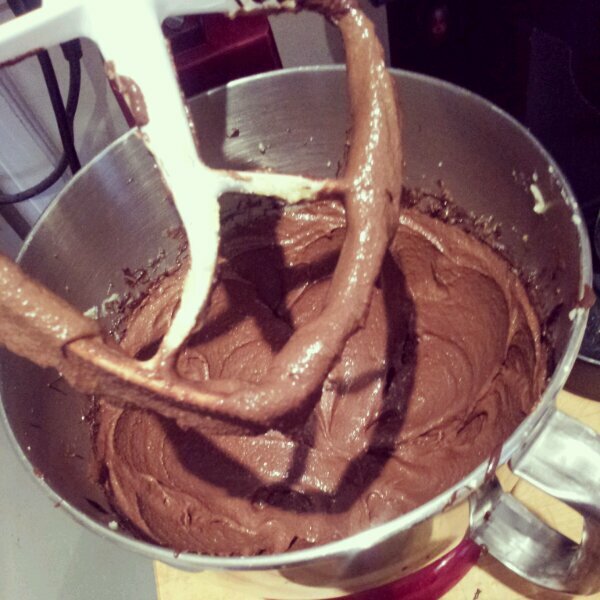 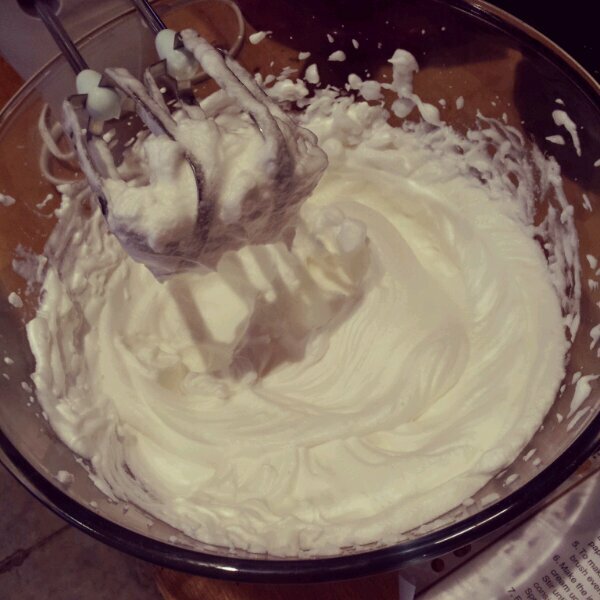 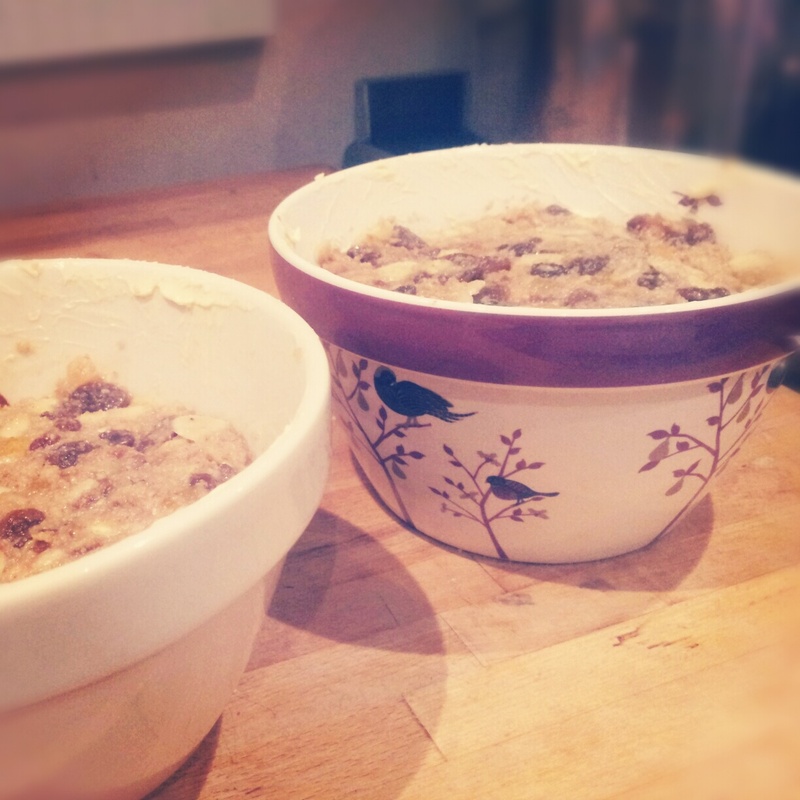 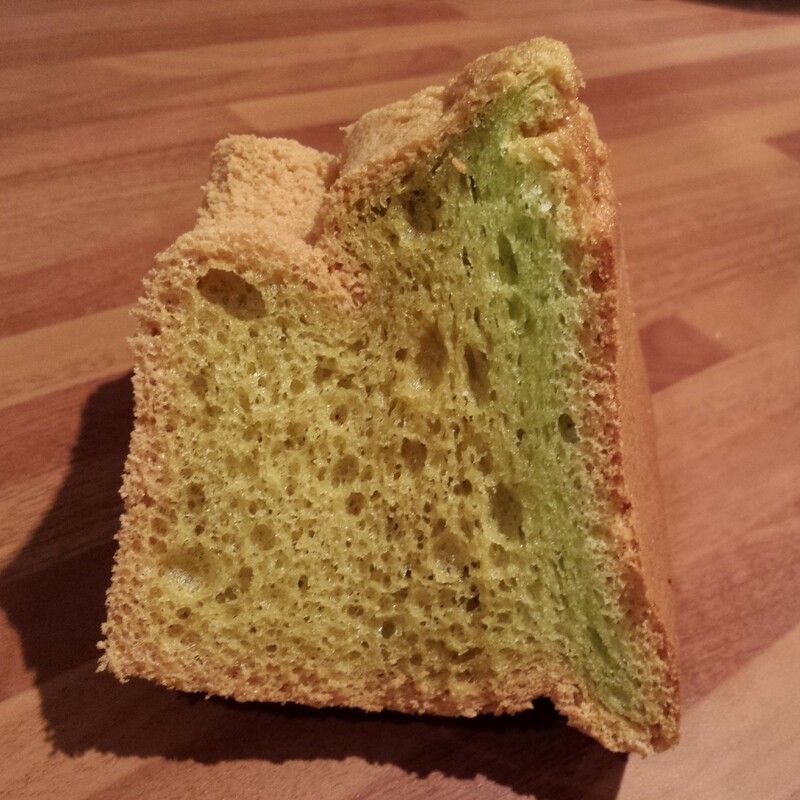 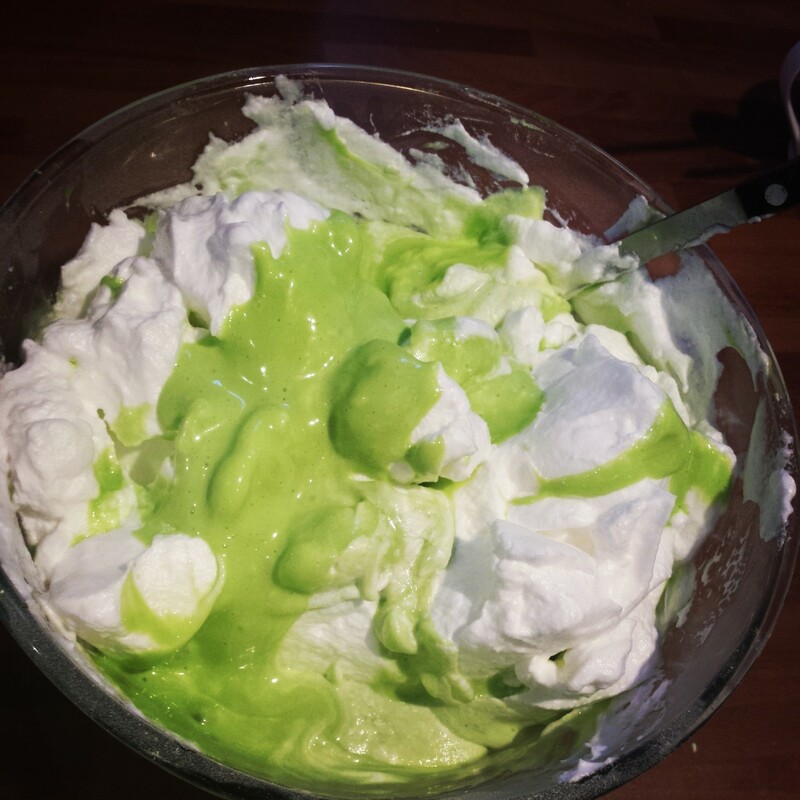 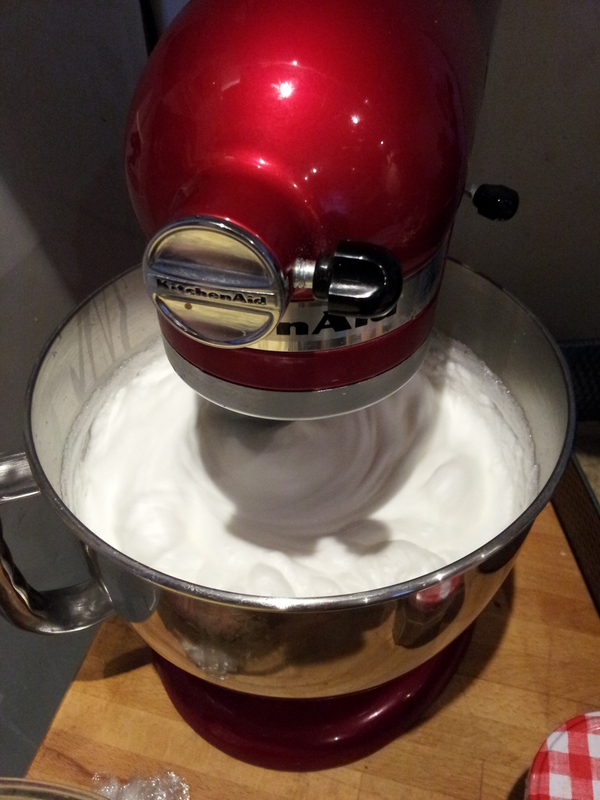 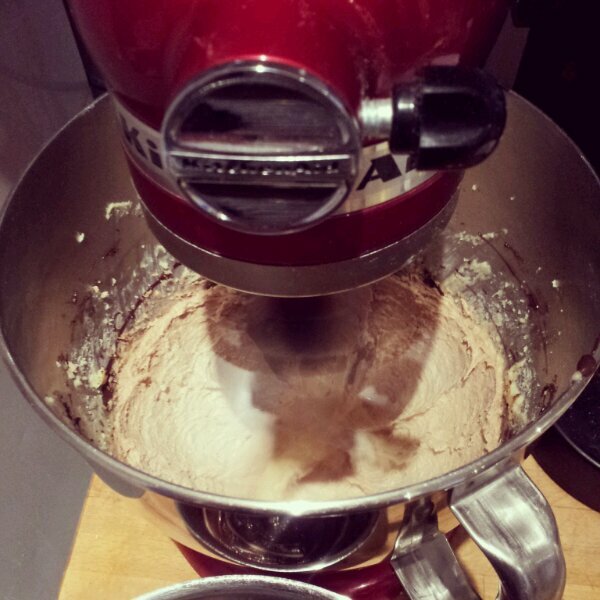 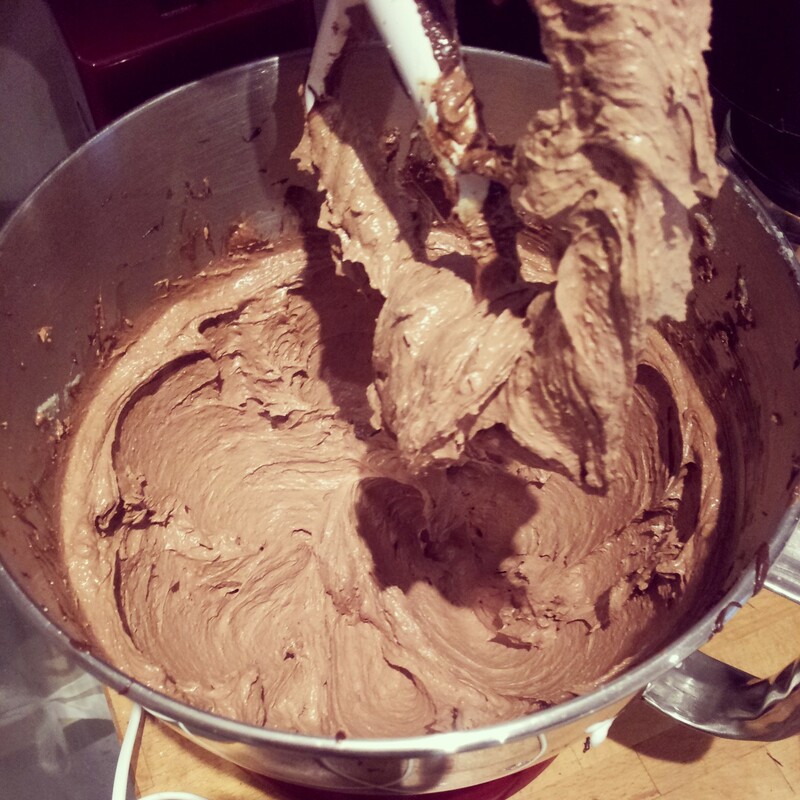 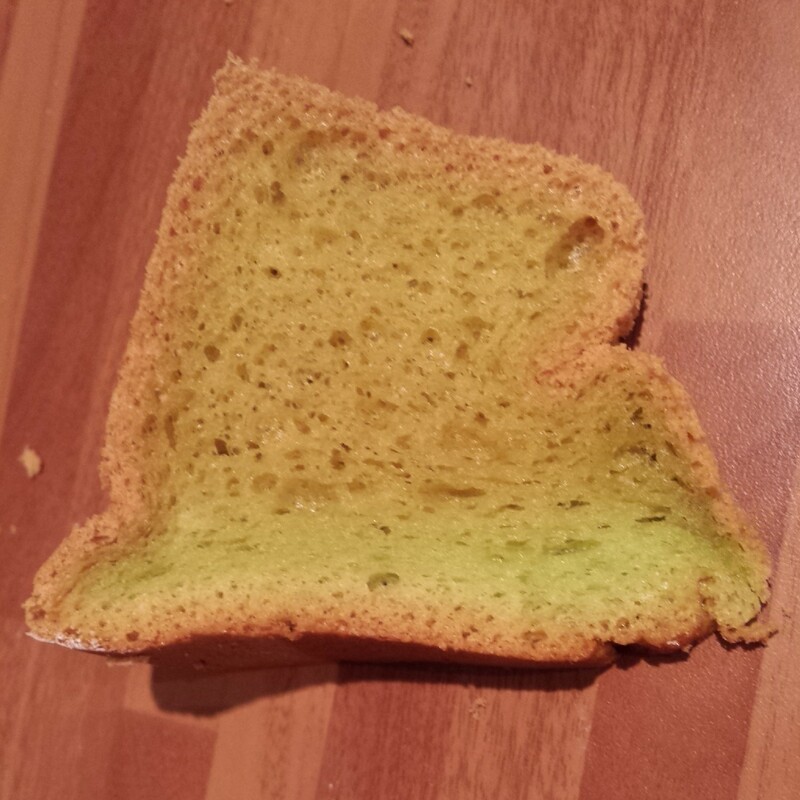 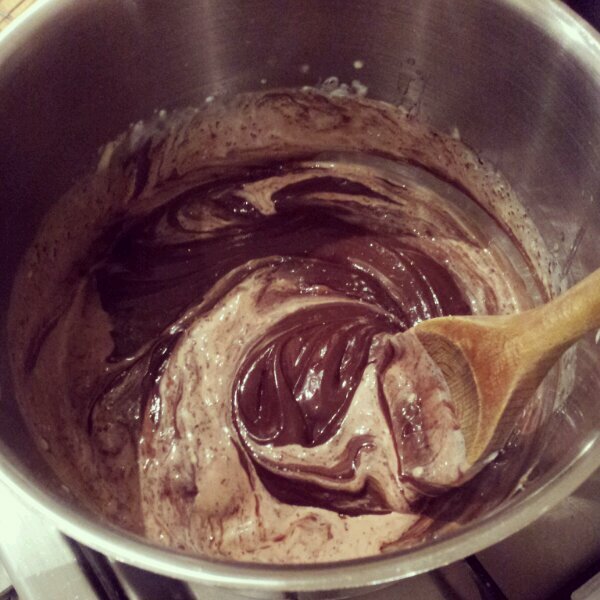 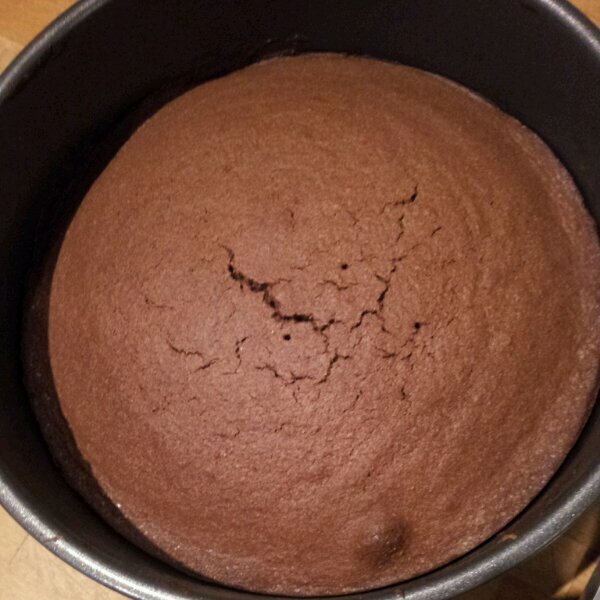 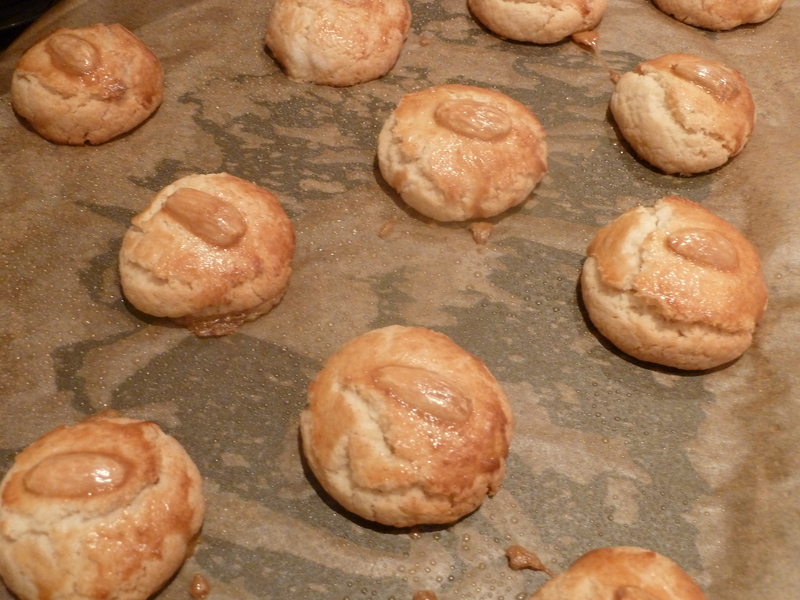 I used my electric hand whisk and beat the dough together… Who knows if this is an acceptable baking practice? 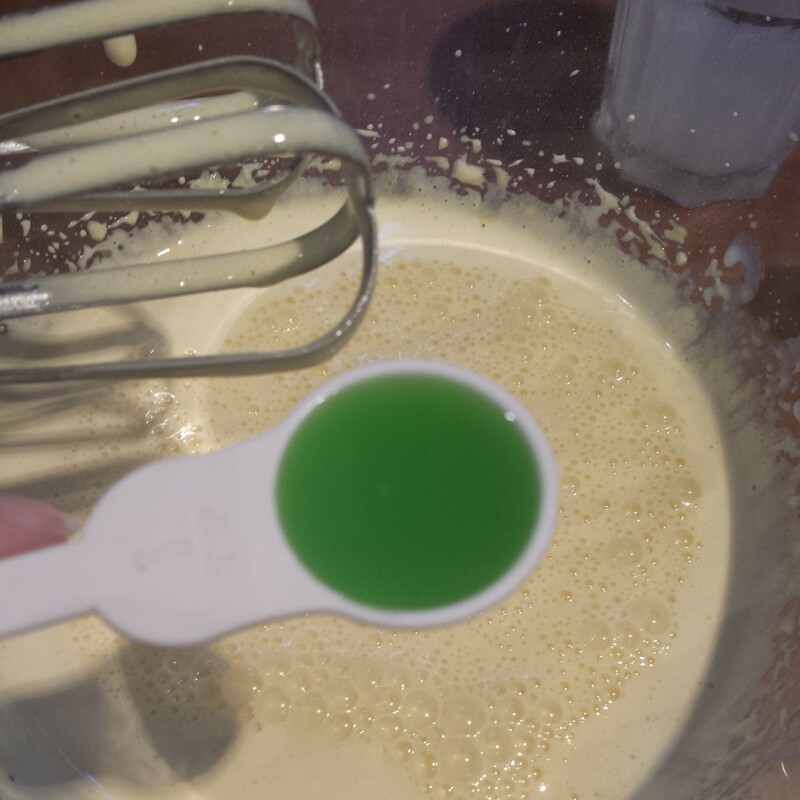 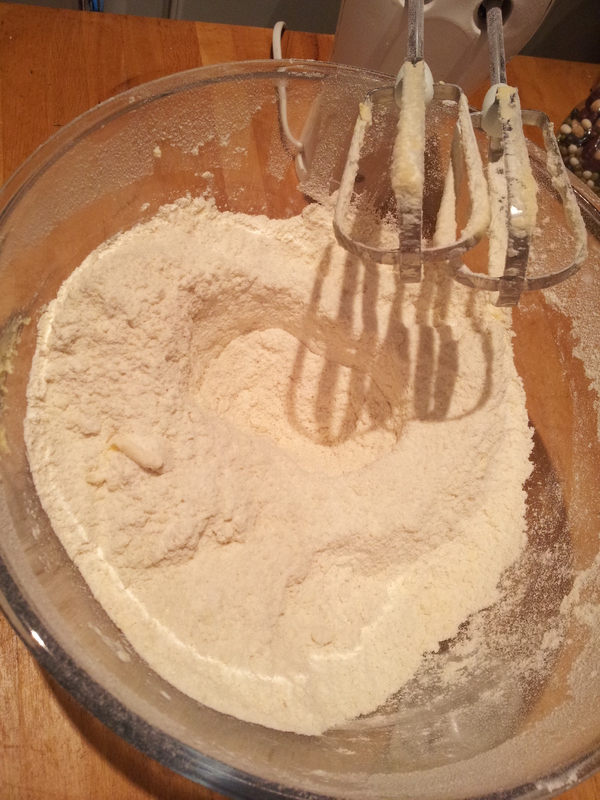 Whisk all of the dry ingredients together. 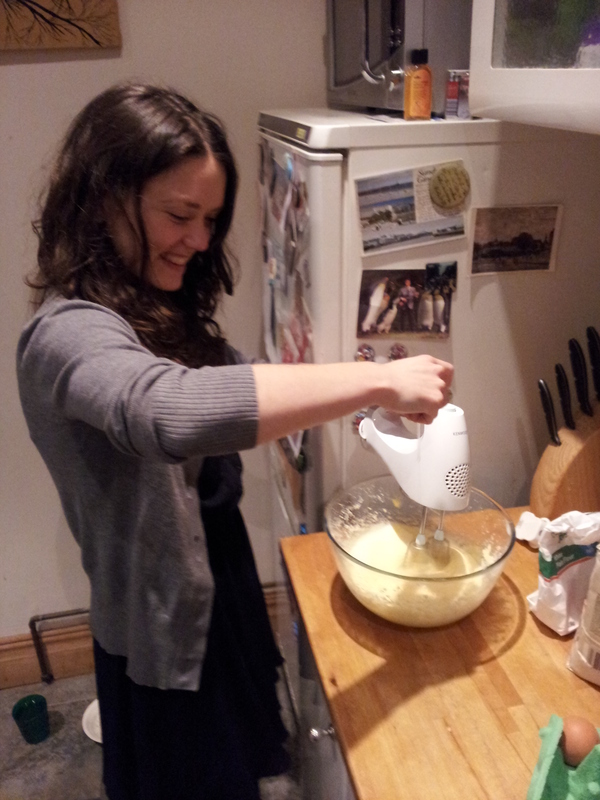 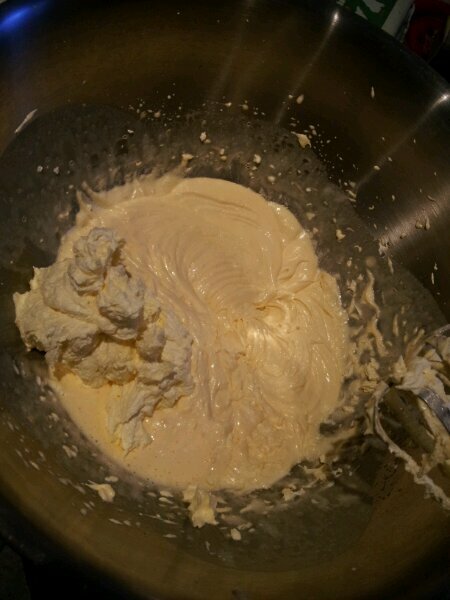 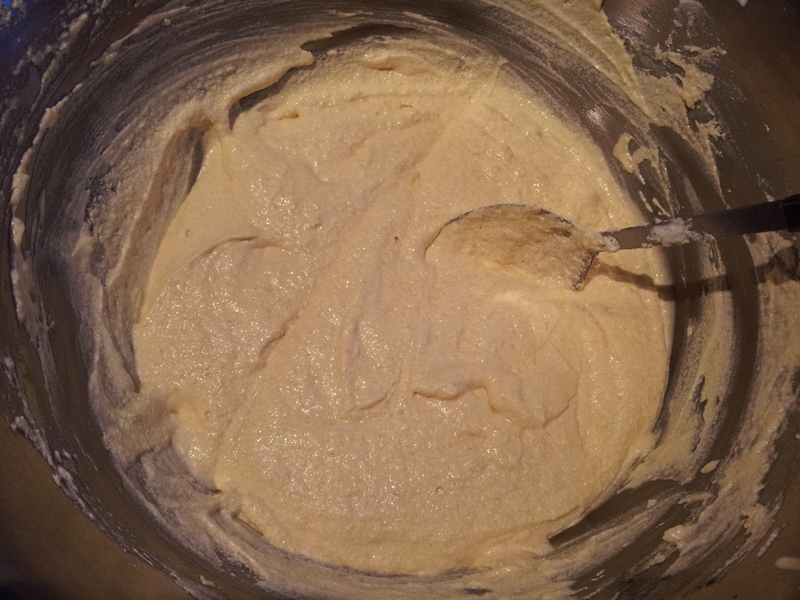 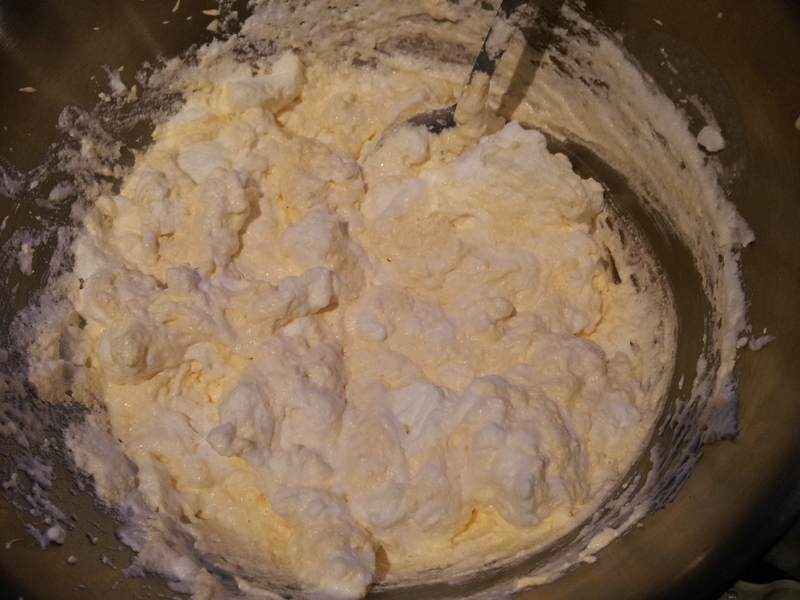 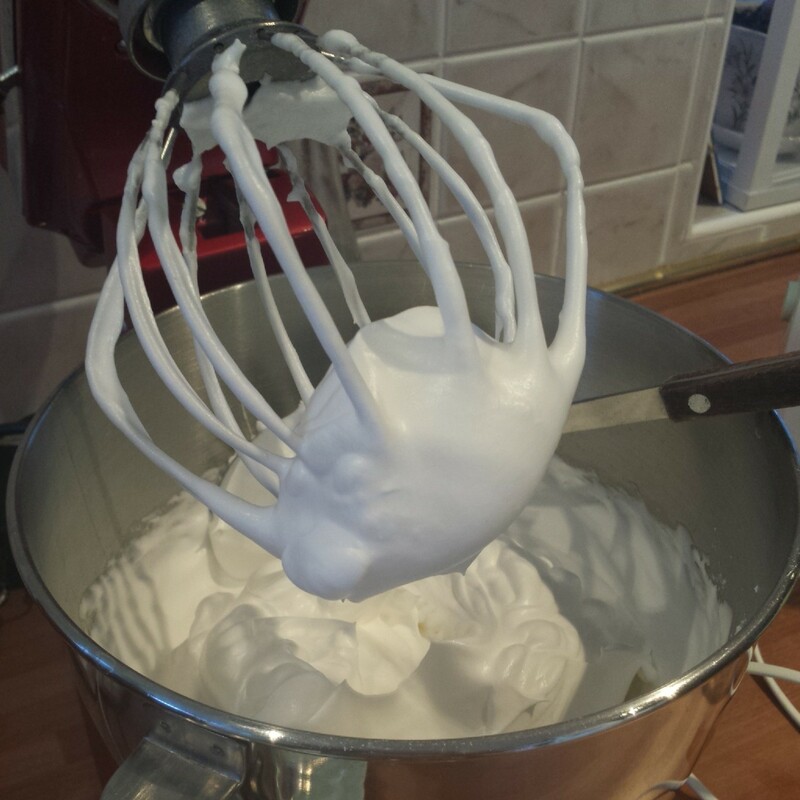 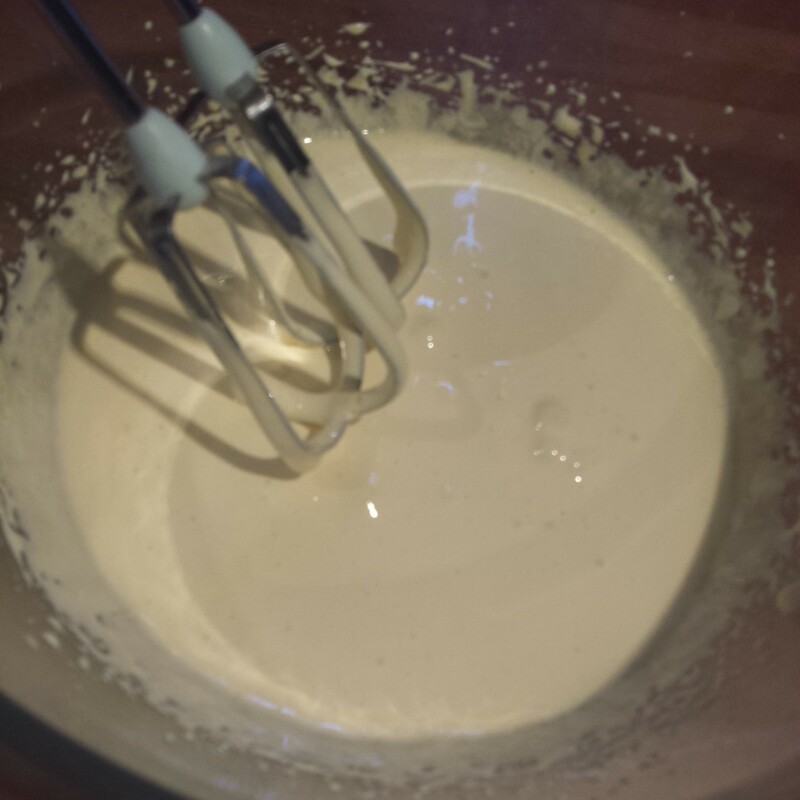 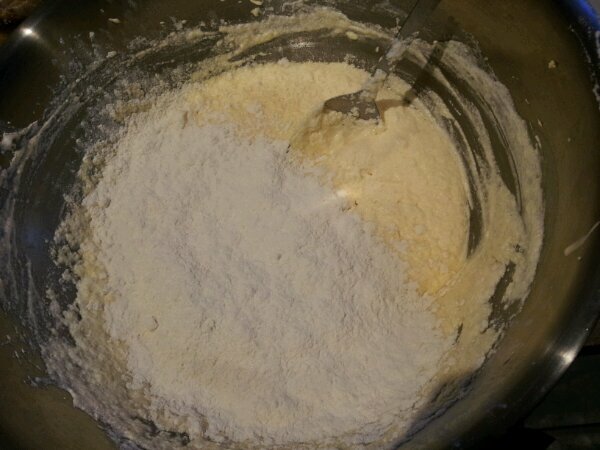 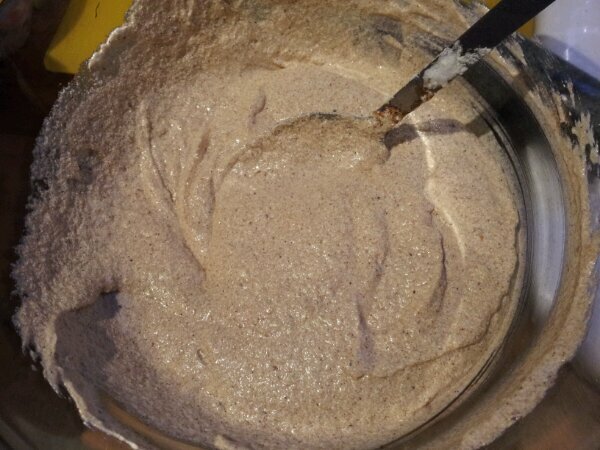 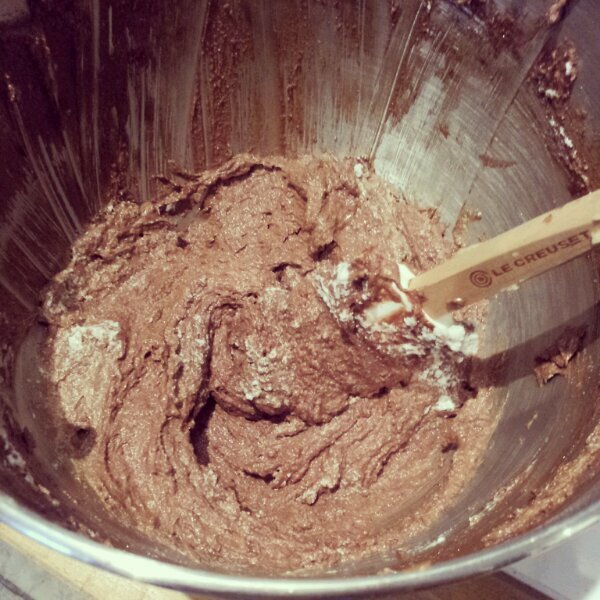 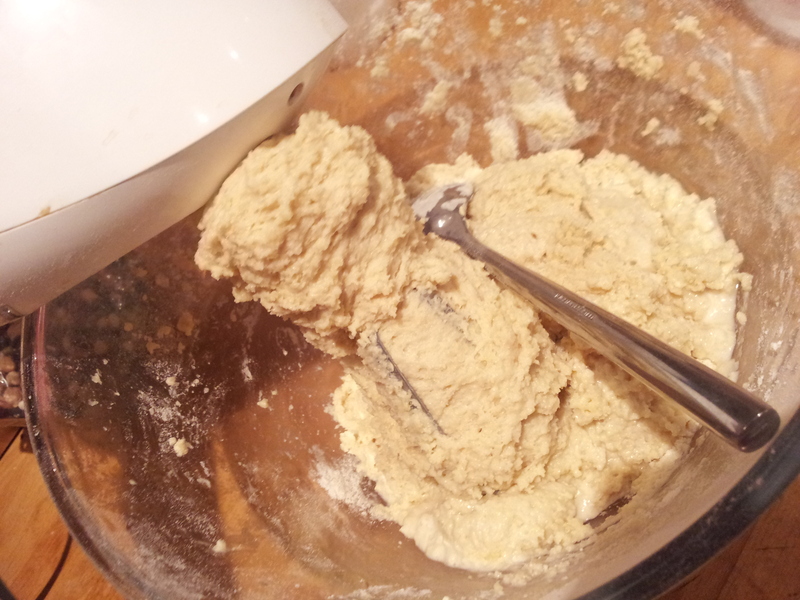 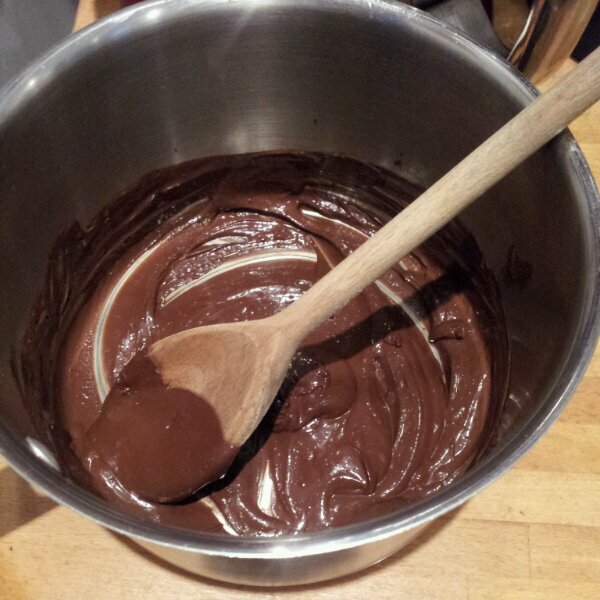 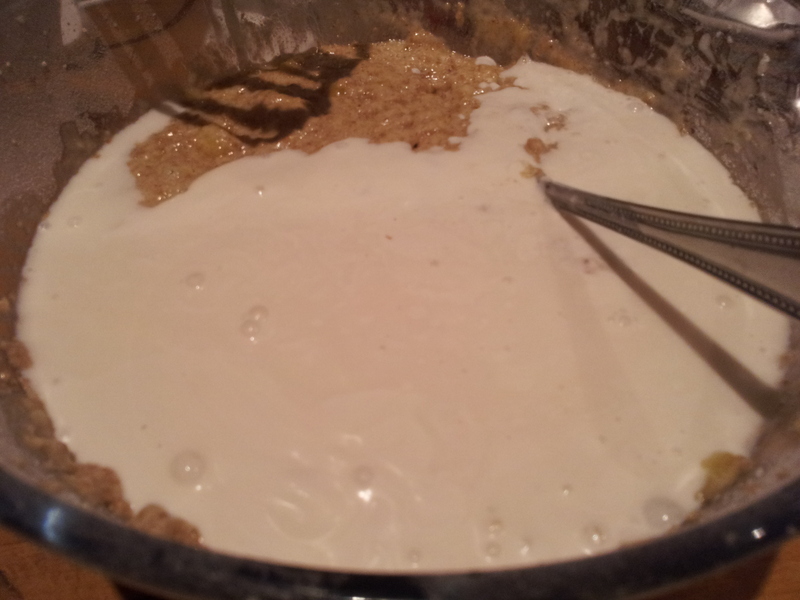 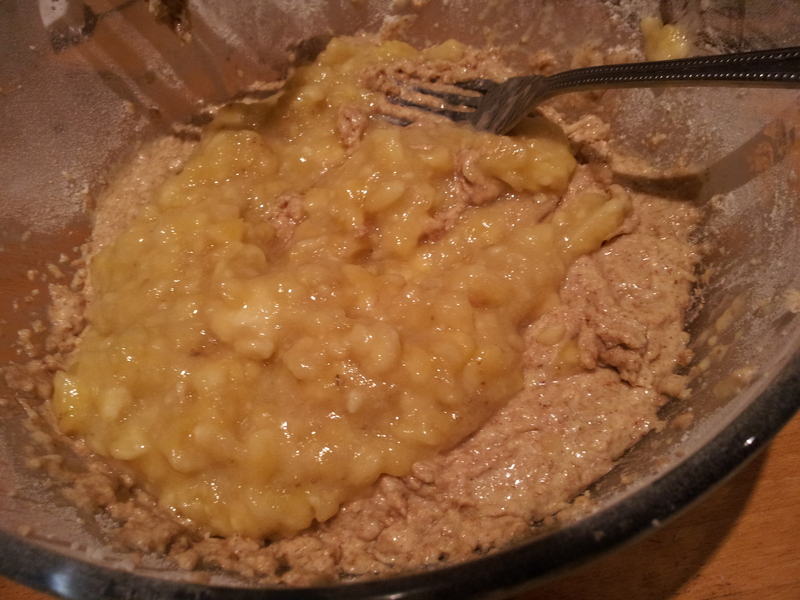 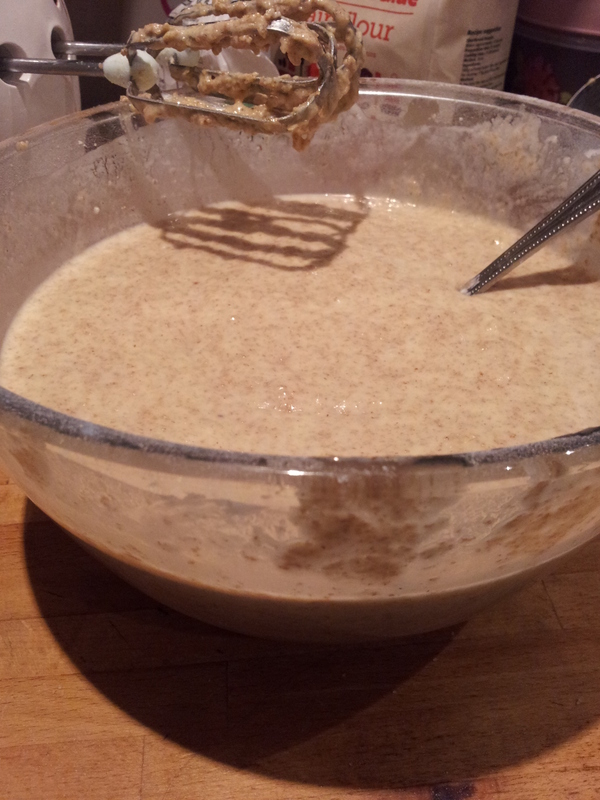 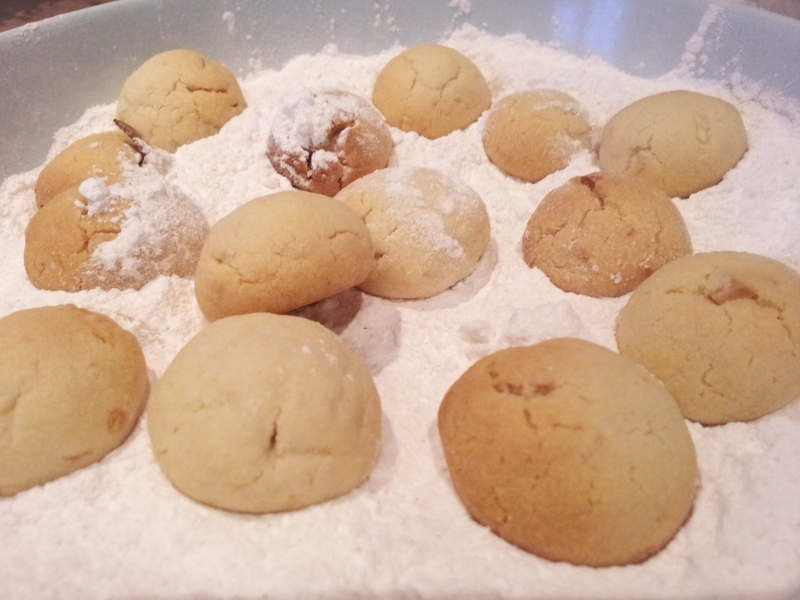 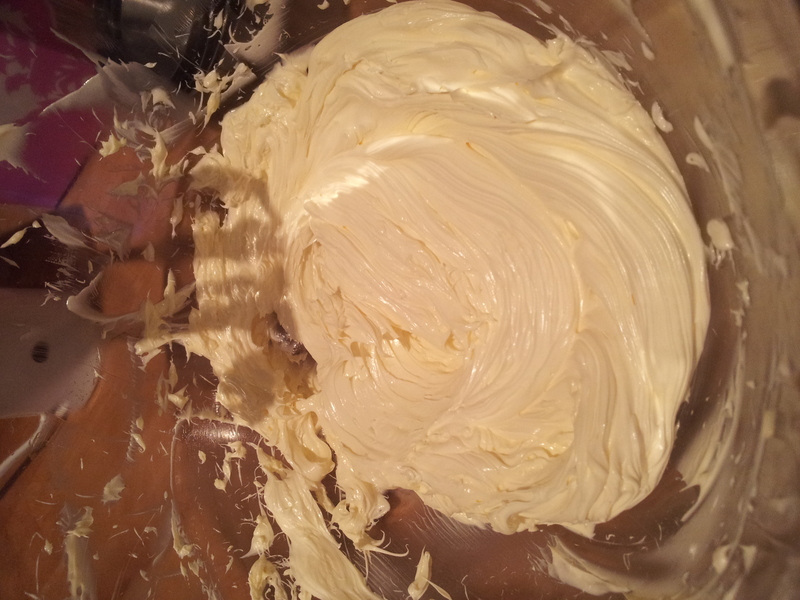 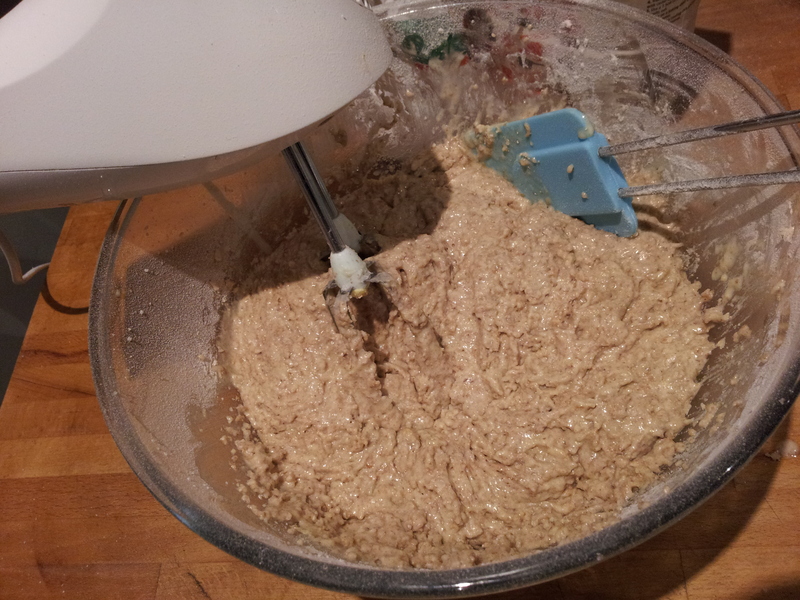 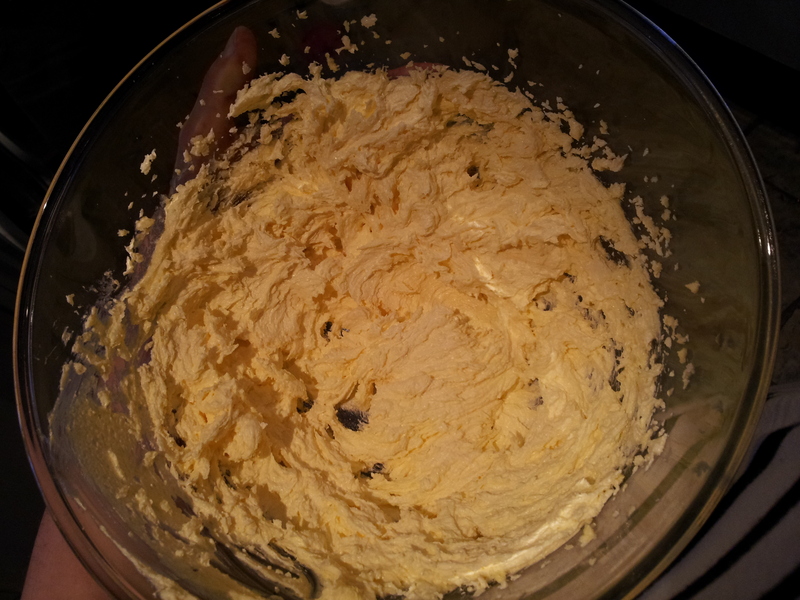 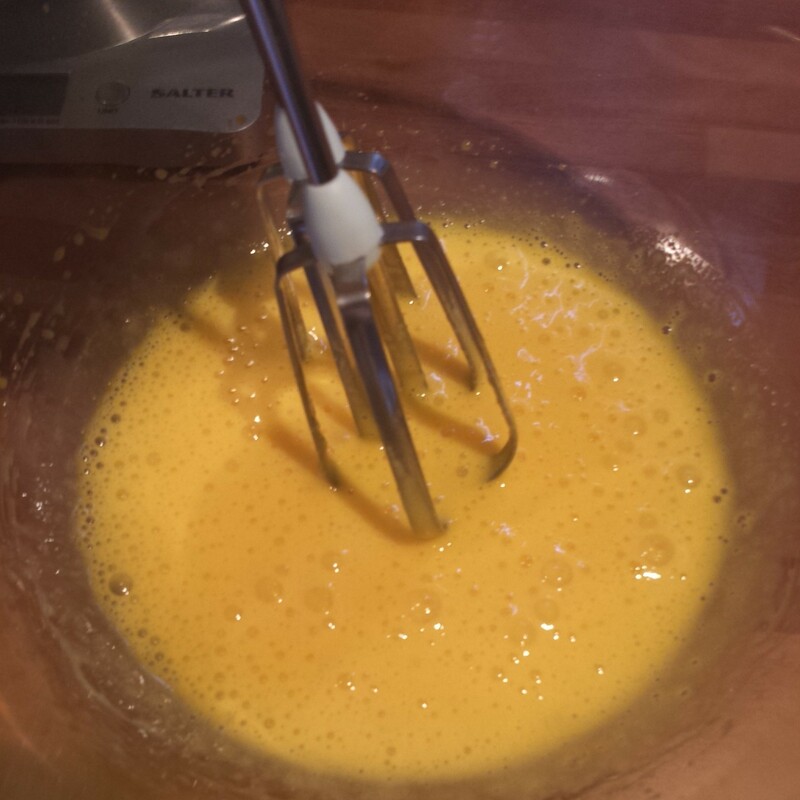 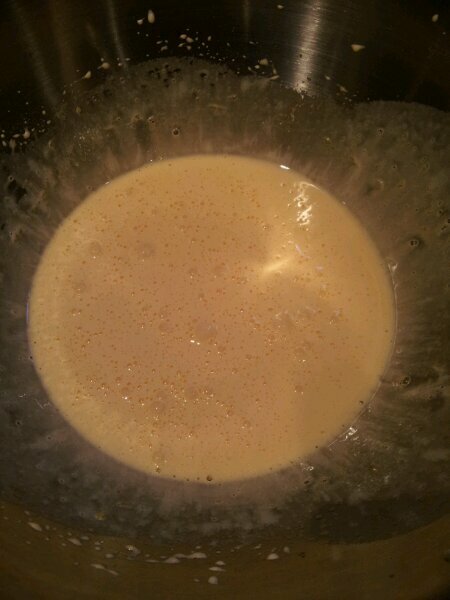 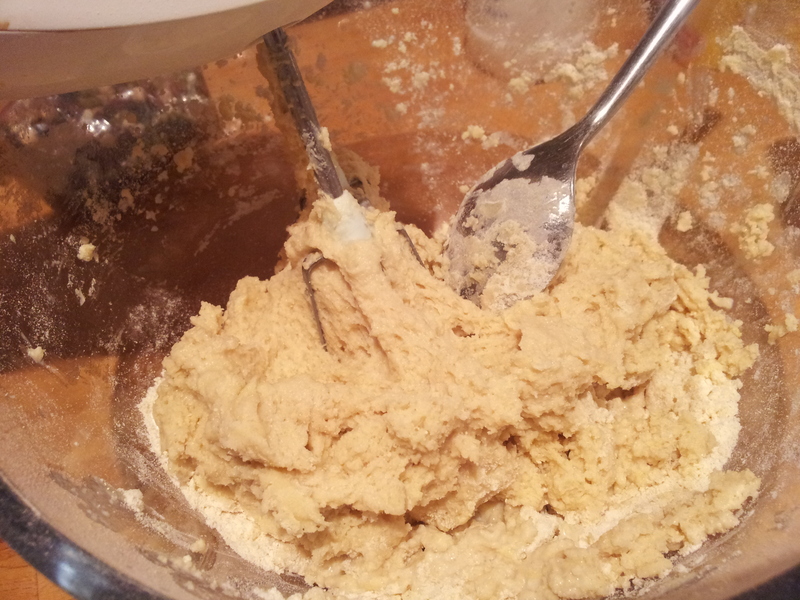 Then whisk into the mix the butter, followed by the egg and then the milk until you get an elastic, wet sticky dough. 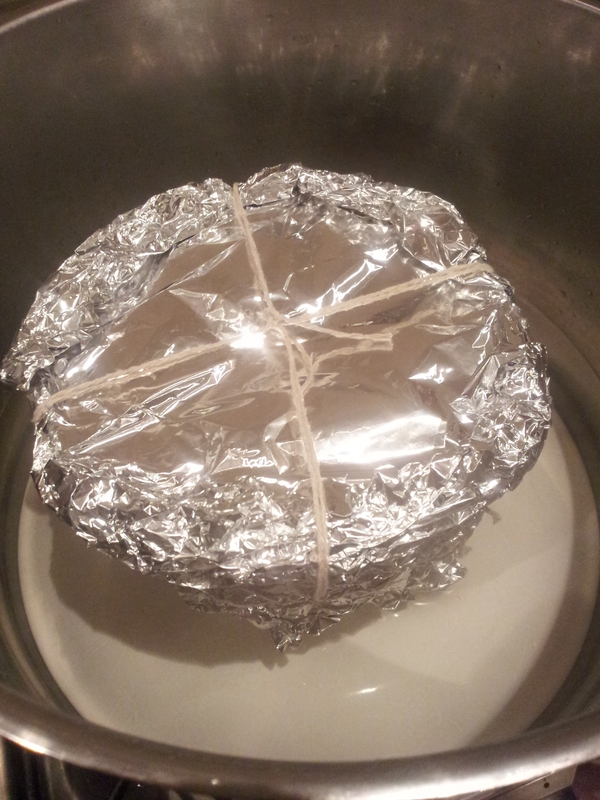 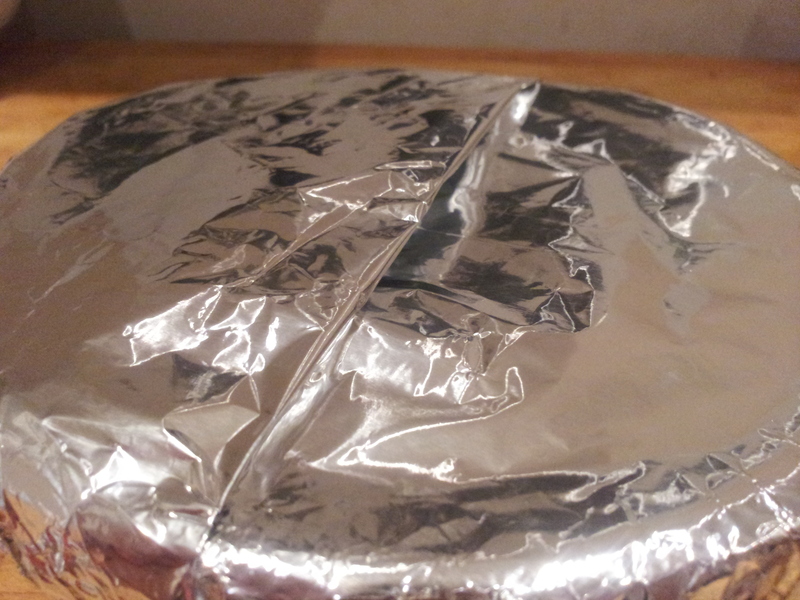 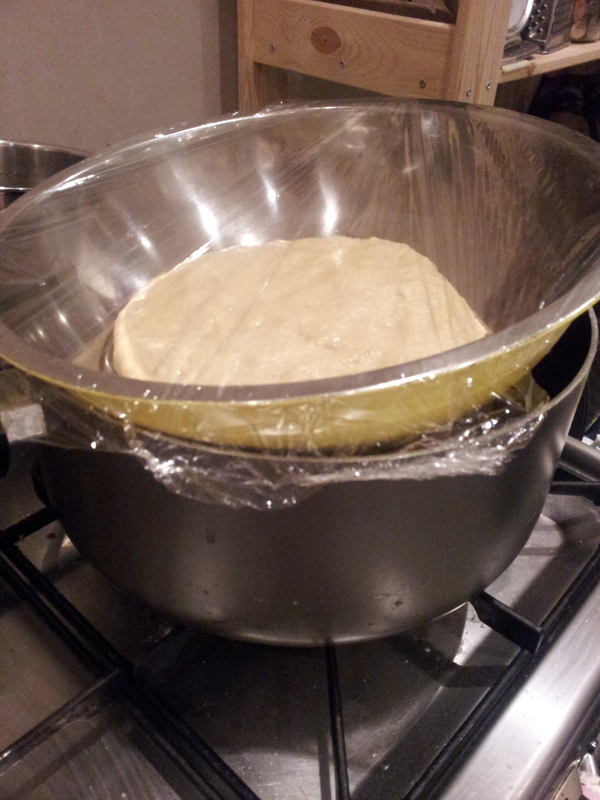 Leave it in an oiled bowl and cover with greased cling film to prove. 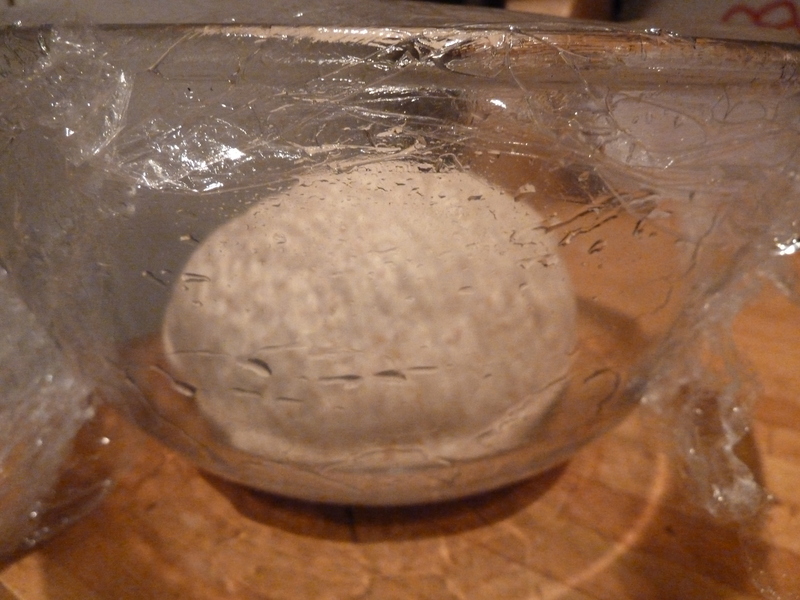 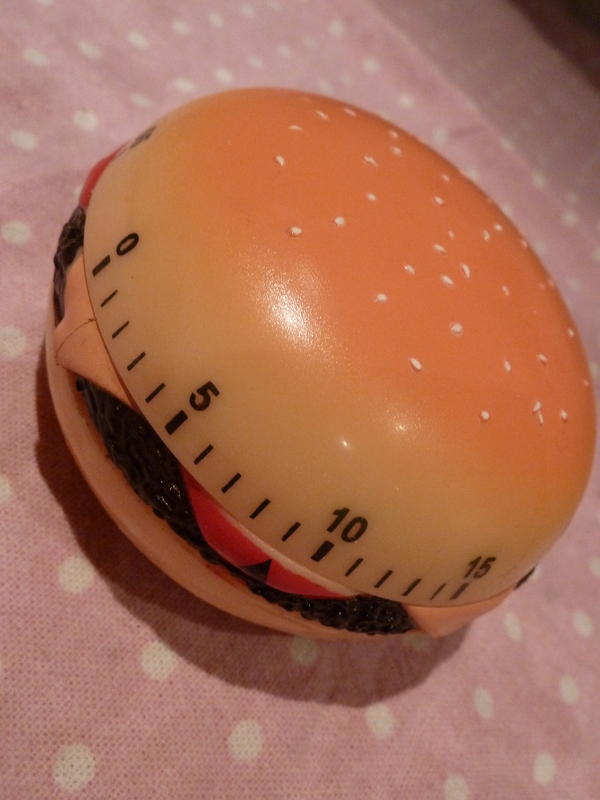 I popped mine in the fridge over night to prove slowly (although it should only take an hour or two in a warm spot). 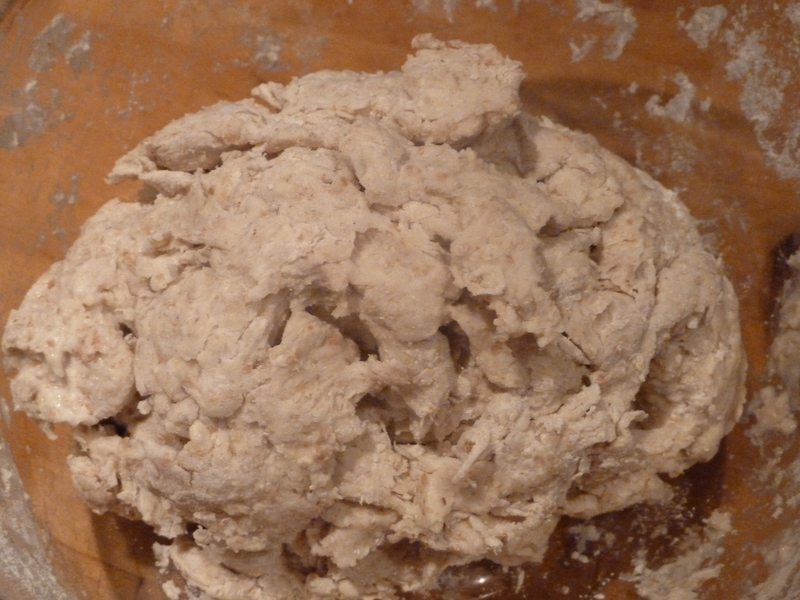 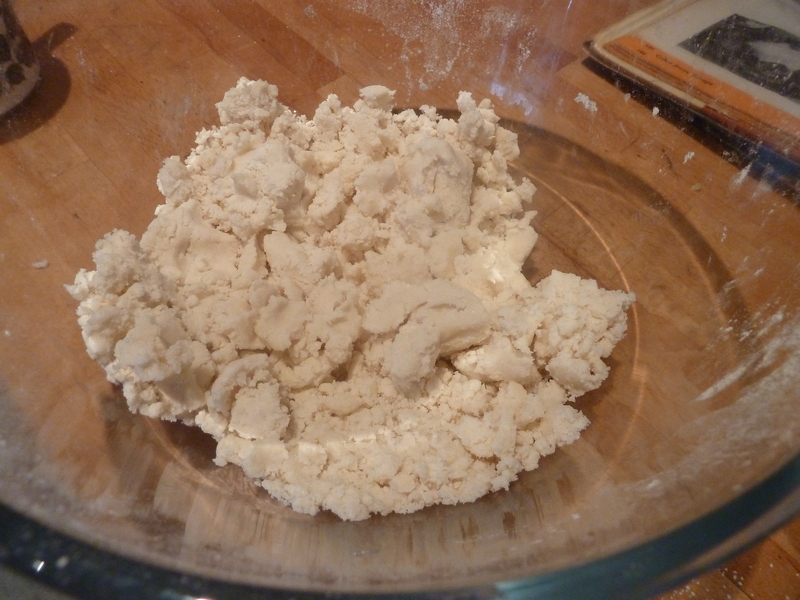 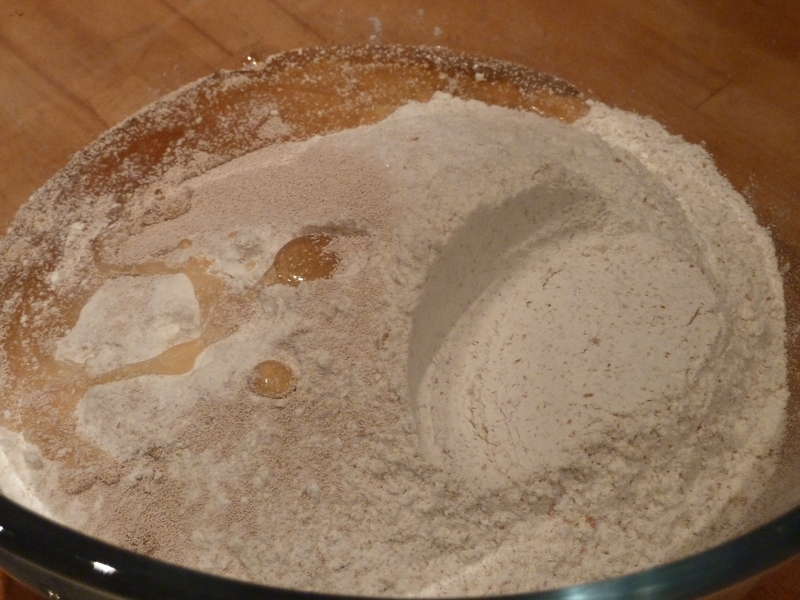 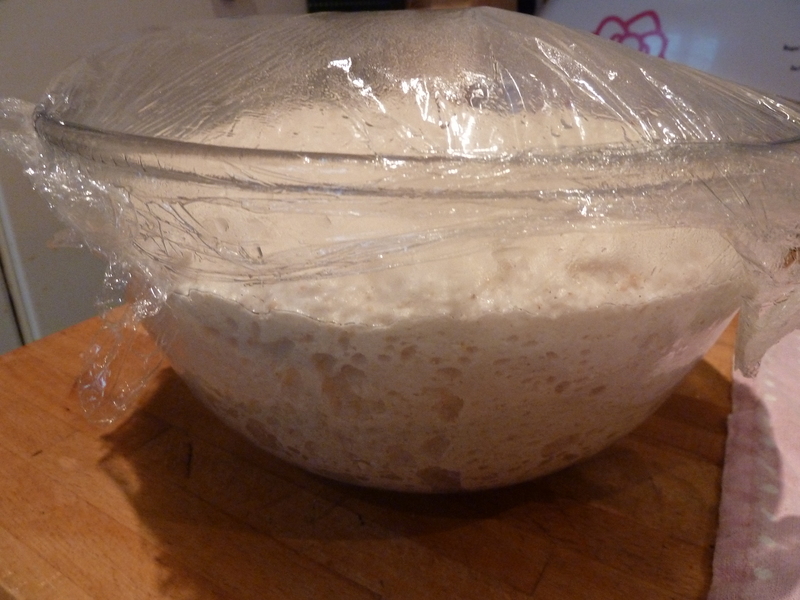 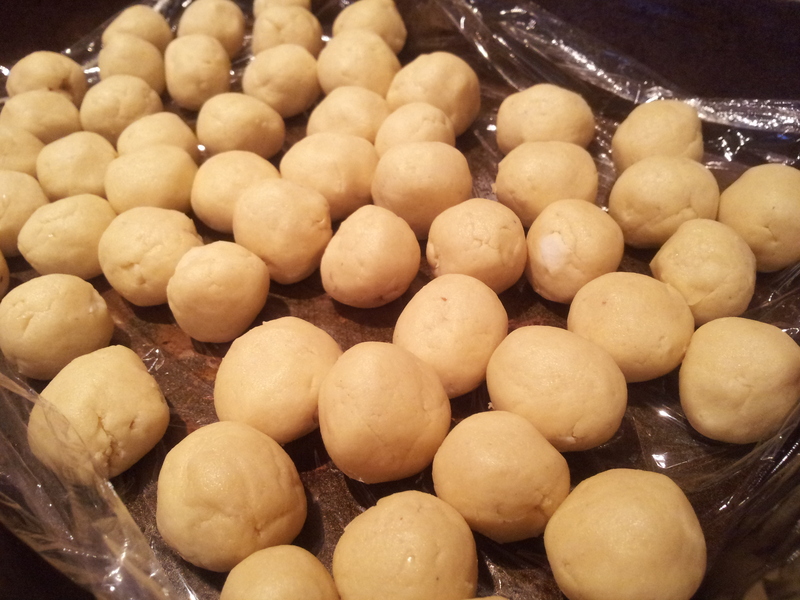 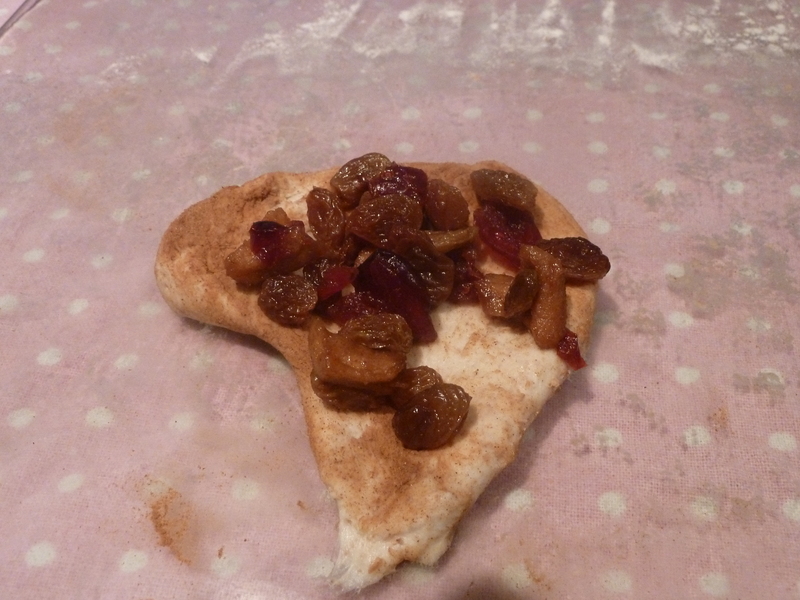 Remove the proven dough from the fridge and allow to come to room temperature (if you have proven it in the fridge). 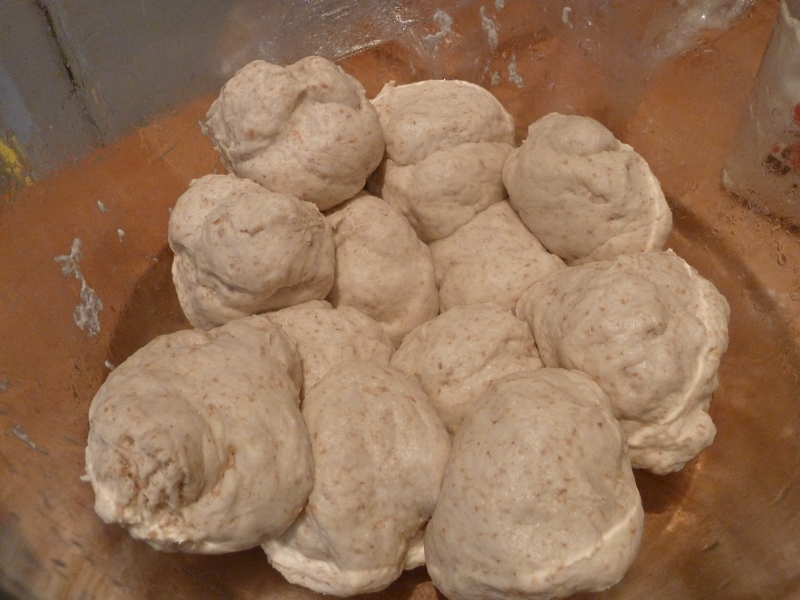 Kneaded the full proven dough thoroughly to re distribute the heat throughout the dough. 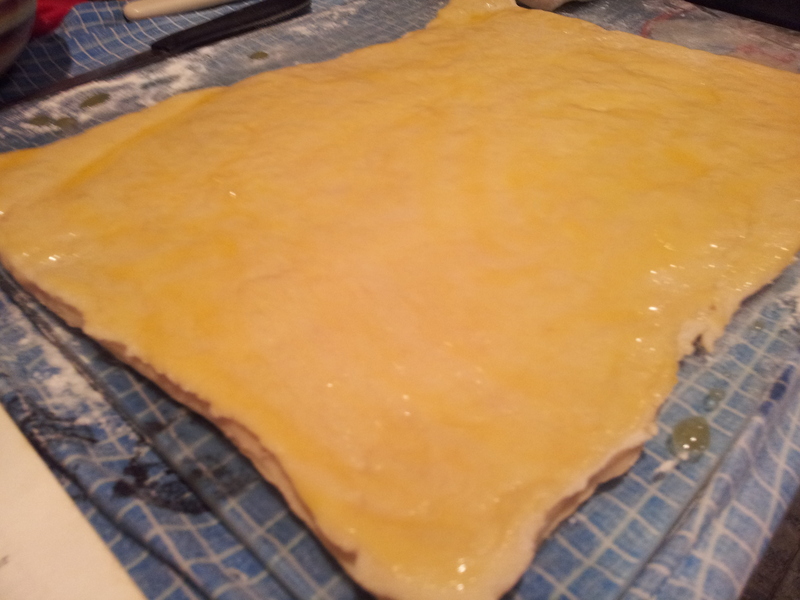 My favourite bit was smearing the entire rectangle of dough with melted butter. 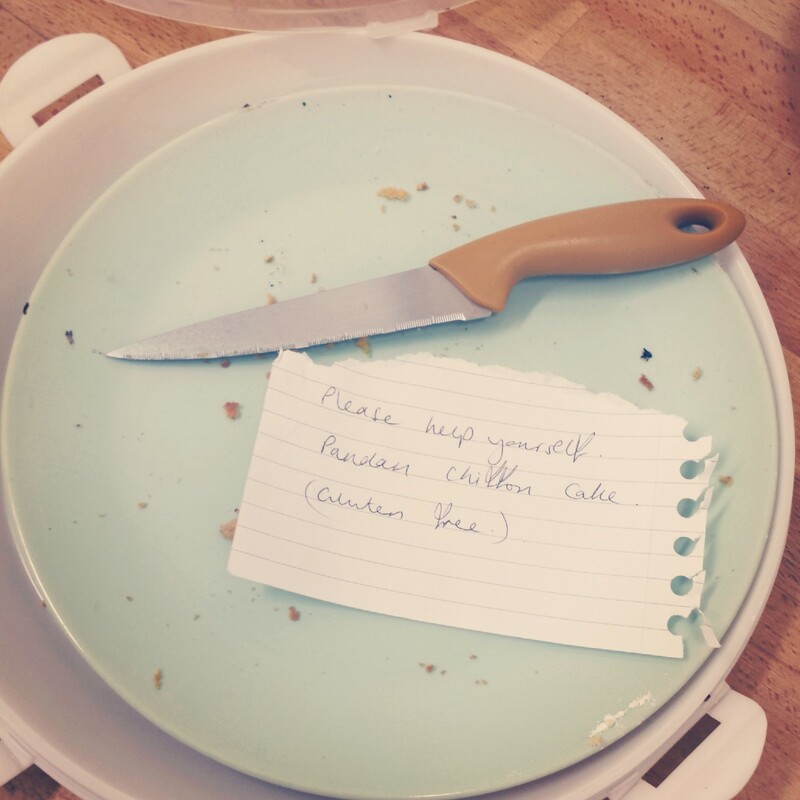 I don’t think you need to be precise here. 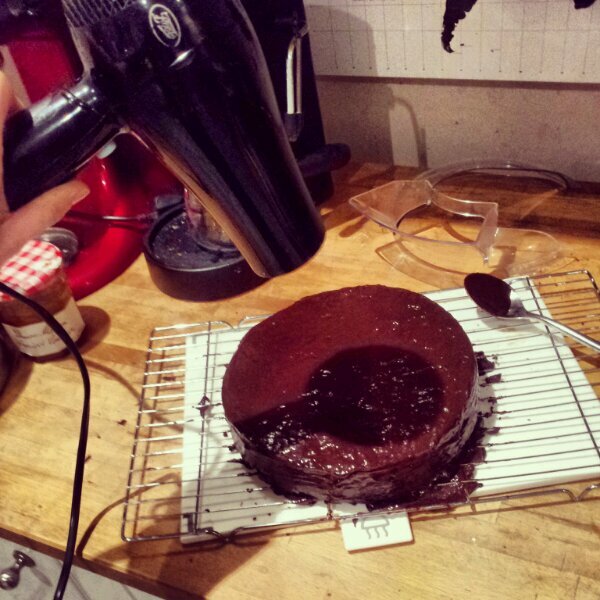 I found a pastry brush too delicate for this job and slapped the lot on with my hand instead straight from the microwave. 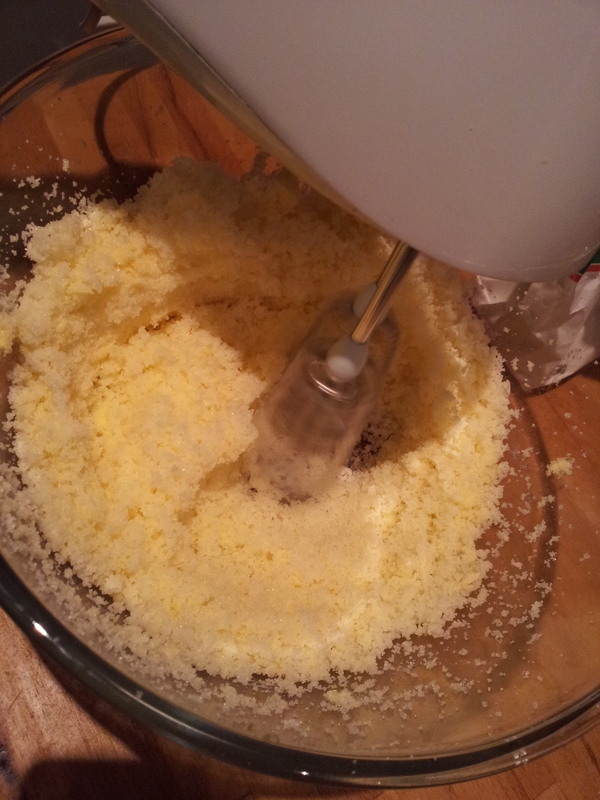 (It only needs about 30 seconds to melt the butter through). 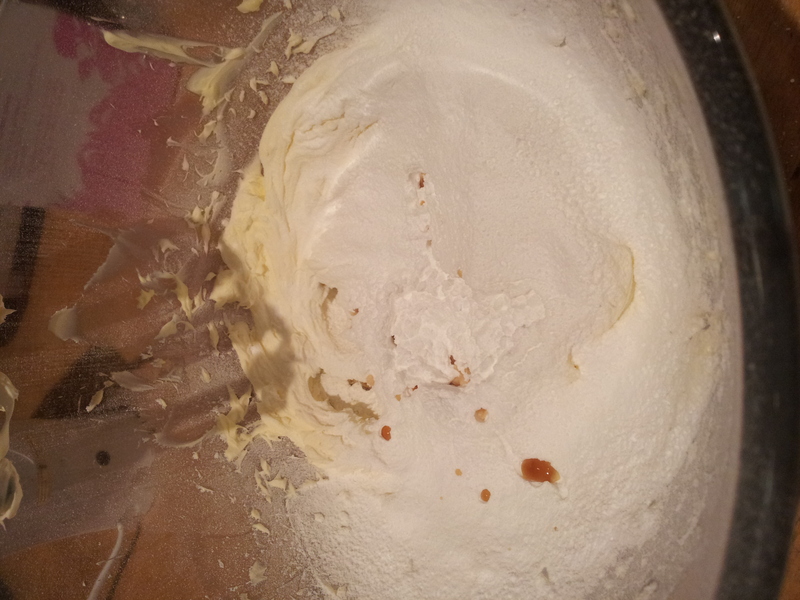 The more generous with the butter the more gooey your filling. 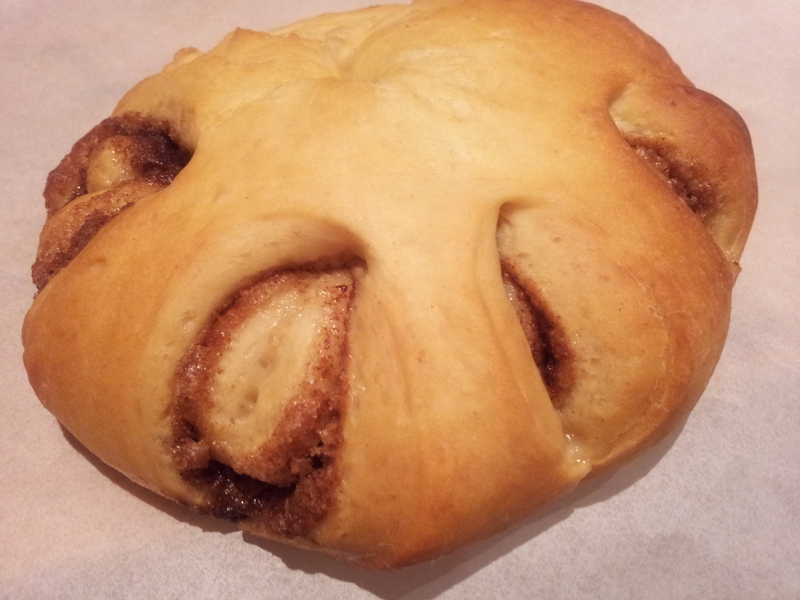 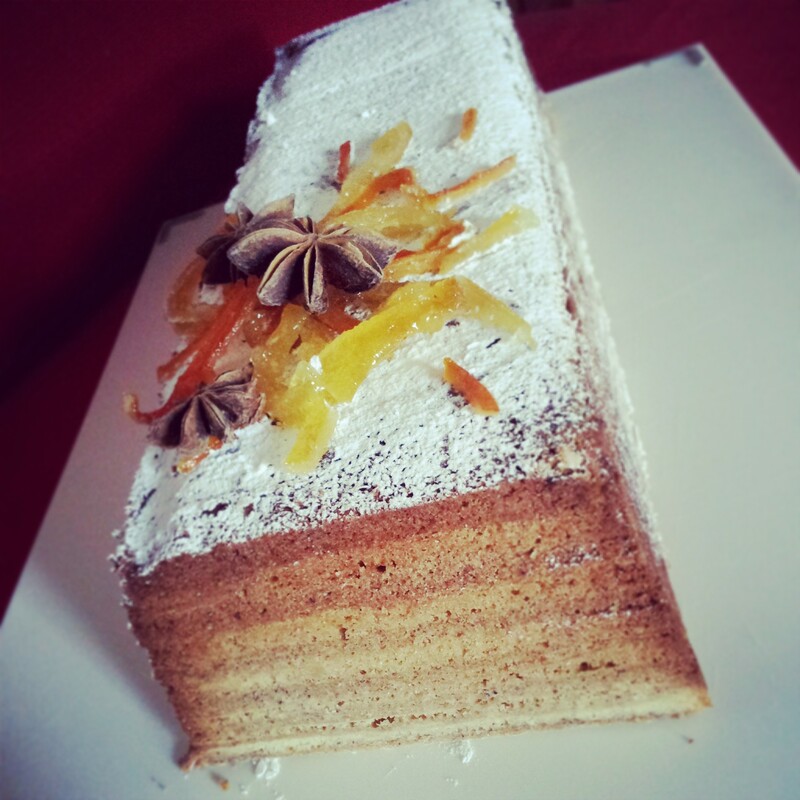 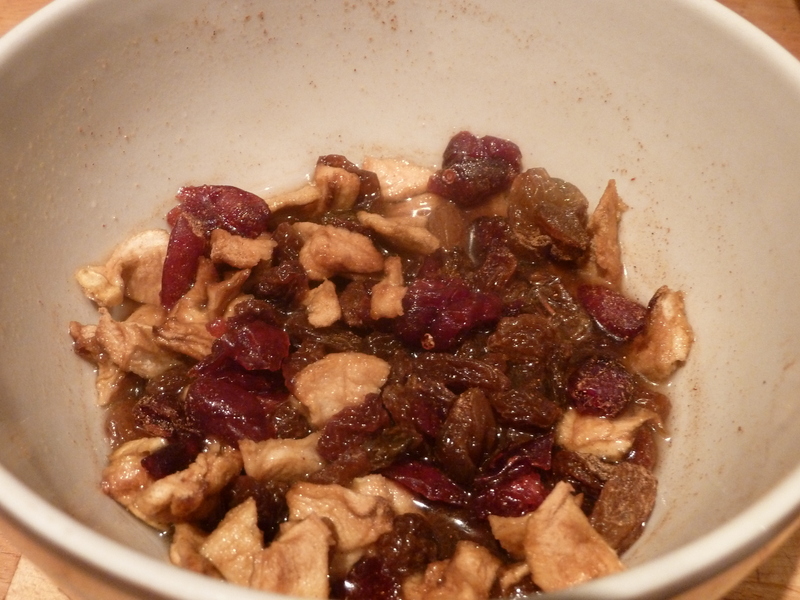 For those who adore cinnamon, don’t feel restricted by the recipe. 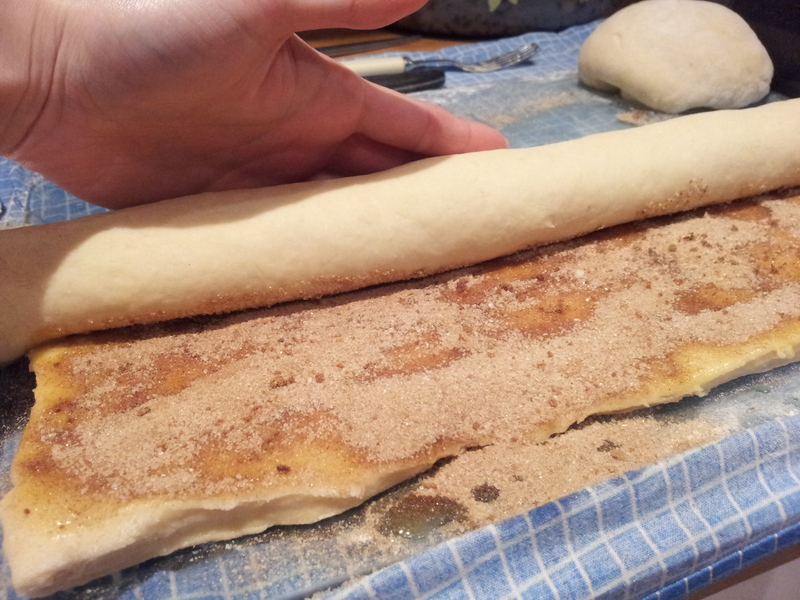 Feel free to pour as much cinnamon into your sugar as you can handle. 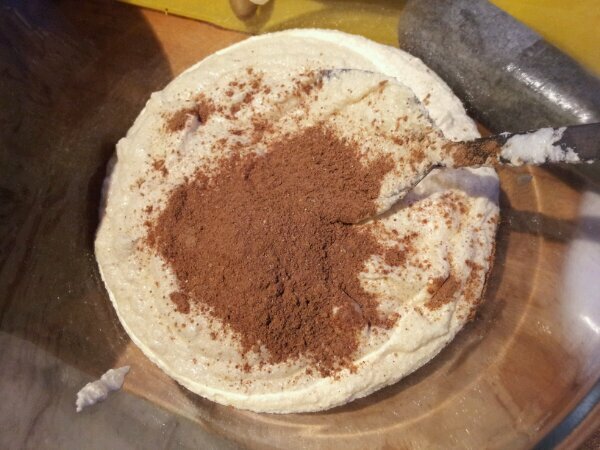 Give it a quick stir to combine and then throw it onto your butter dough until you have an even blanket of cinnamony wonderment. 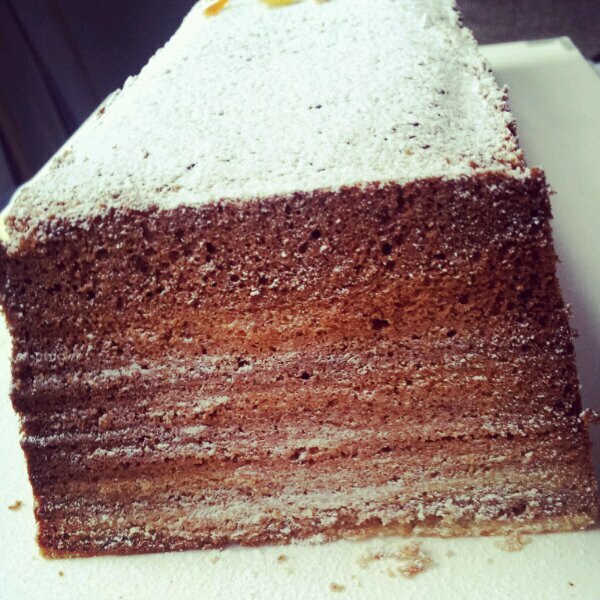 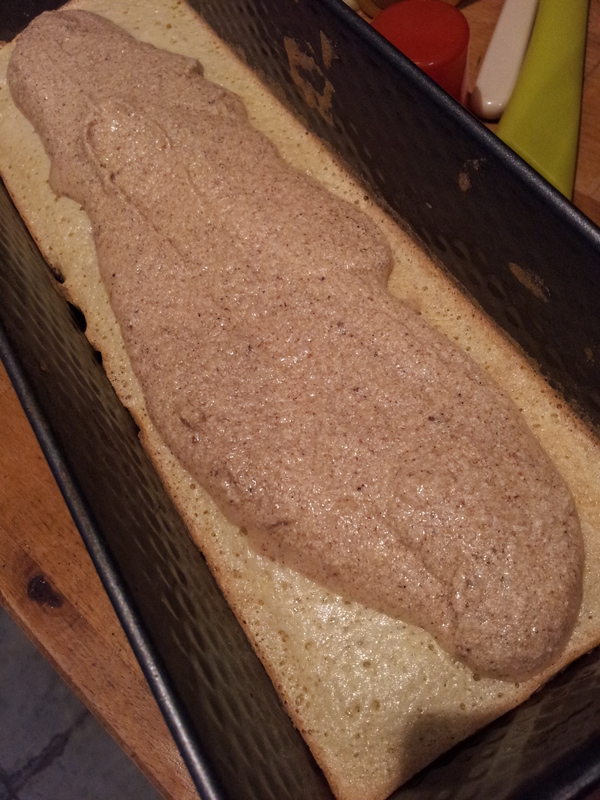 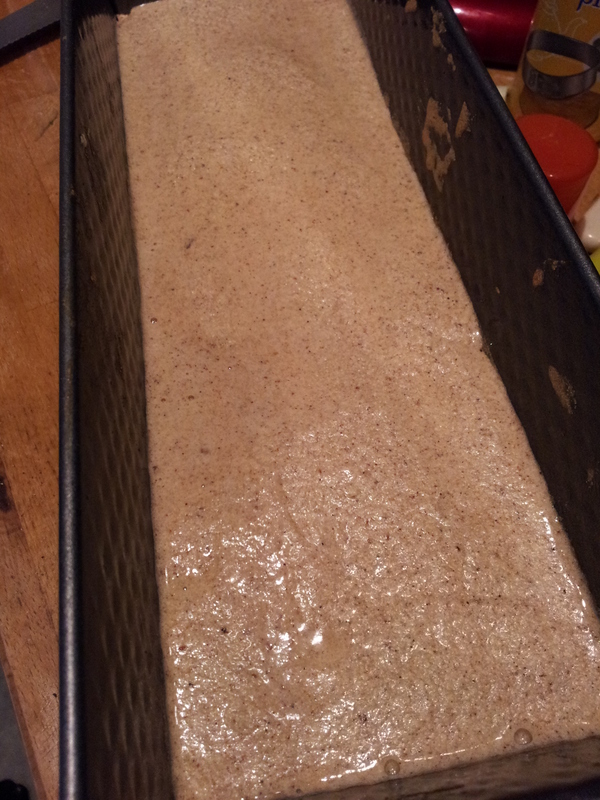 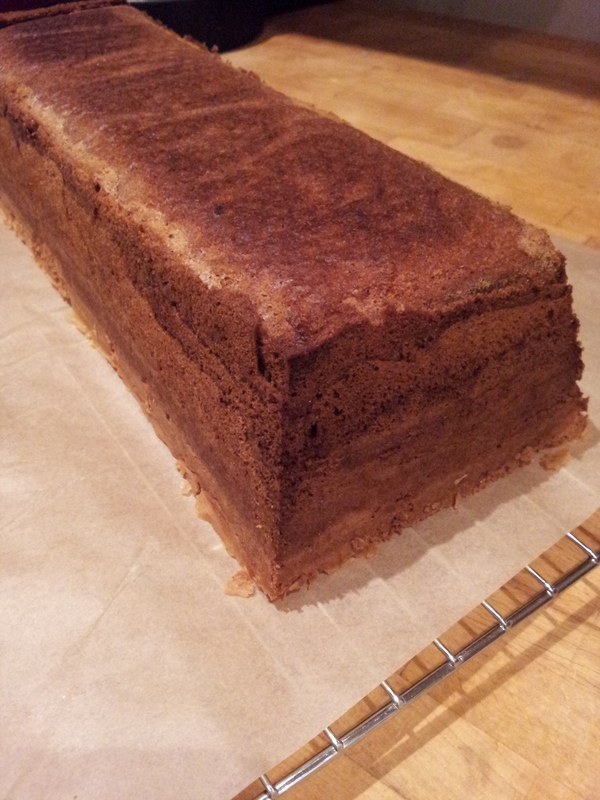 I like to use enough cinnamon to give the sugar a dark brown colour. 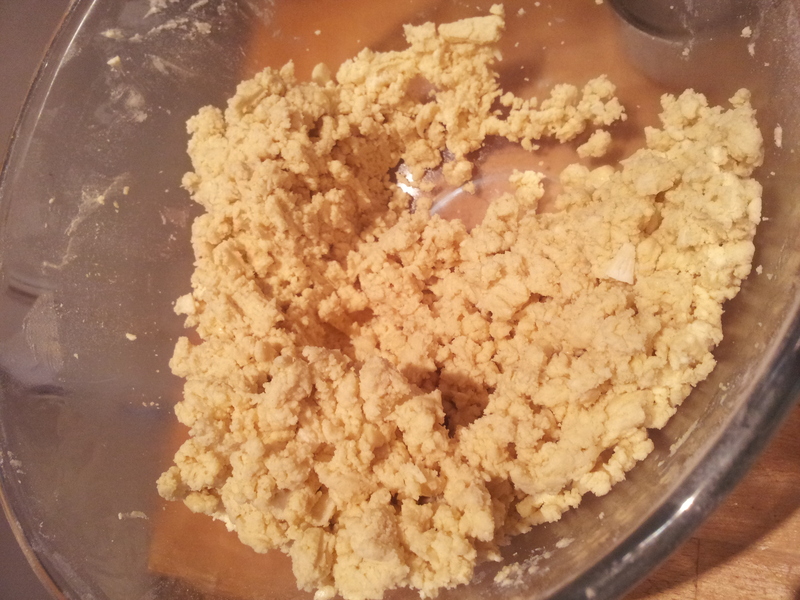 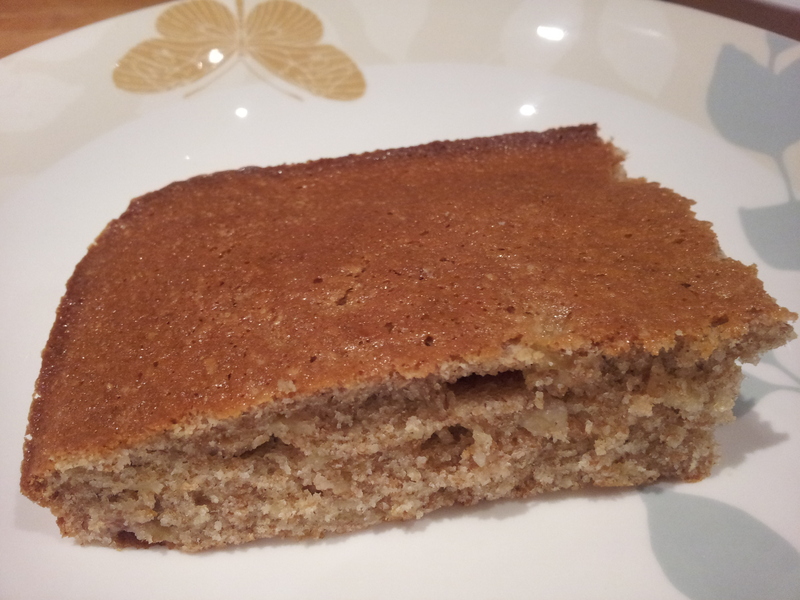 I ran out of brown sugar so improvised with normal caster sugar. 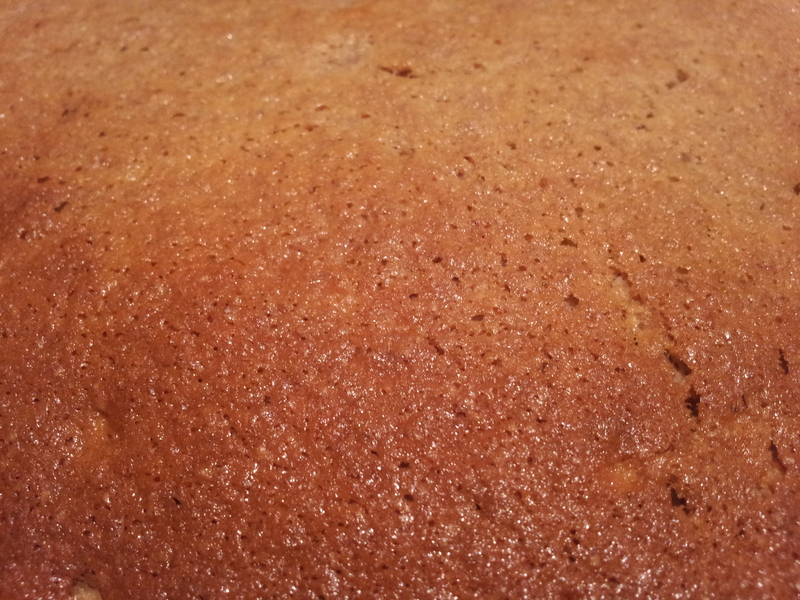 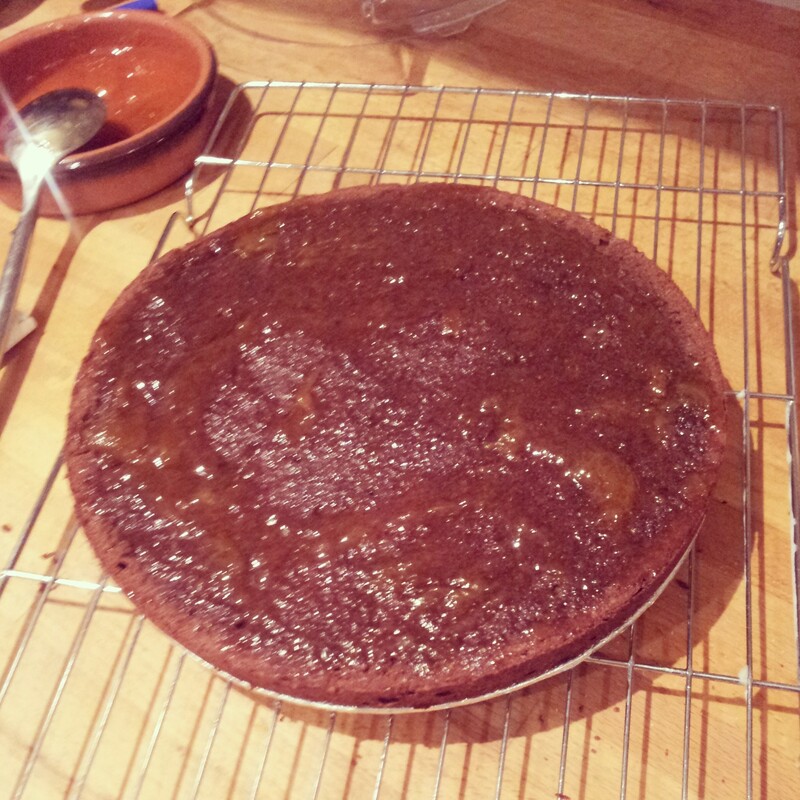 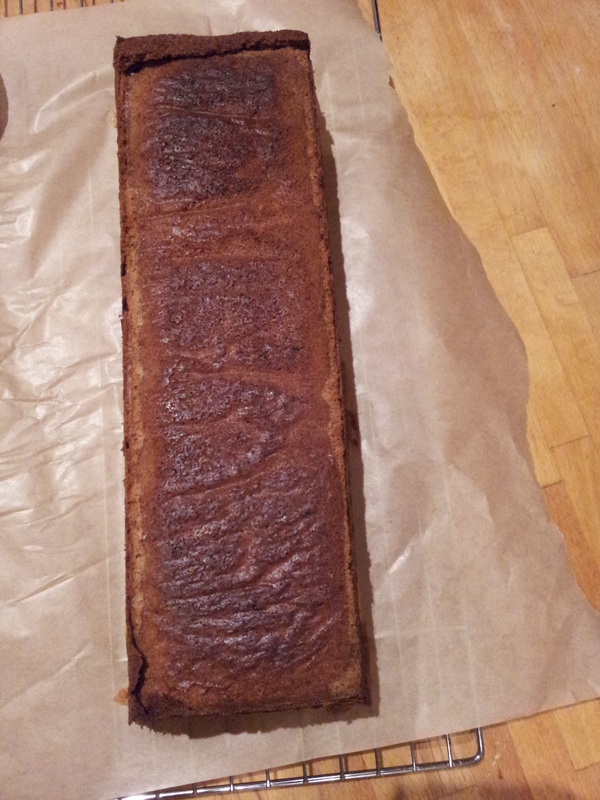 Perhaps brown sugar would produce more of a caramelised effect? 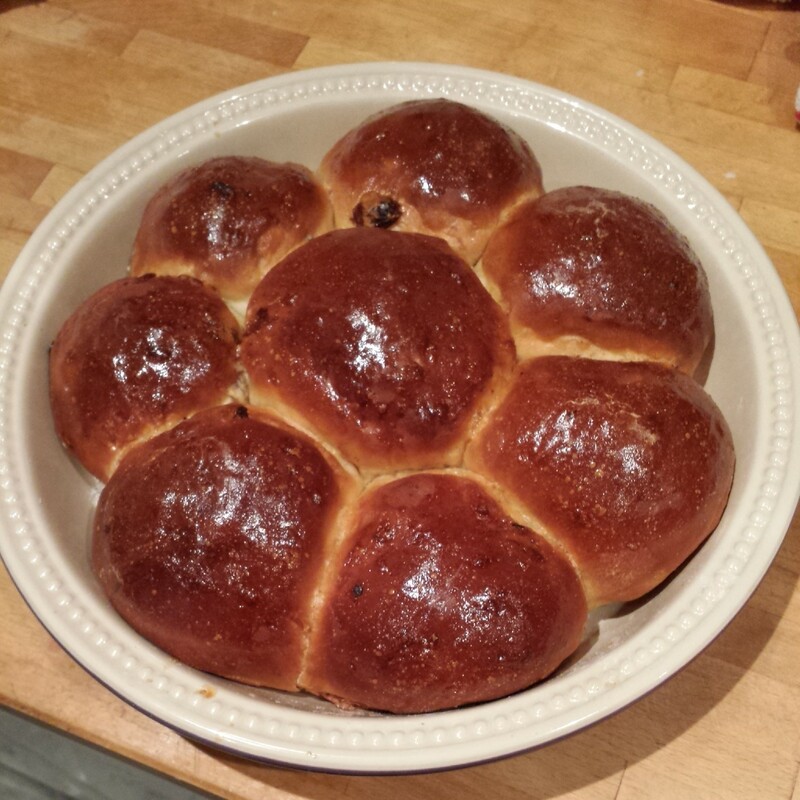 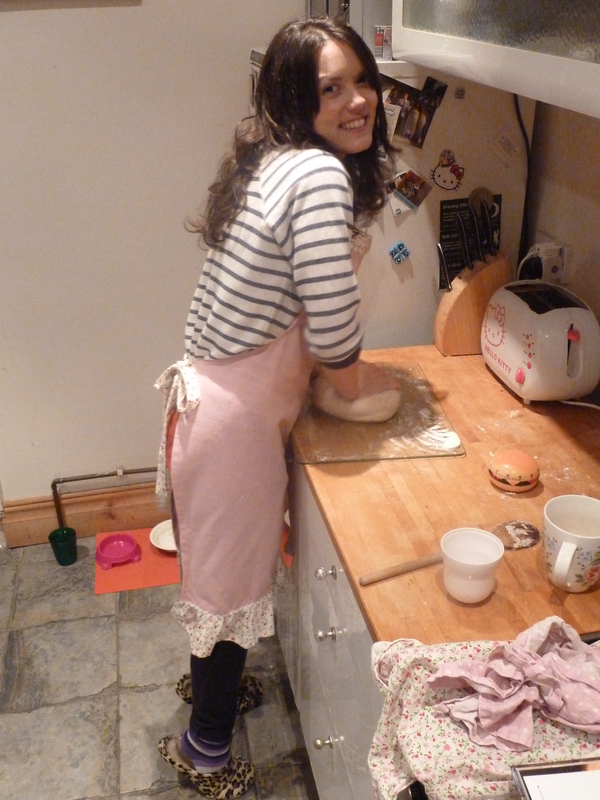 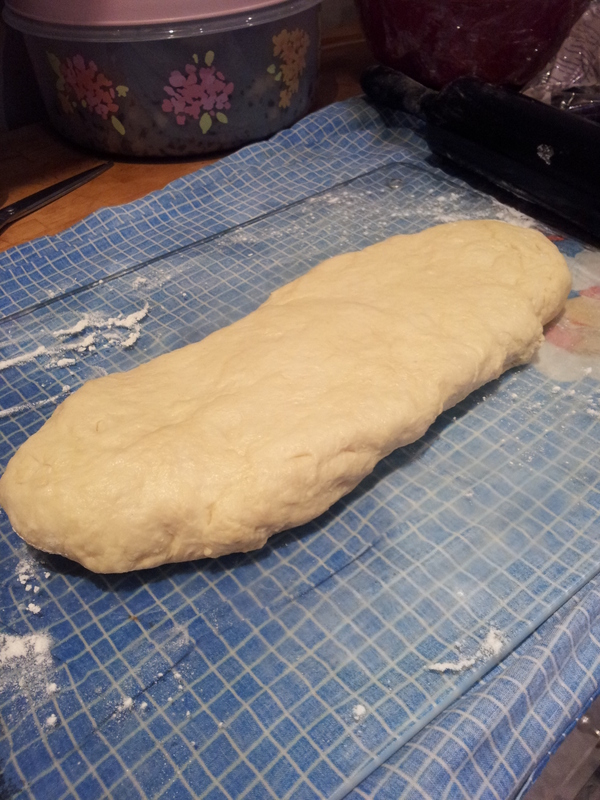 After watching the Great British Bake Off, I realised my rolling skills may bye somewhat lacking. 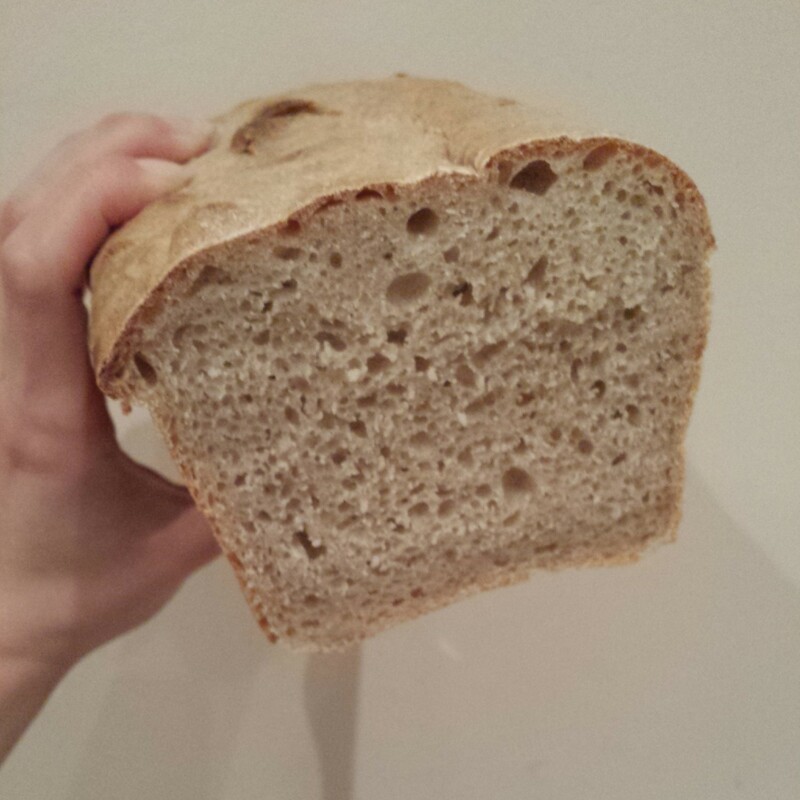 I have a tendency to misunderstand which side is the long side of the dough so I took photos to make sure I can bake this again in the future. 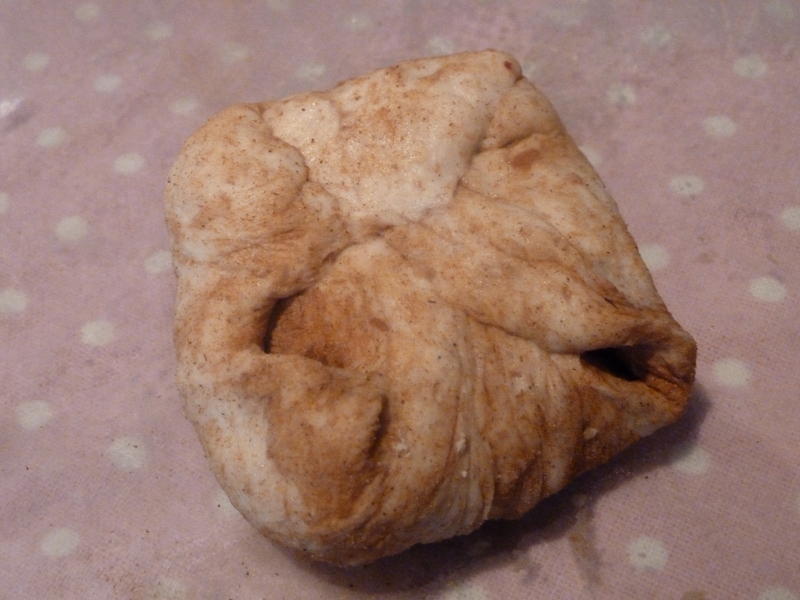 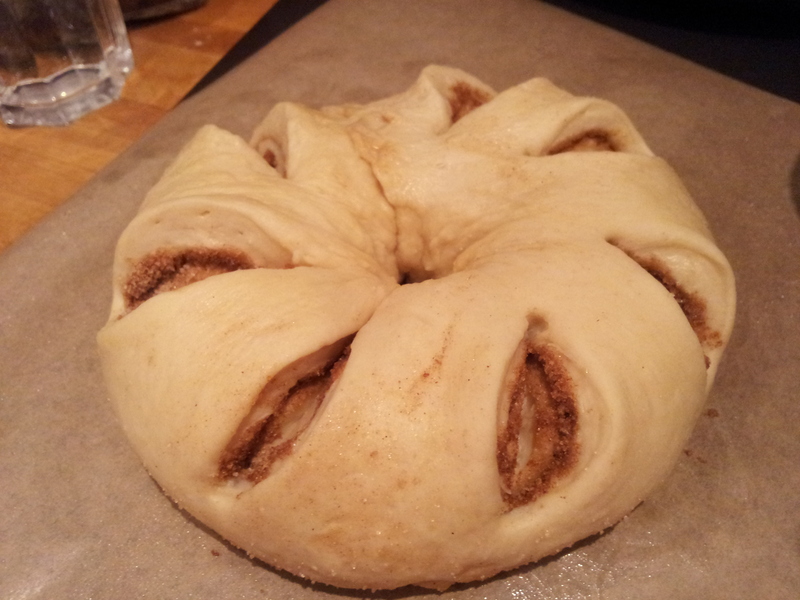 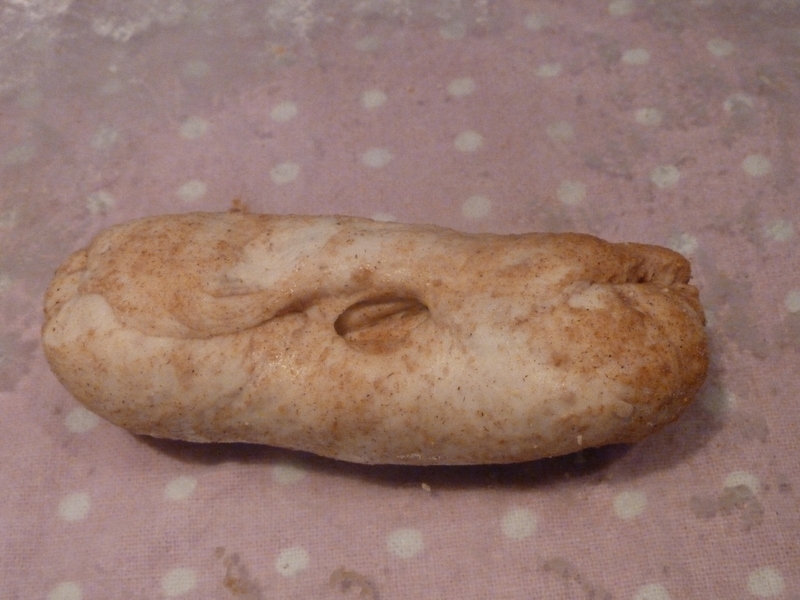 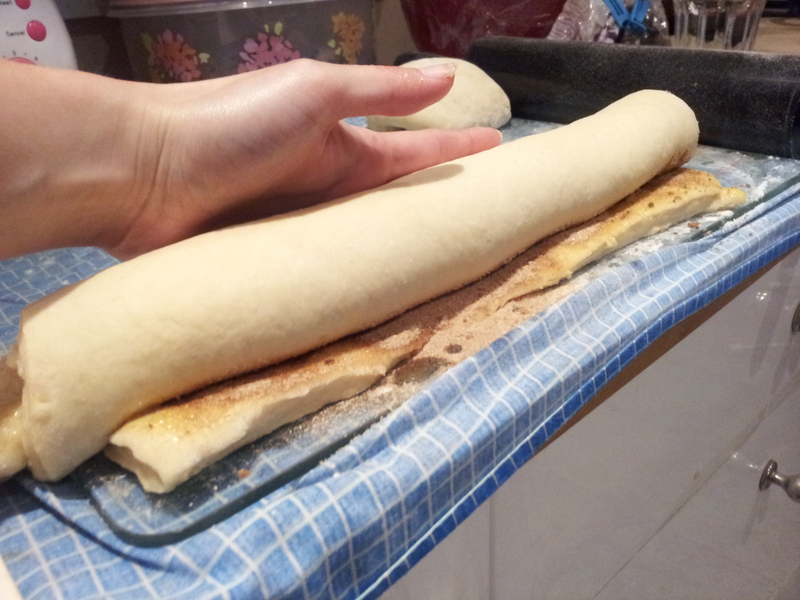 Roll the dough towards you from the longest edge to the longest edge creating a ‘swiss roll’ of cinnamon dough. 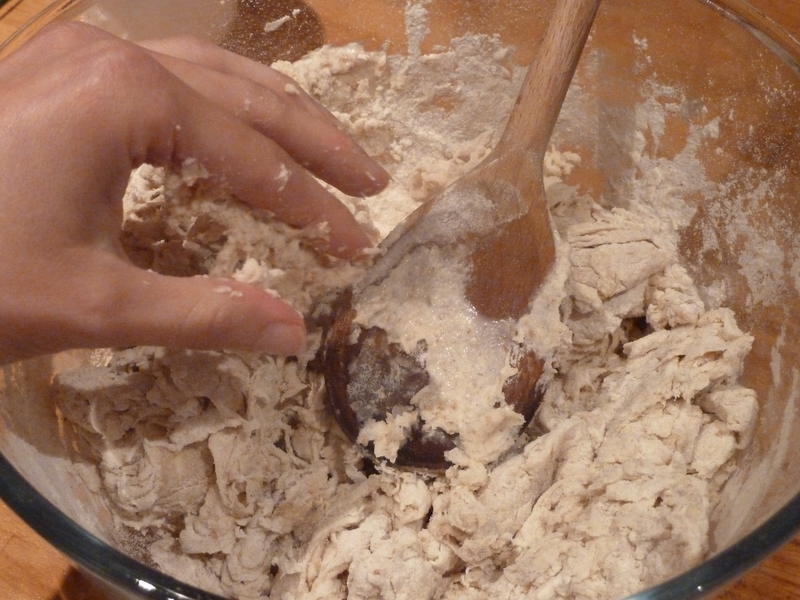 Press your fingers along the join in the dough to encourage the dough to combine and stick together. 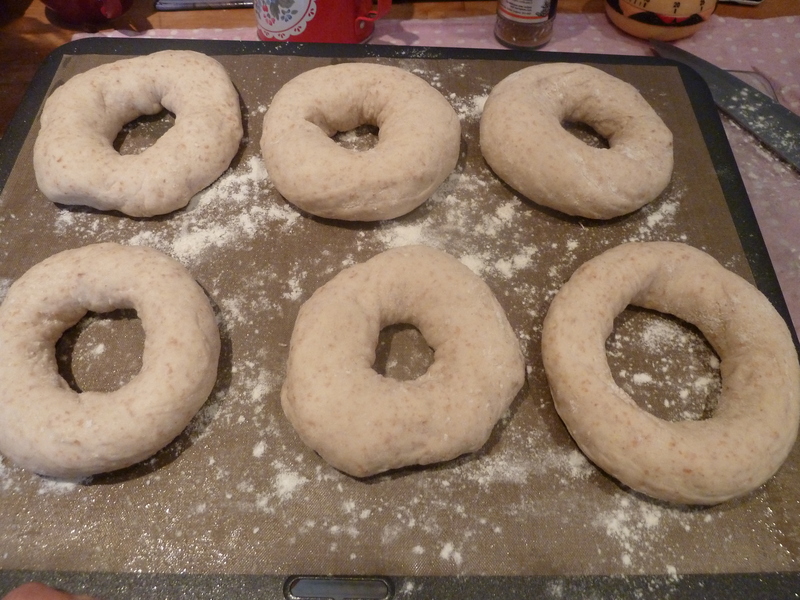 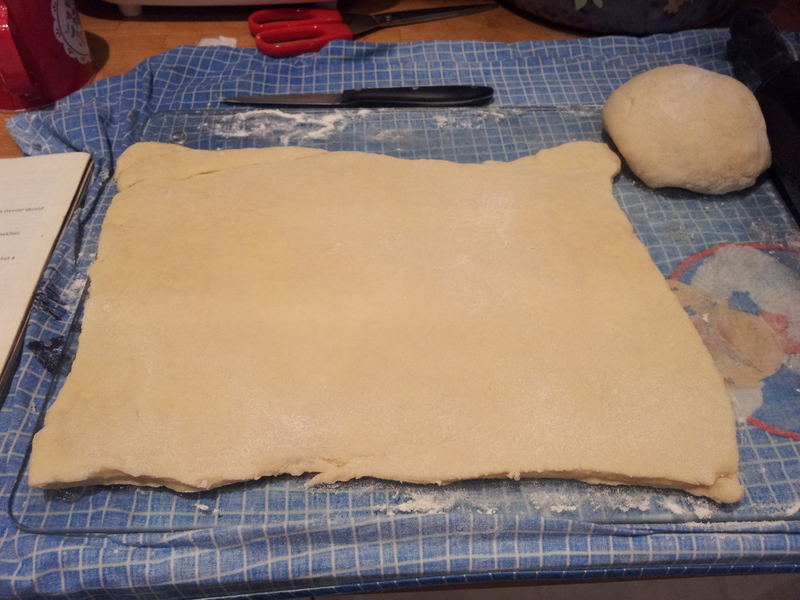 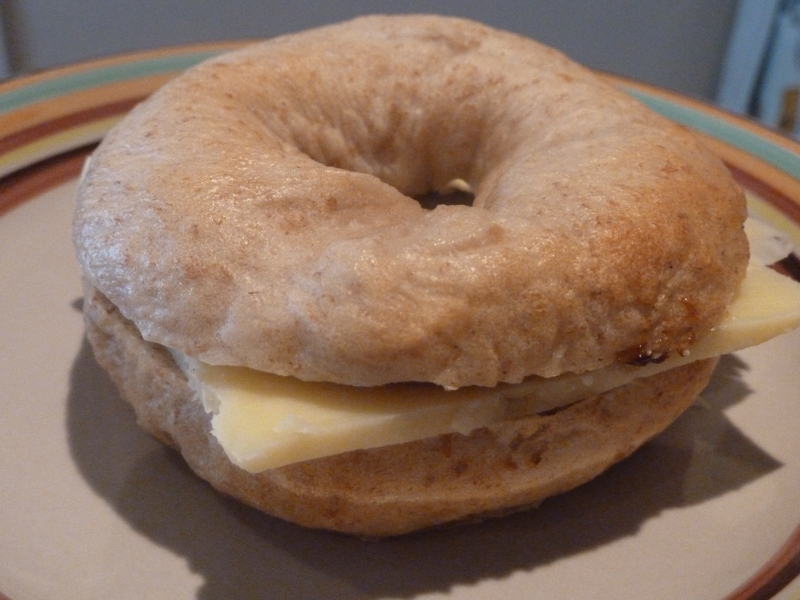 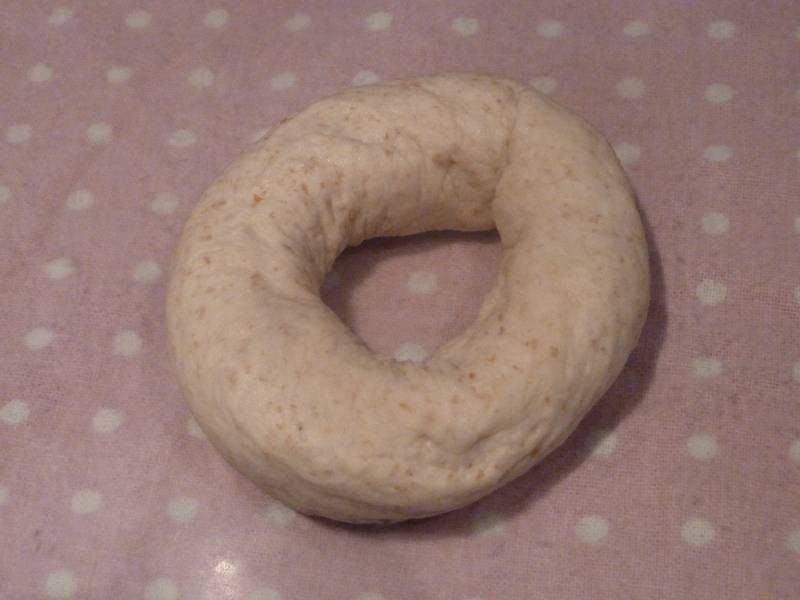 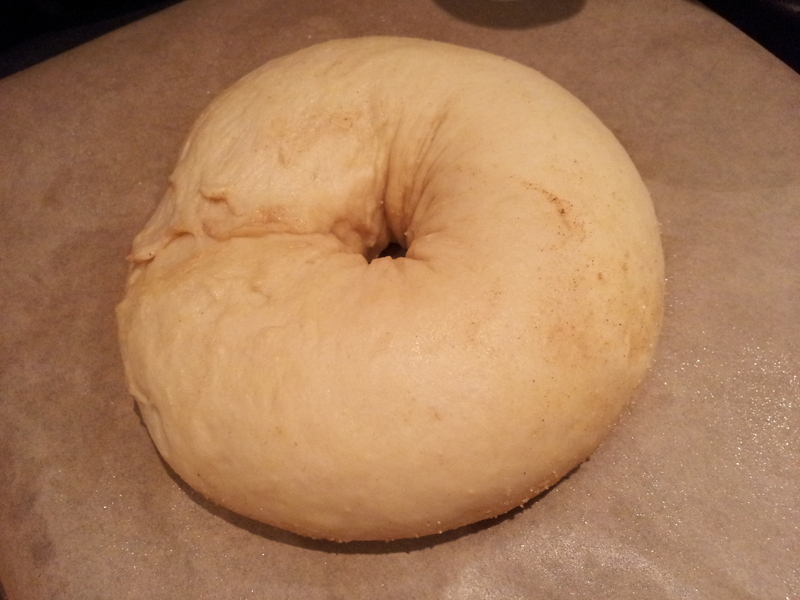 Turn the roll over so the join is firmly disguised under the roll of dough. 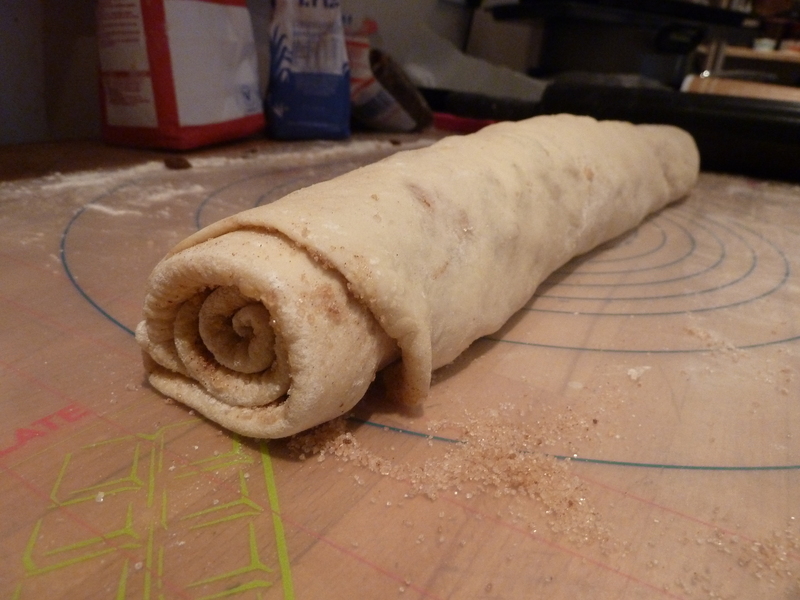 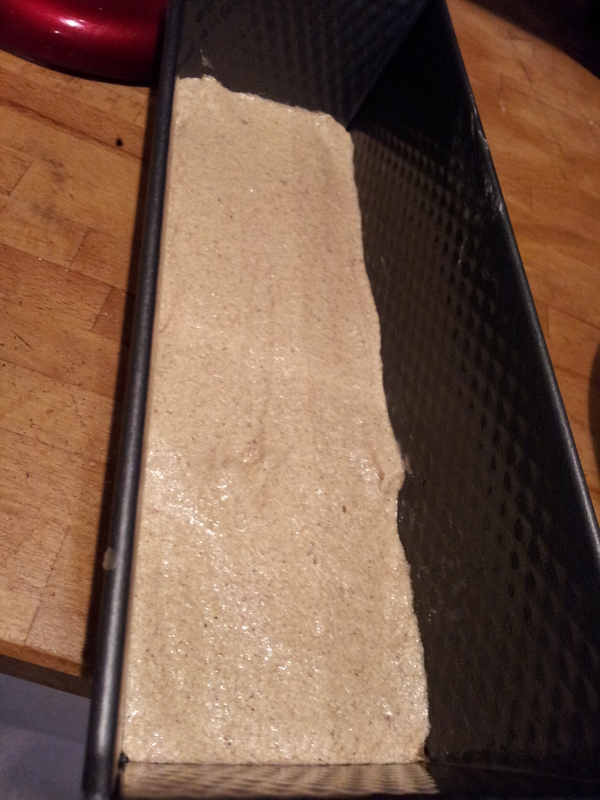 Gravity should help to force the roll to stick together and stop the sugary goodness running out whilst it bakes. 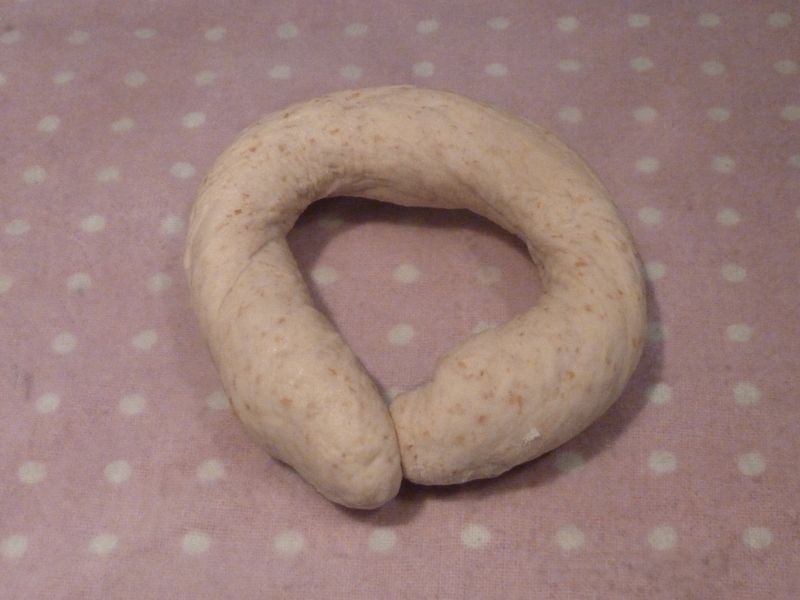 This also means you have the smooth (and prettier) side of the dough roll to play with. 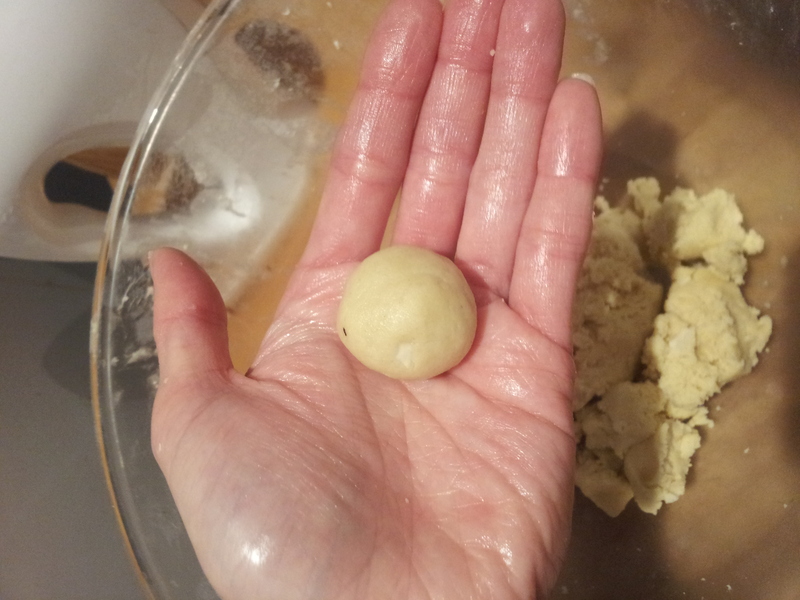 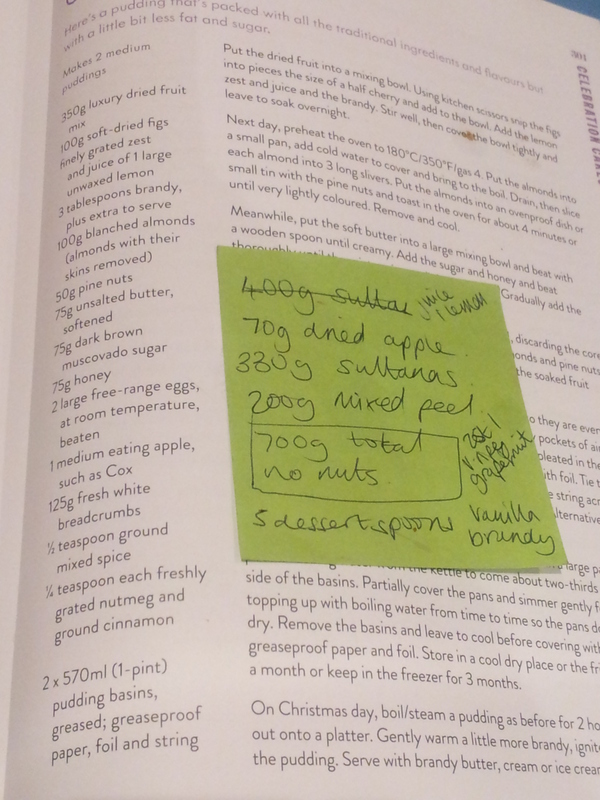 The most difficult bit of this bake is definitely joining the two short edges of dough together as they are very sugary and don’t want to stick. 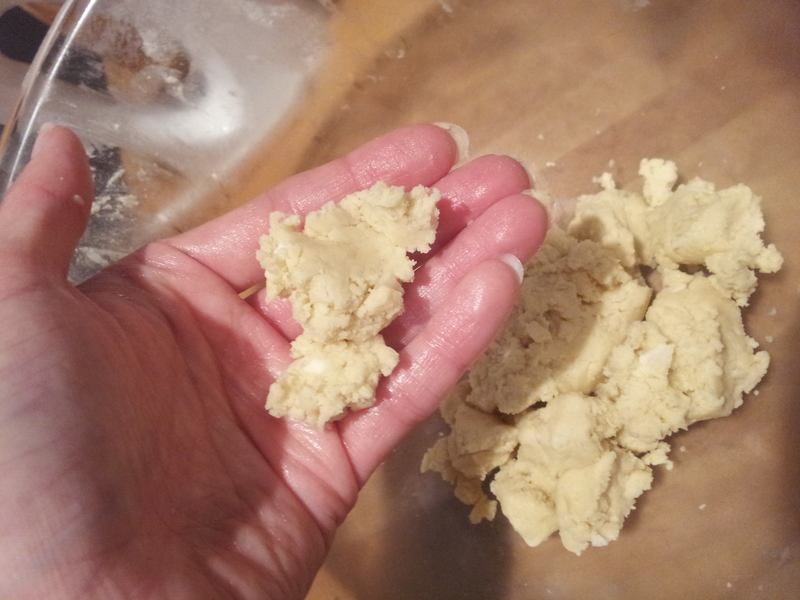 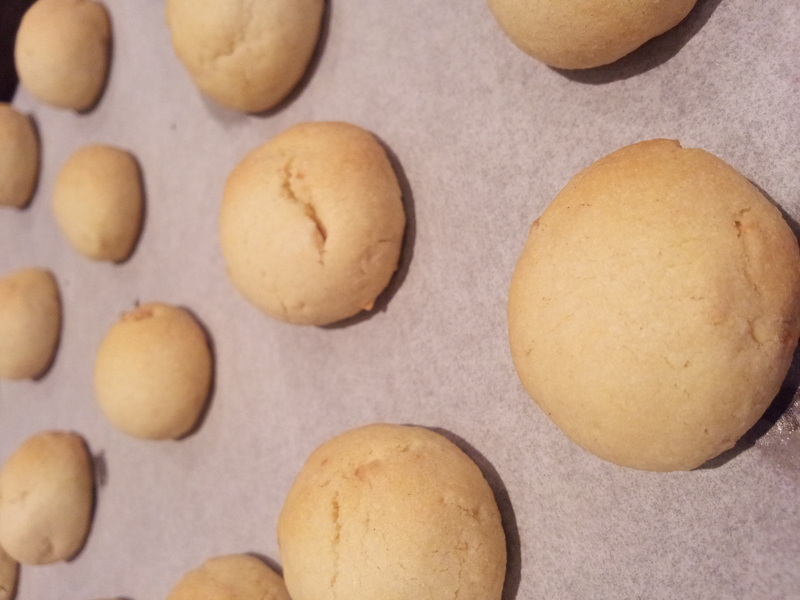 I coaxed them together with butter and nipped the edges together with my fingers until they begrudgingly worked with me. 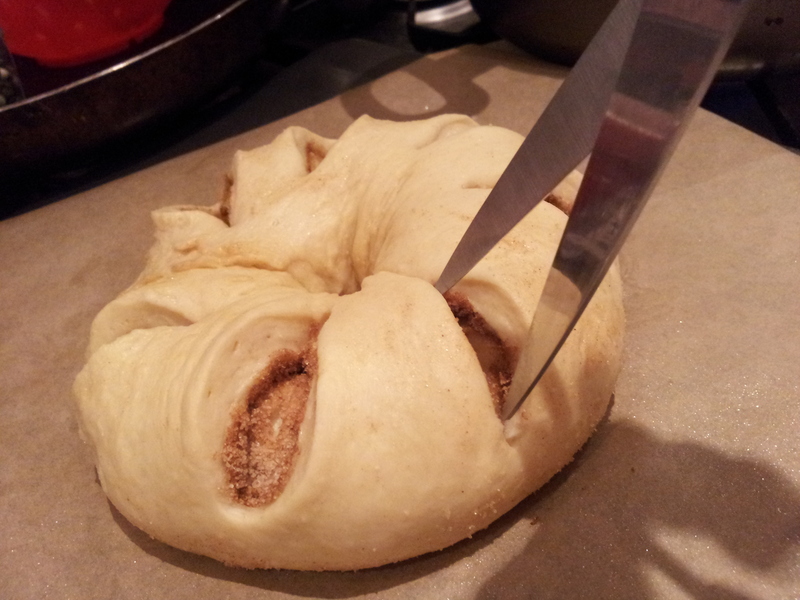 Brandishing my sharpest kitchen scissors I snipped delicately and diagonally into the ring to partially expose the cinnamon swirls. 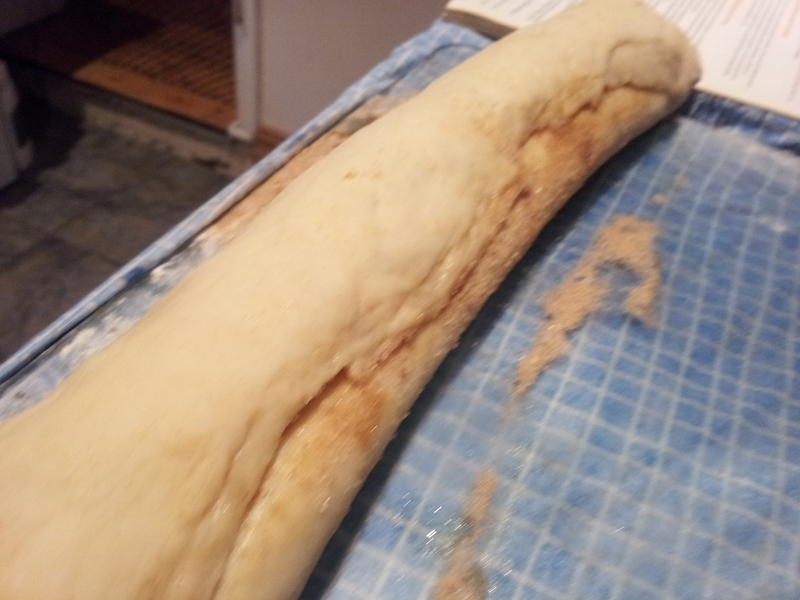 I must admit I was nervous that this slicing would compromise the integrity of my dough join so was possibly overly hesitant at this stage. 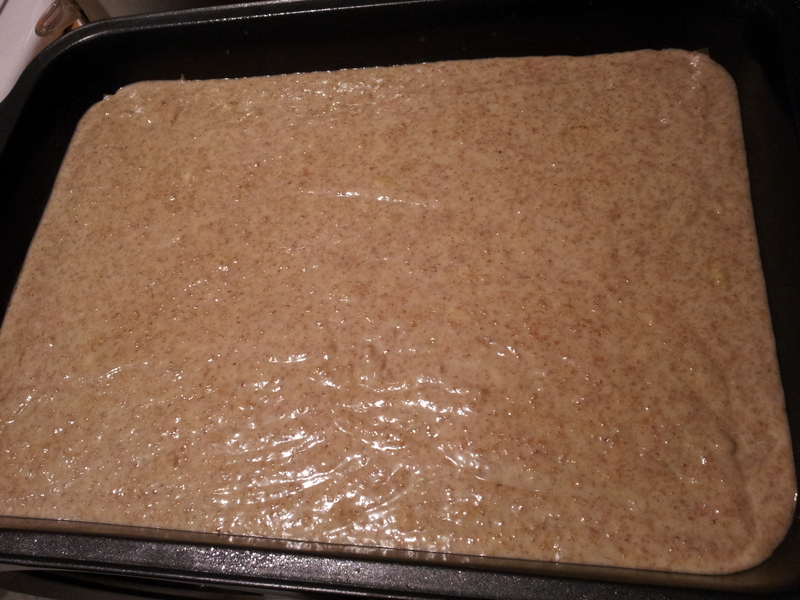 All it needed was to be placed into a moderately hot oven for 30 minutes or so, until it turned golden brown. 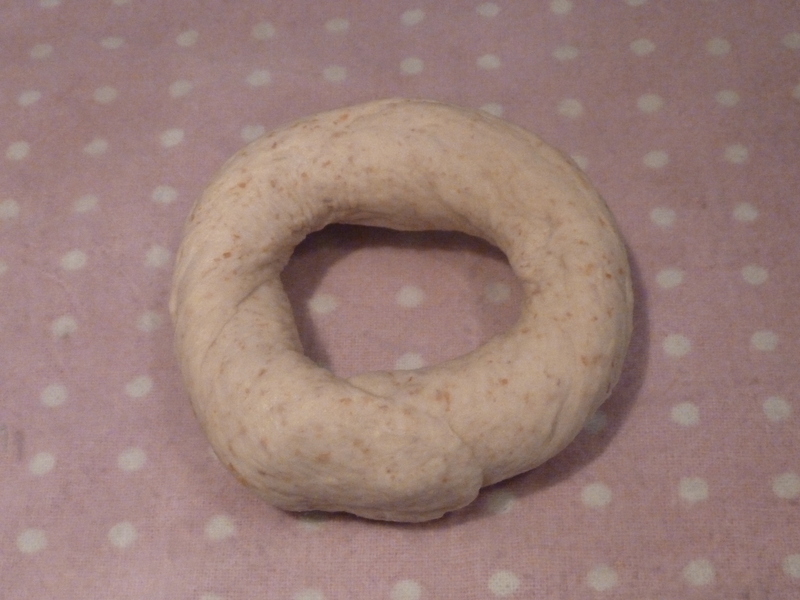 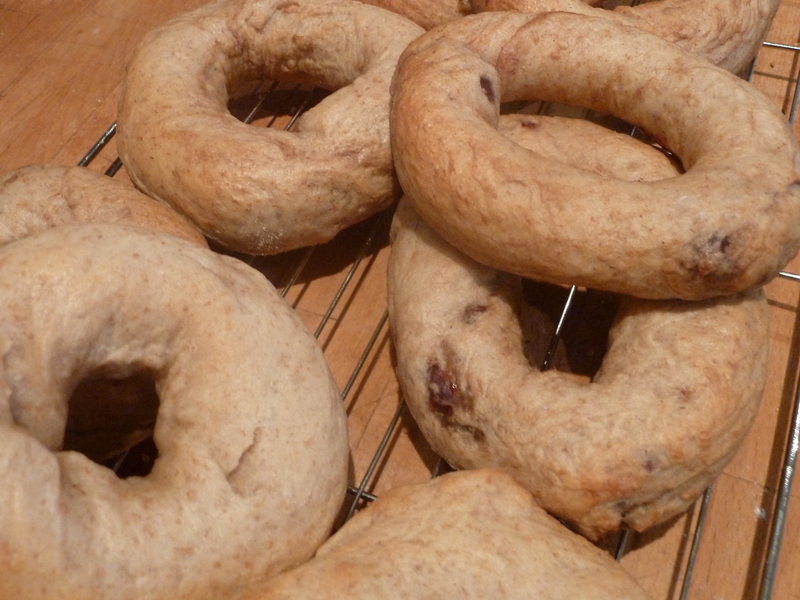 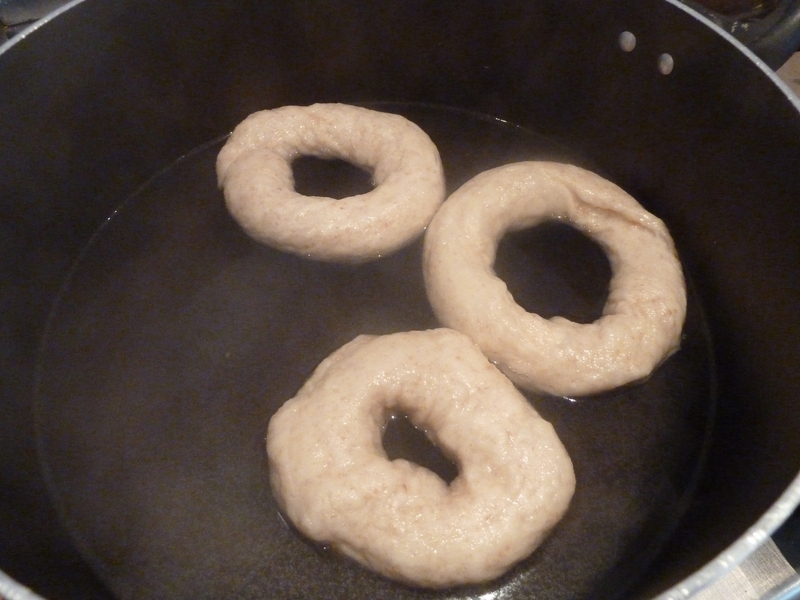 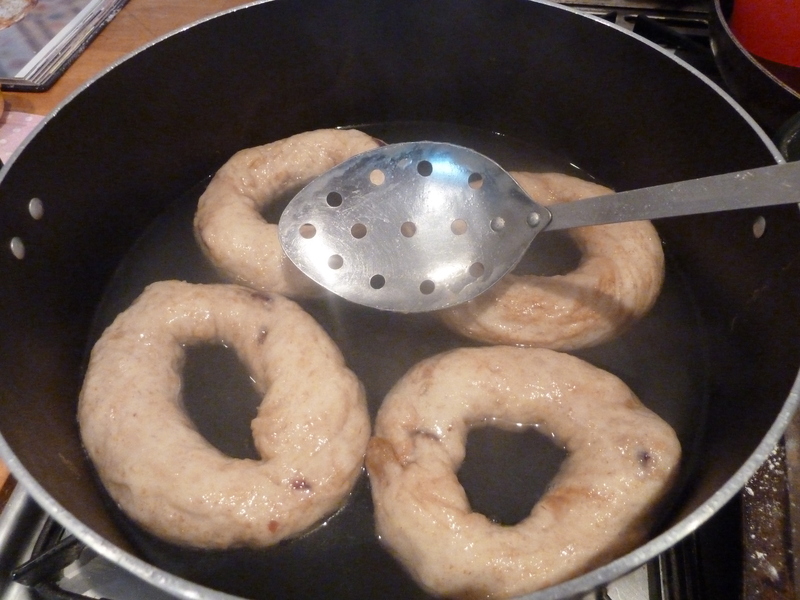 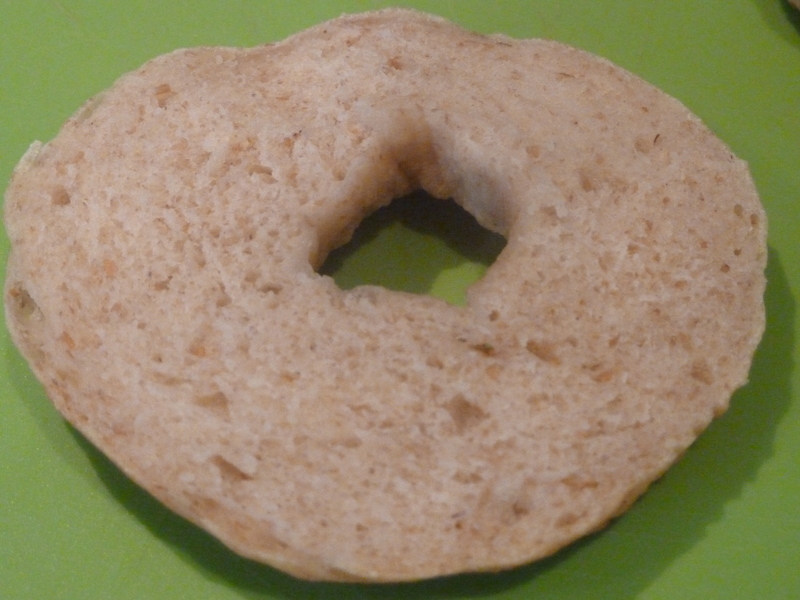 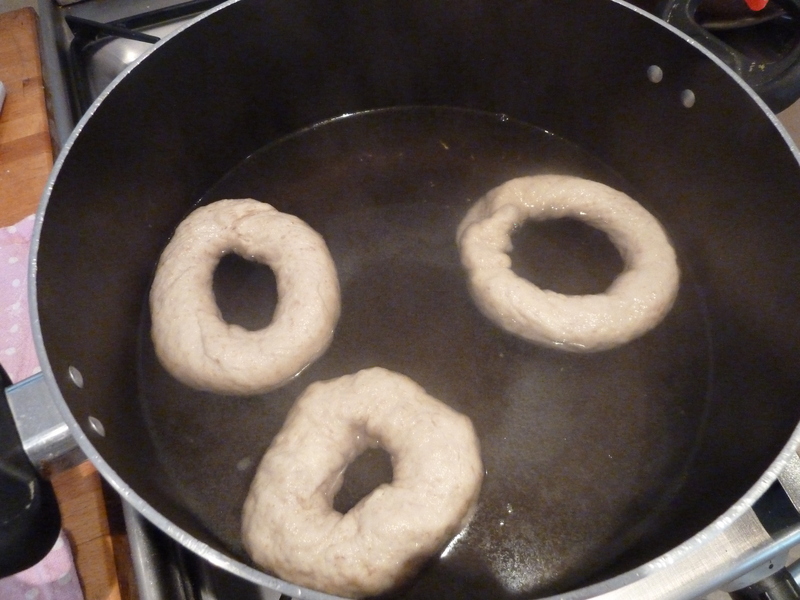 As the Swedish Tea Ring is essentially a bread dough I also made sure it was baked through by knocking the bottom of the ring to listen for the resounding hollow tap. 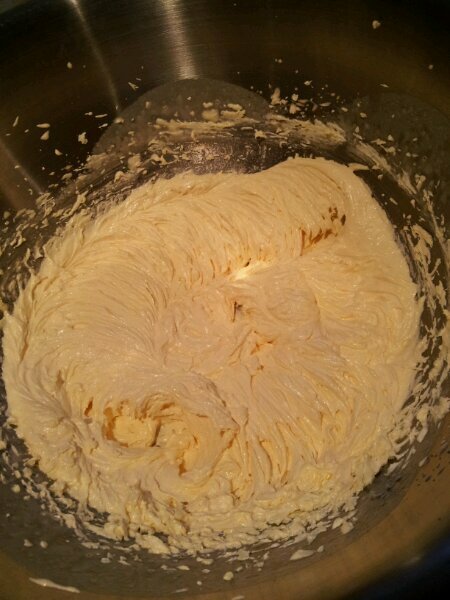 Once the ring cooled fully I whipped up a batch of lemon glace icing. 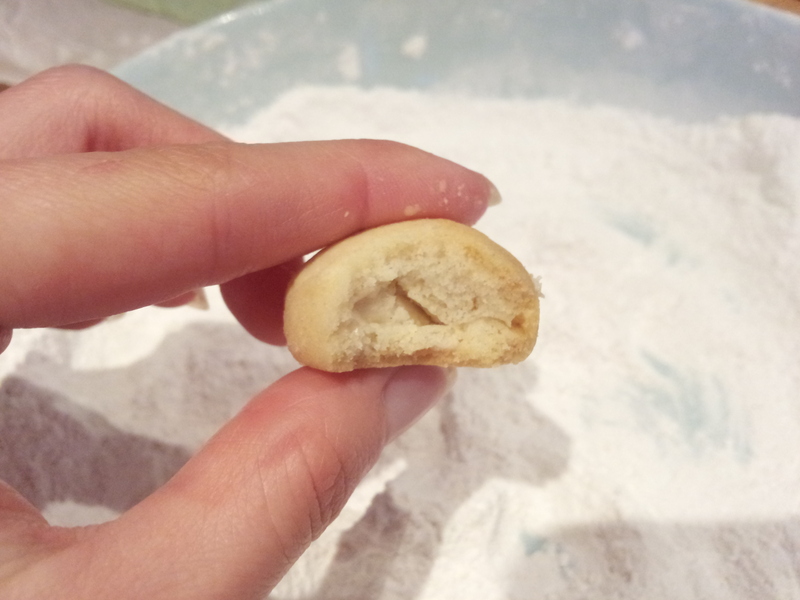 It hides an enormous amount of irregularities and flaws, especially if you layer up your icing! 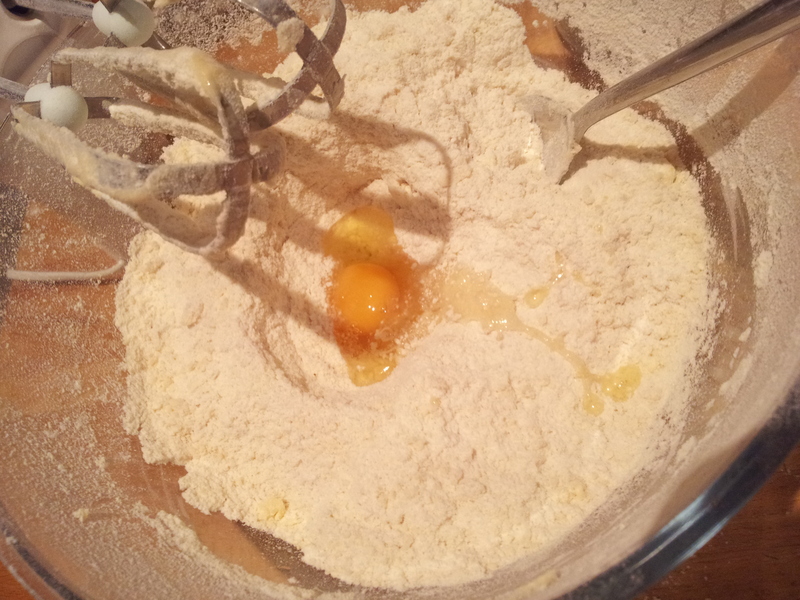 Again I can;t say I followed Marguerite’s recipe exactly. 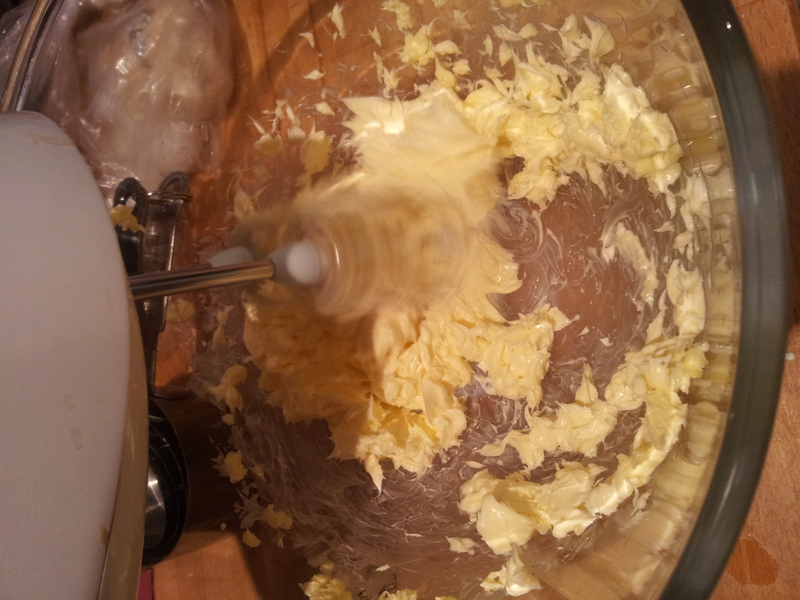 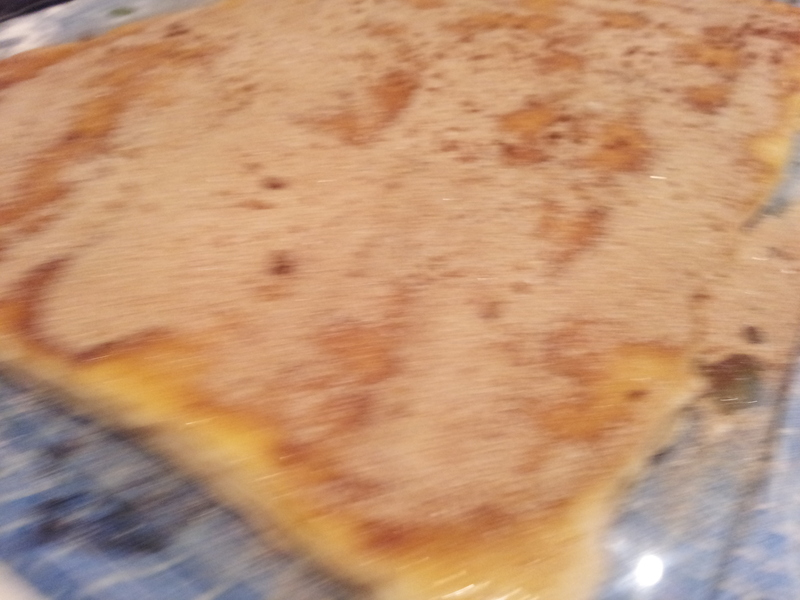 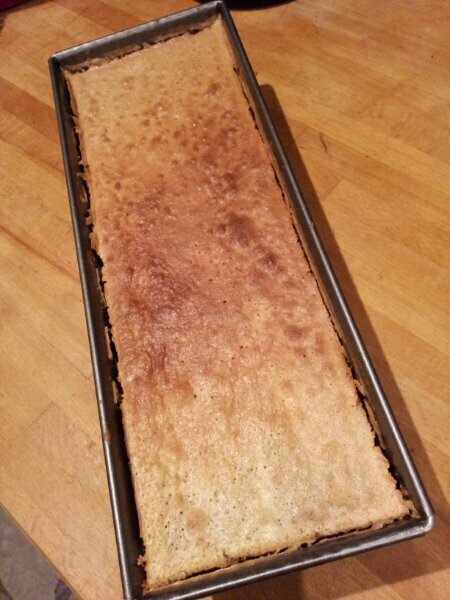 I like a tart lemon flavour so I sloshed in a bit of lemon extract to give an extra punch to the icing. 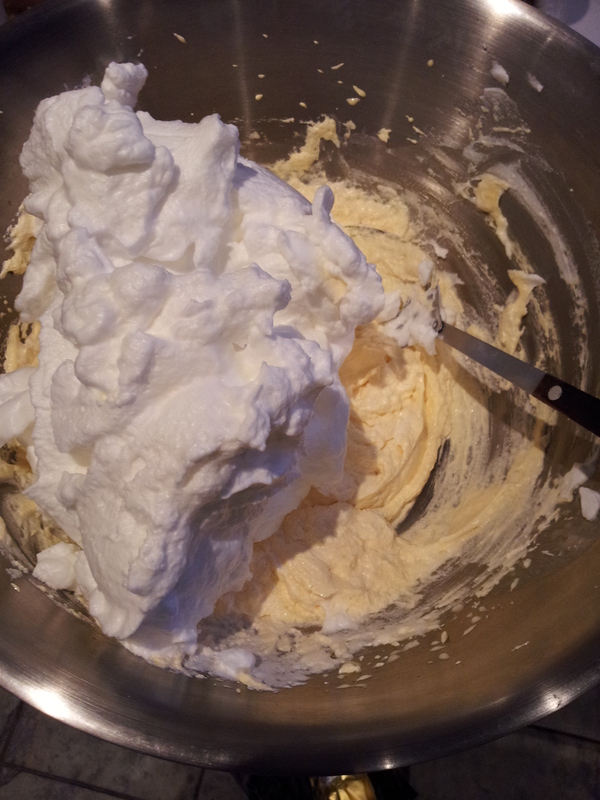 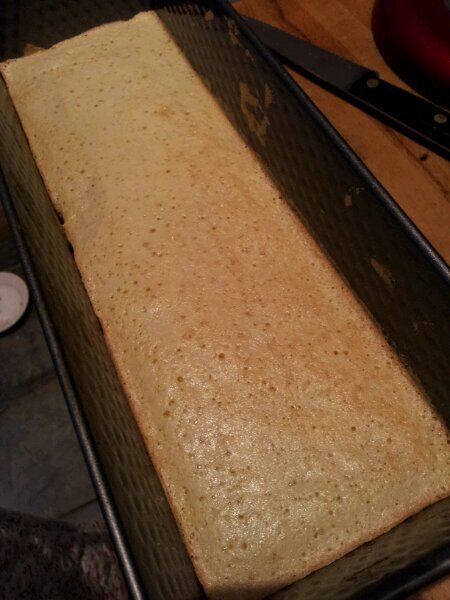 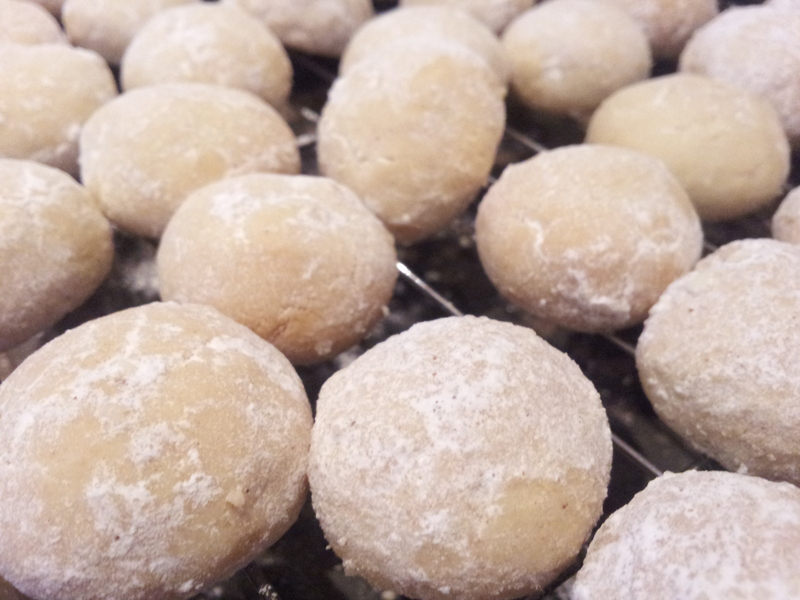 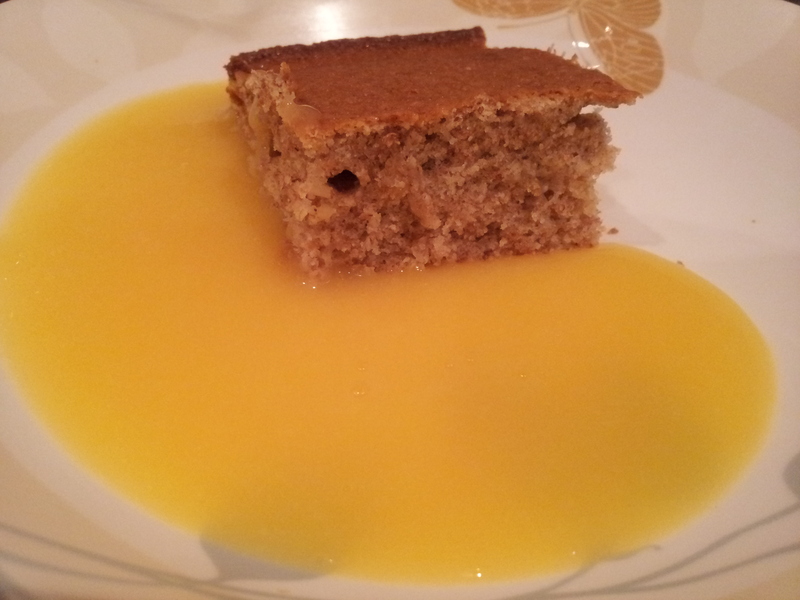 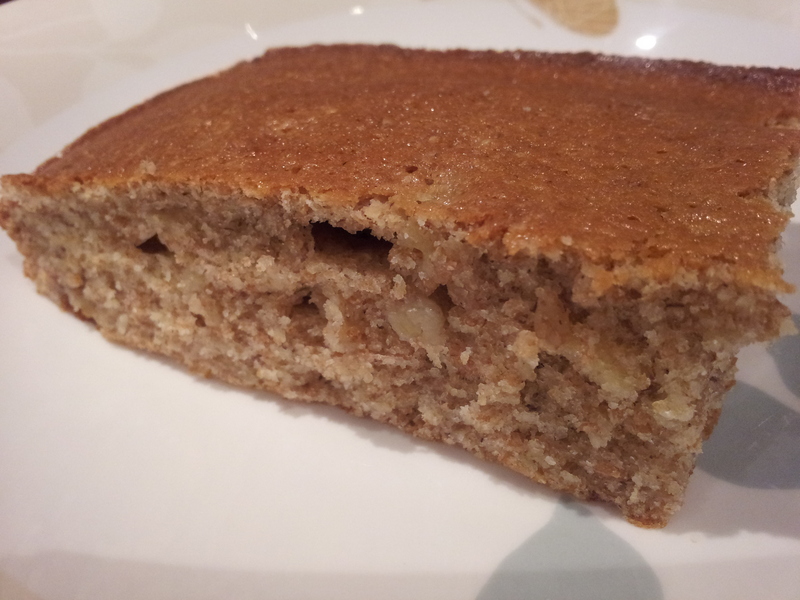 I also free poured the icing sugar and mixed it with enough lemon juice to create a runny yet thick icing. 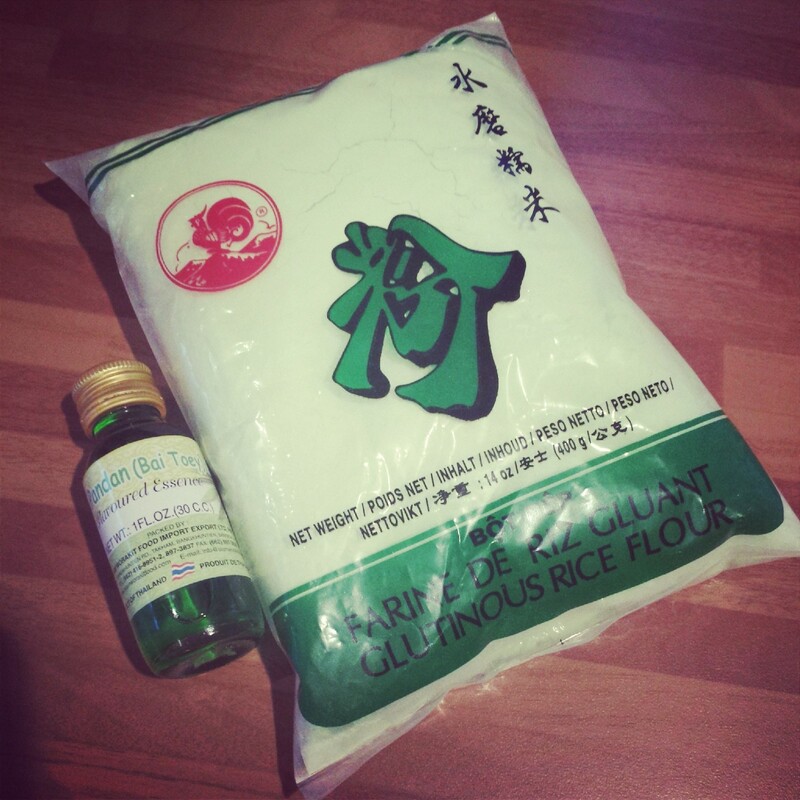 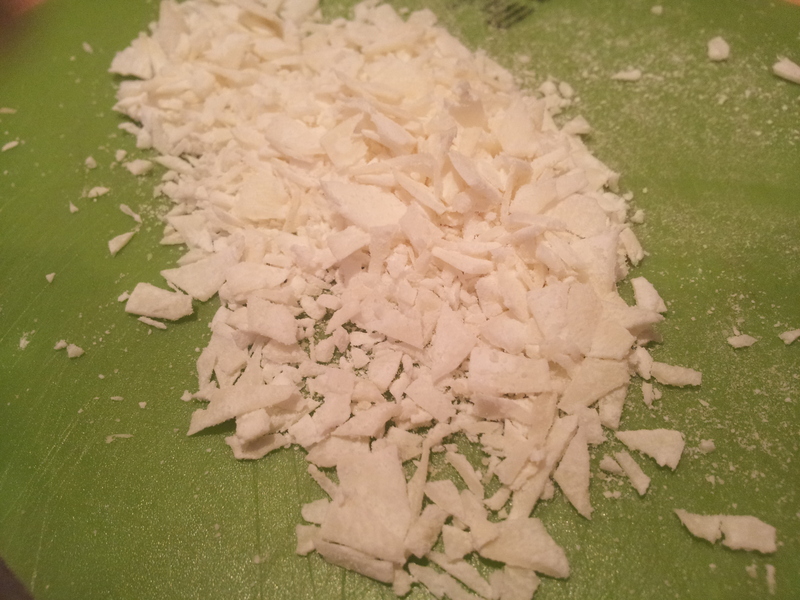 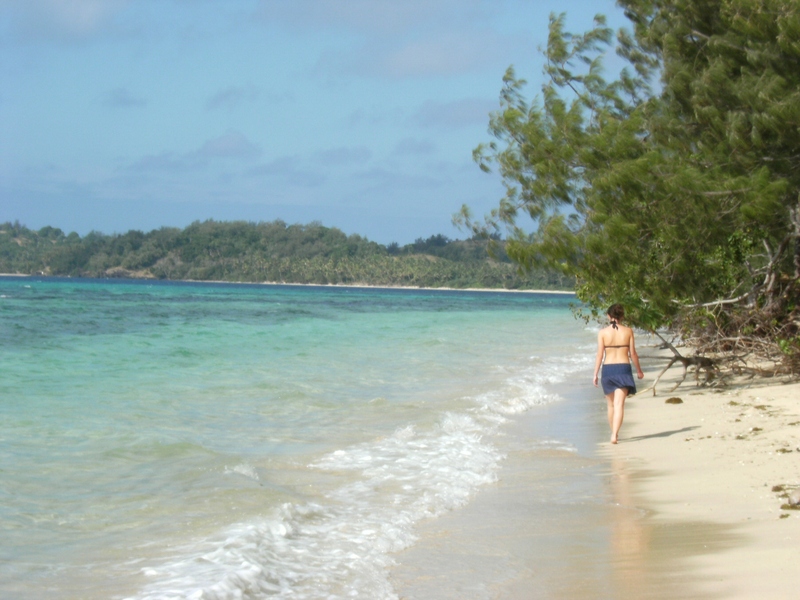 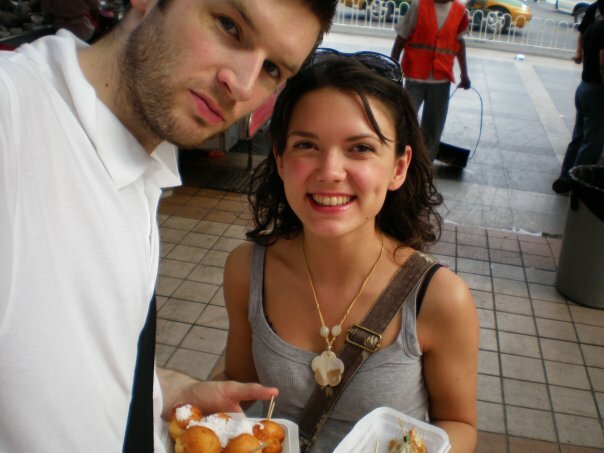 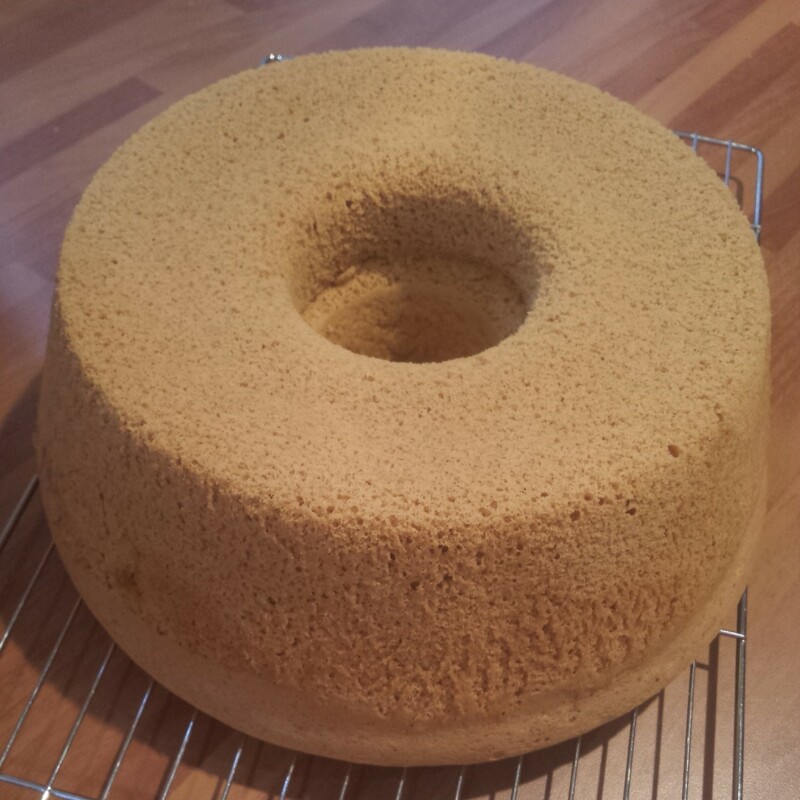 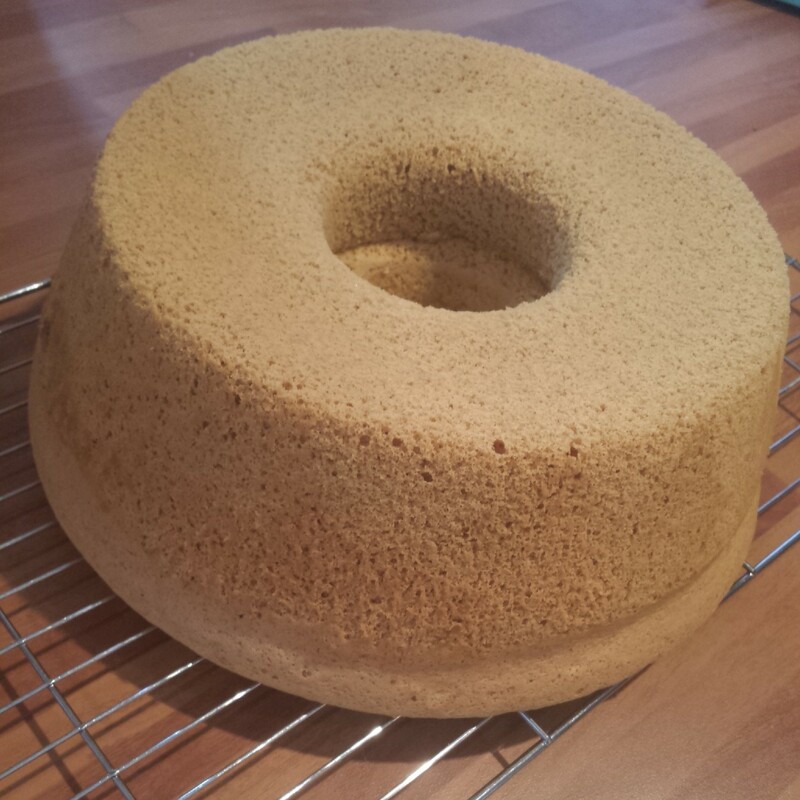 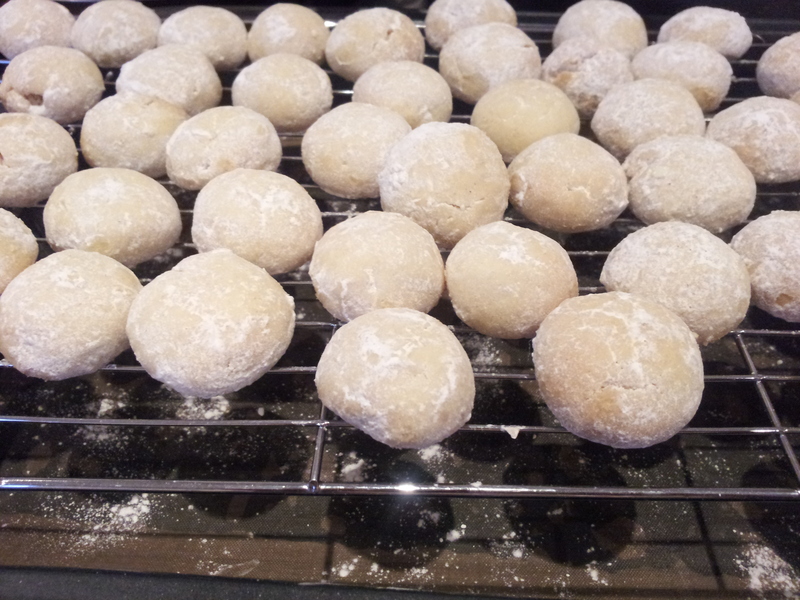 (This does take quite a bit of icing sugar!). 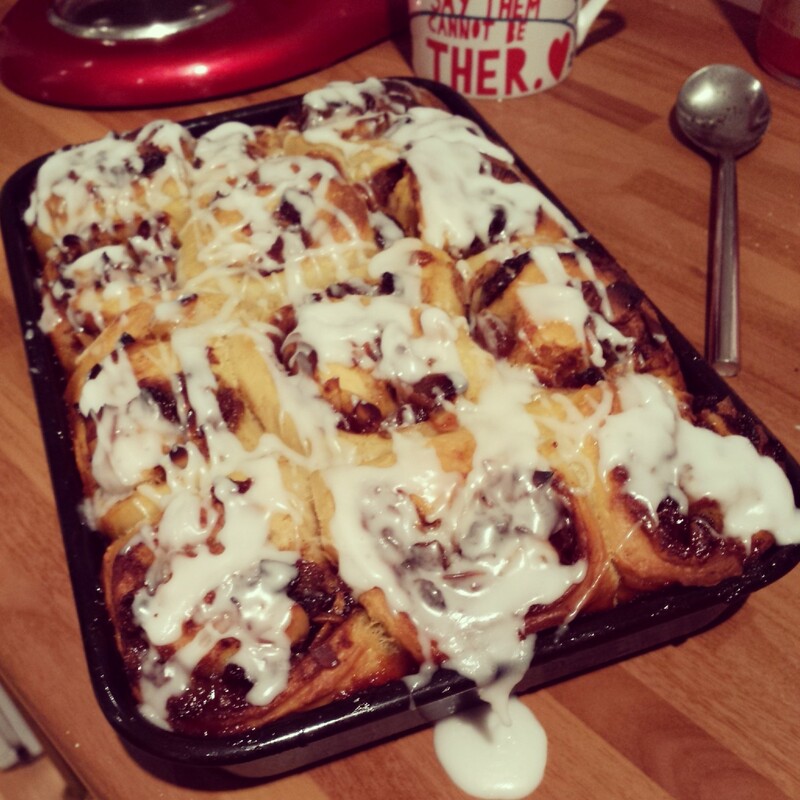 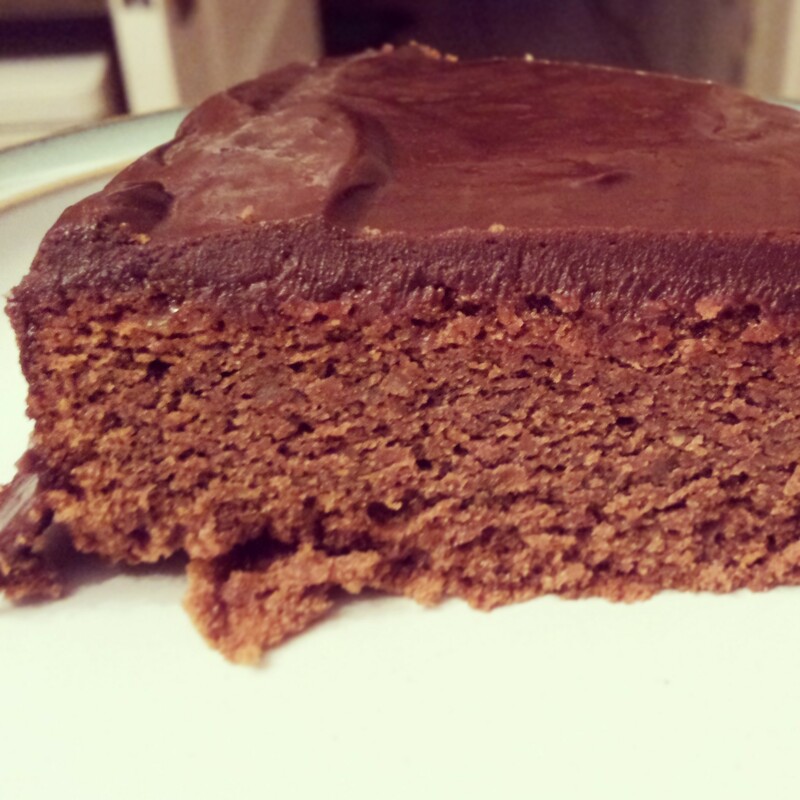 When the icing is just about right in consistency it should taste good (obviously!) 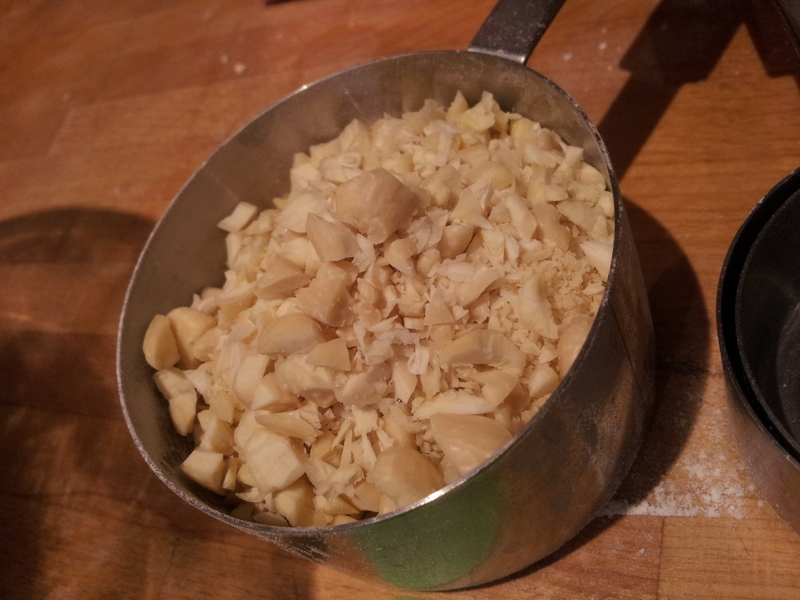 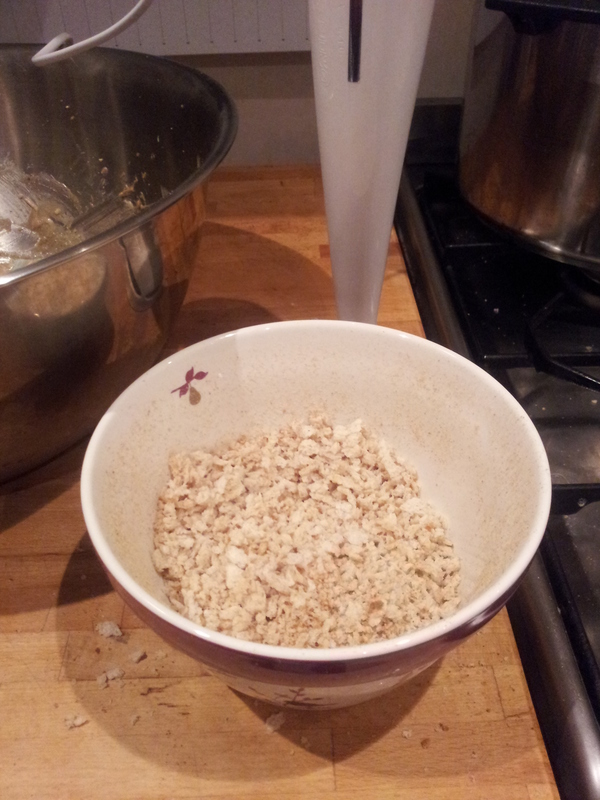 not be gritty, the sugar should totally melt into the liquid and it should part when stirred in the bowl. 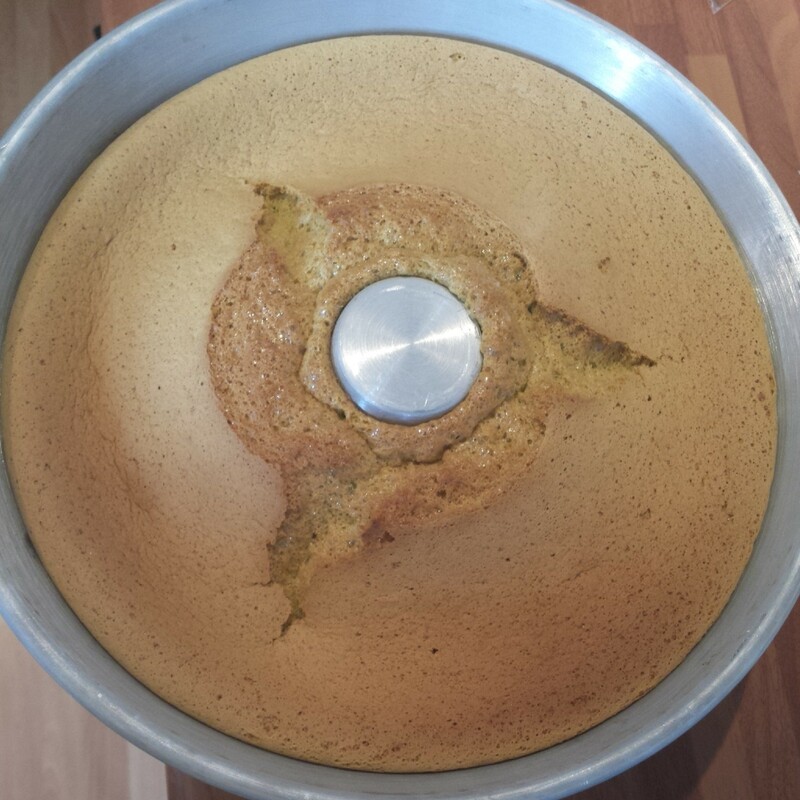 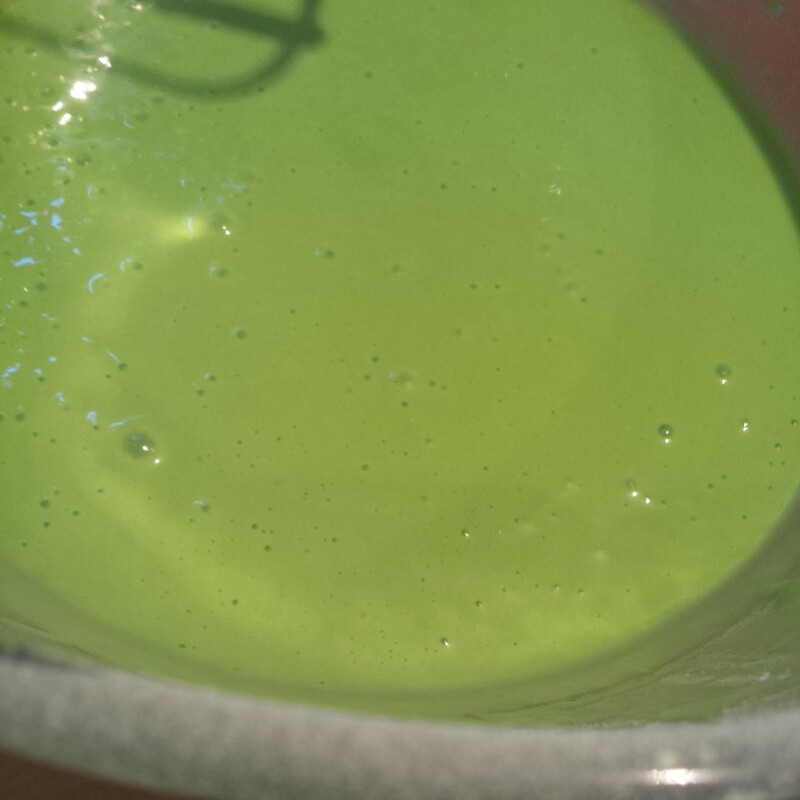 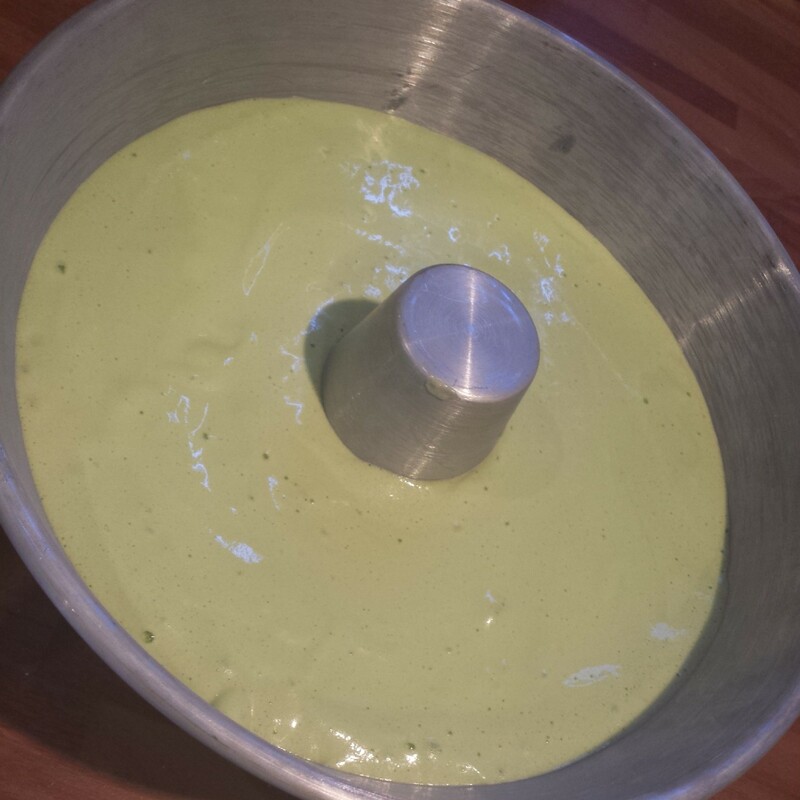 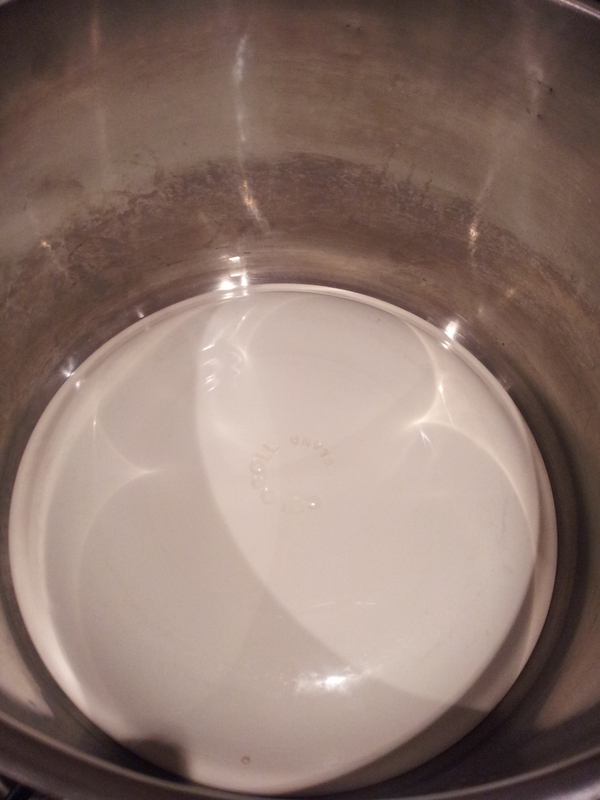 (see the picture above) This means it’s starting to hold it’s shape a bit whilst still being runny to cascade over your tea ring and coat the cake in thick white goo. 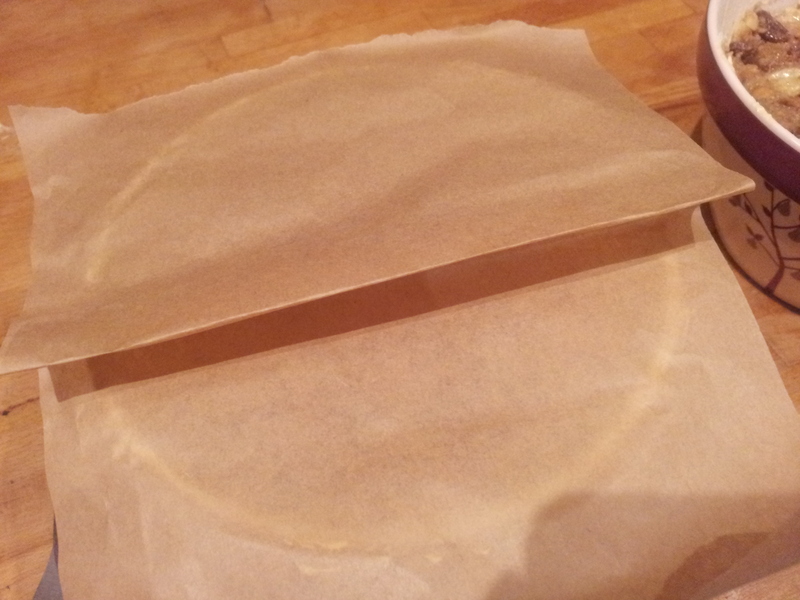 It’s best to pop your Swedish Tea Ring on some greaseproof paper (or a plate) before you pour the icing over it to catch the icing waterfall. 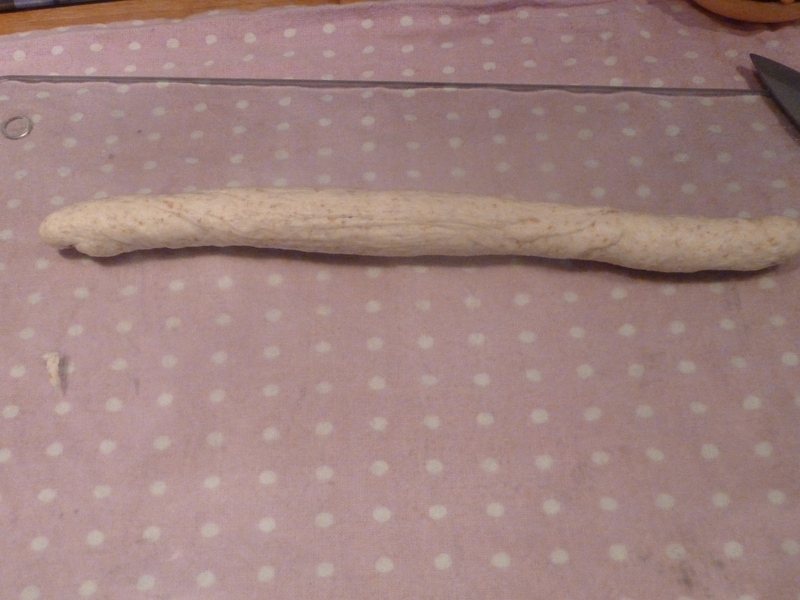 It needs some time to dry and set. 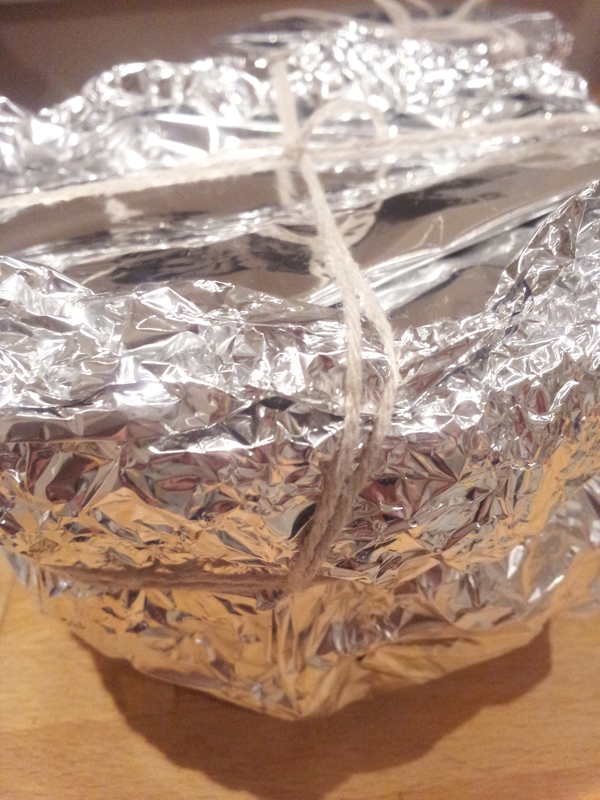 I iced mine just before bed so it had time to set over night before being deposited into it’s travel box. 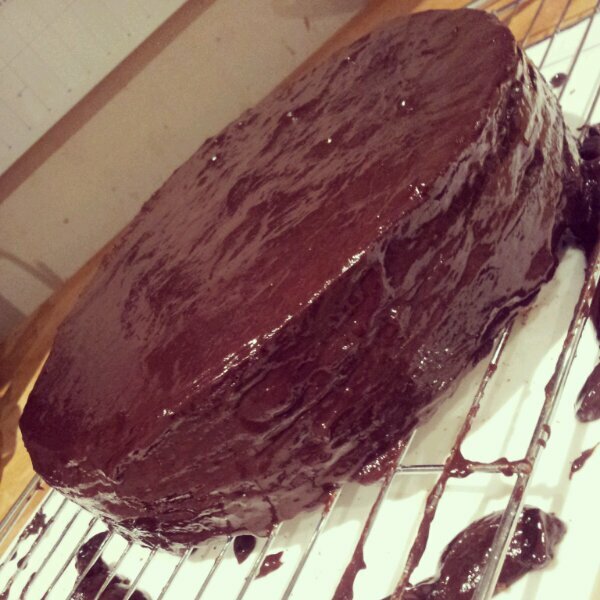 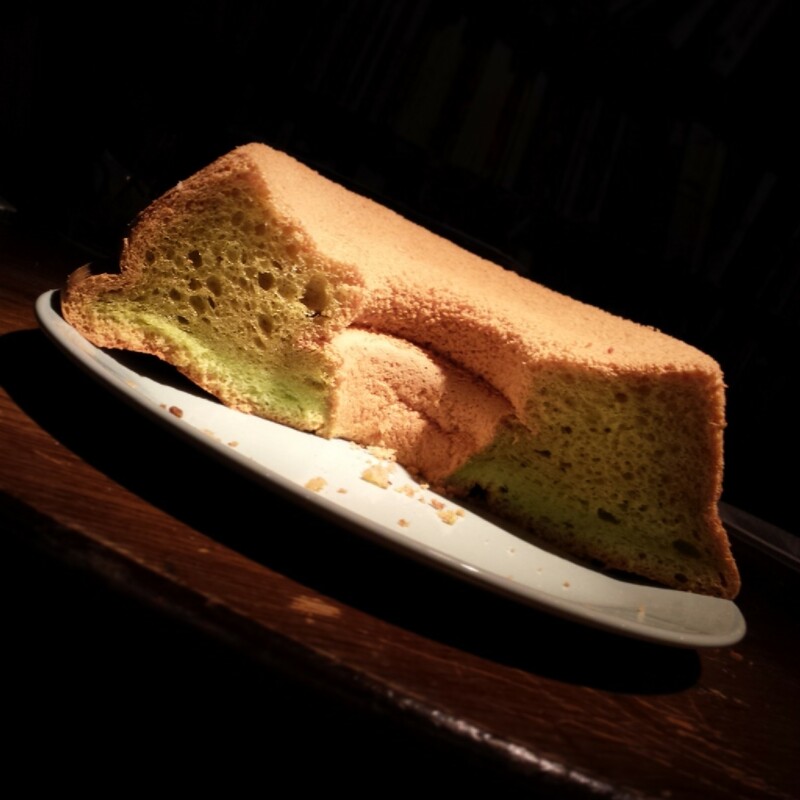 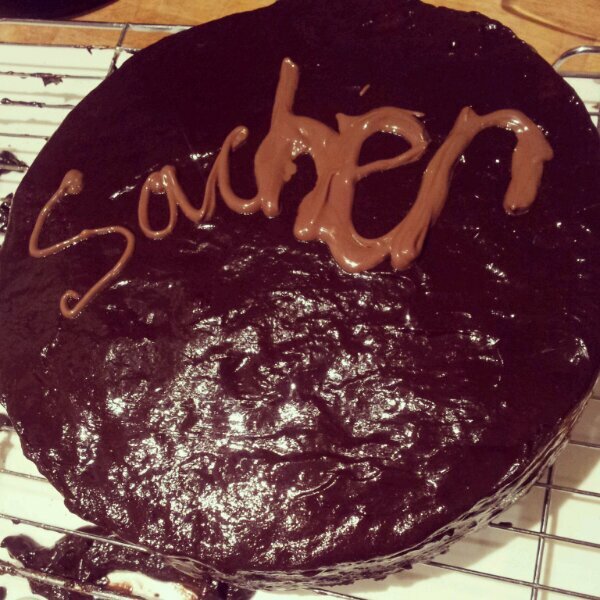 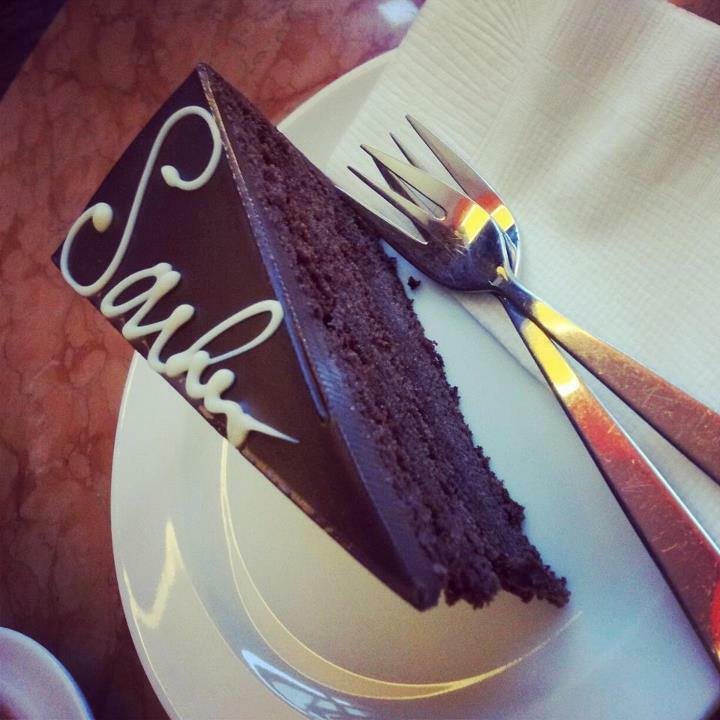 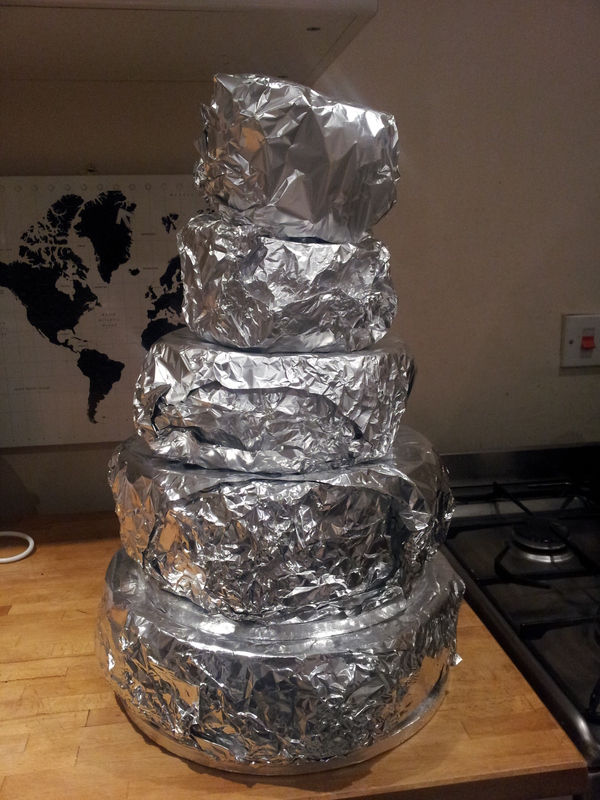 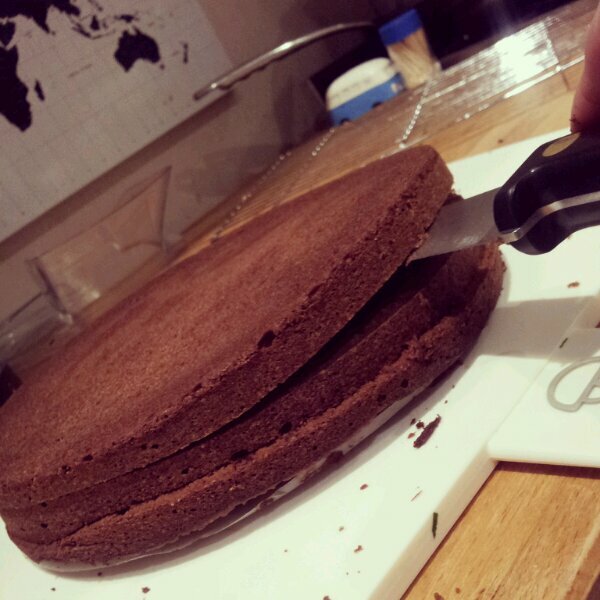 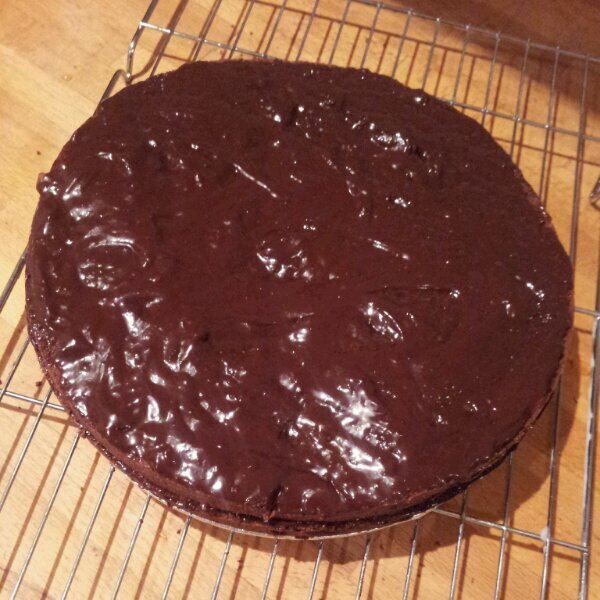 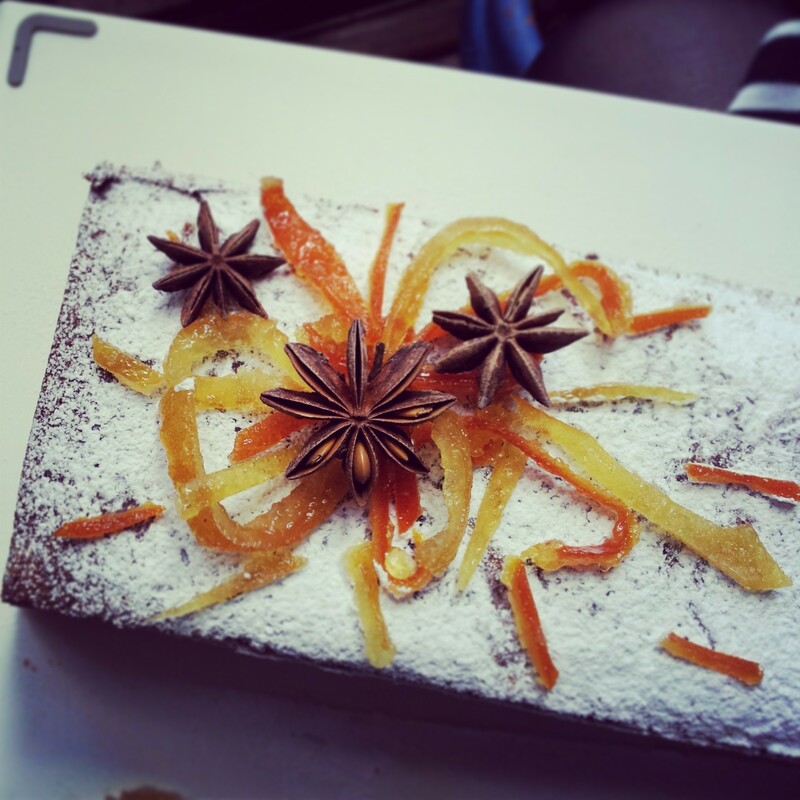 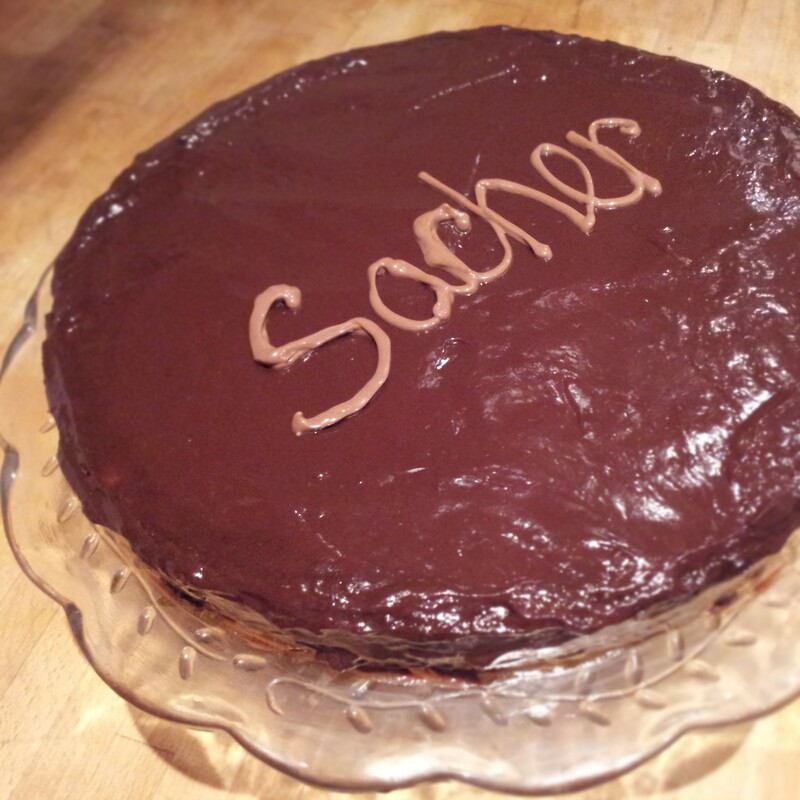 Please note you may need more than 2 hands and a palette knife to prise your cake from the paper after it’s iced! 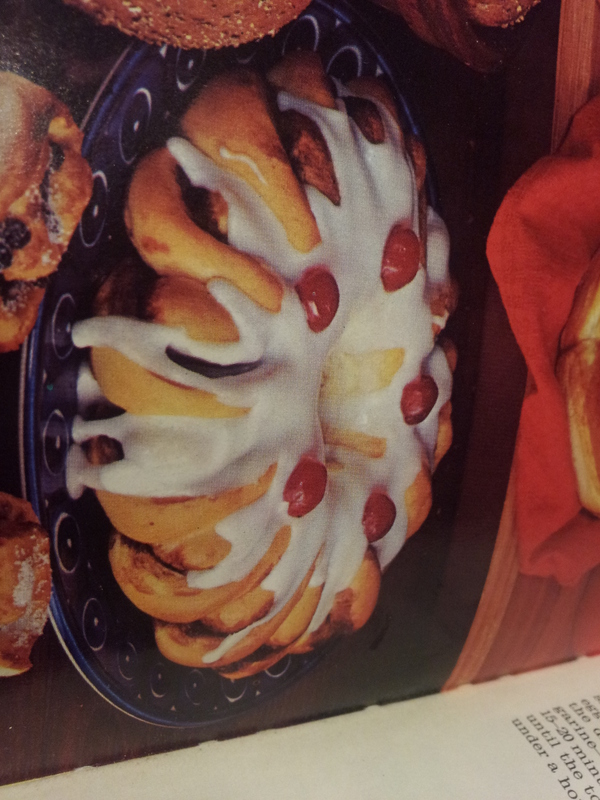 Mary Berry recommends decorating cakes in groups of threes. 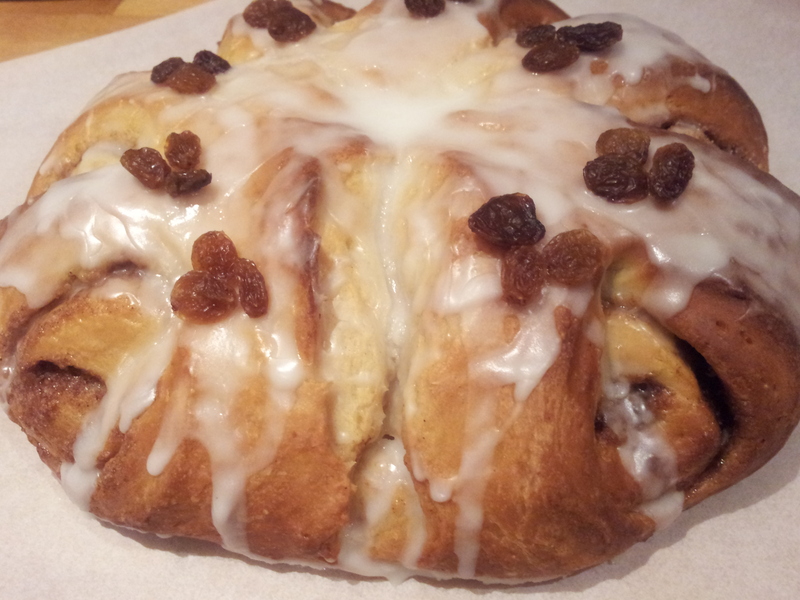 I didn’t have the traditional galce cherries in my cupboard but I always have a store of sultanas, hence the trio of sultanas dotted on each section of ring. 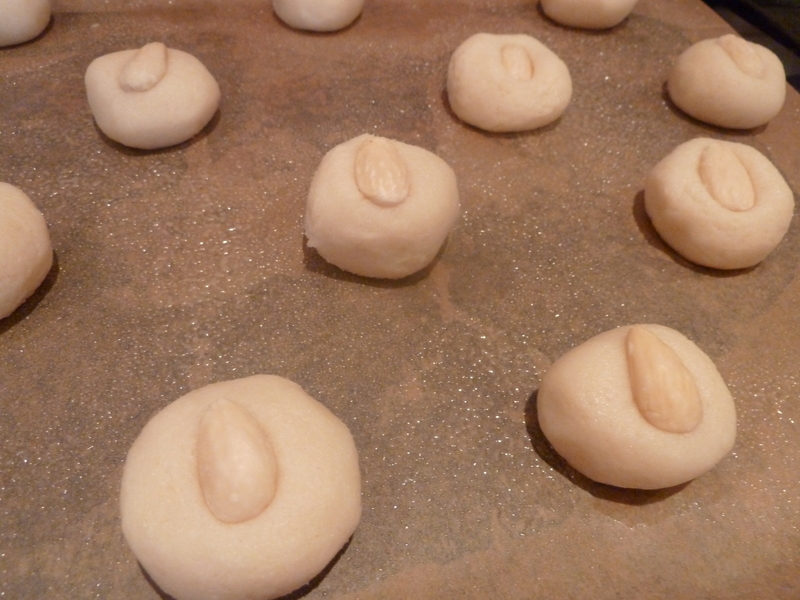 It’s also best to add these decorations while your icing is still wet. 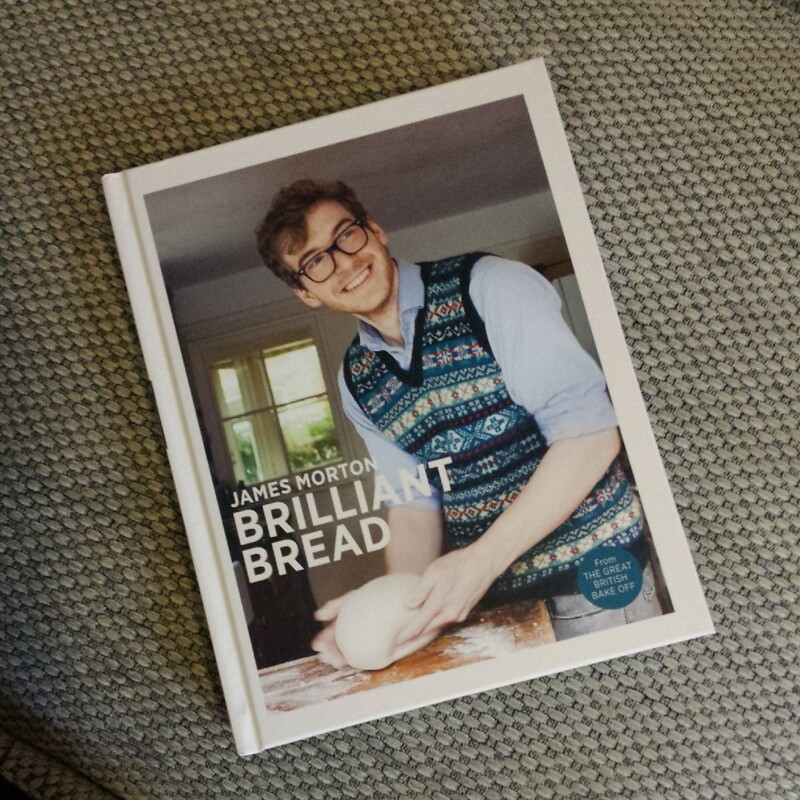 I can recommend it with a celebratory gin or a cup of tea. 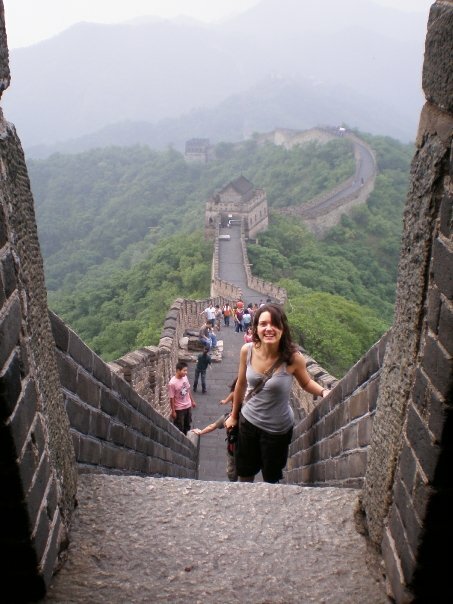 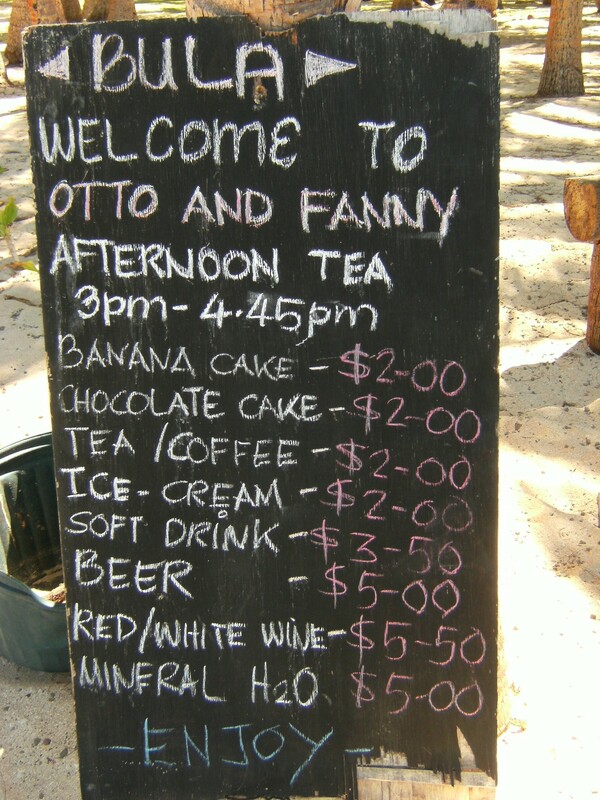 Whatever your preference, I think you’ll enjoy this one. 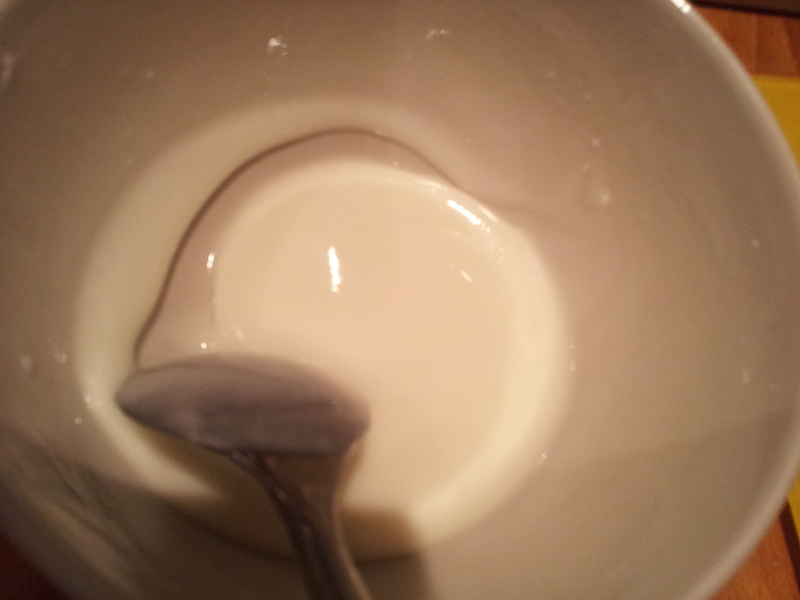 I enjoyed seconds, and could have even squeezed in thirds if I wasn’t being polite!